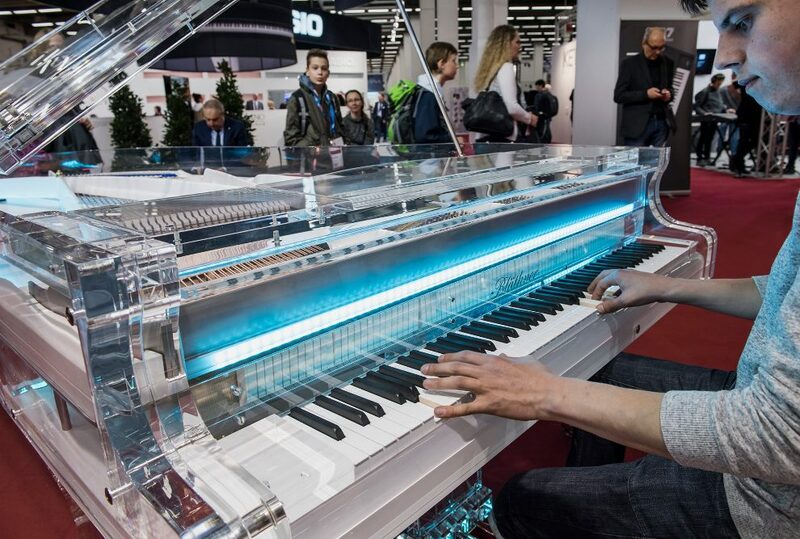 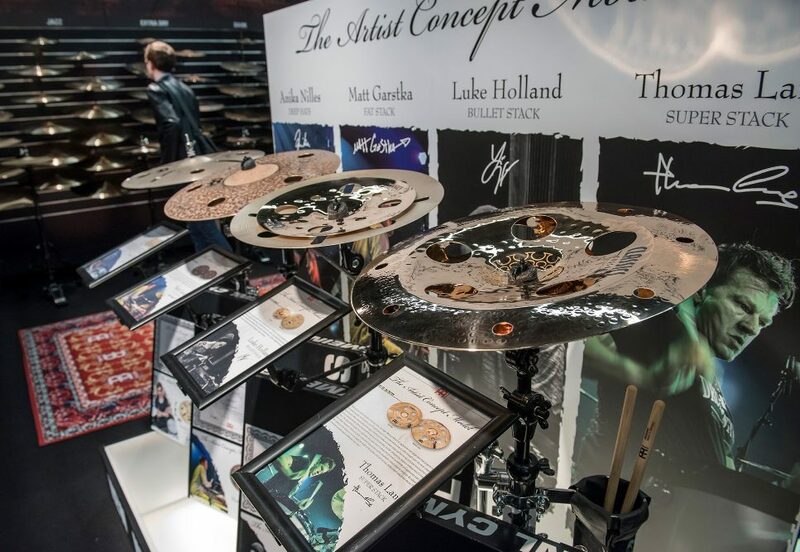 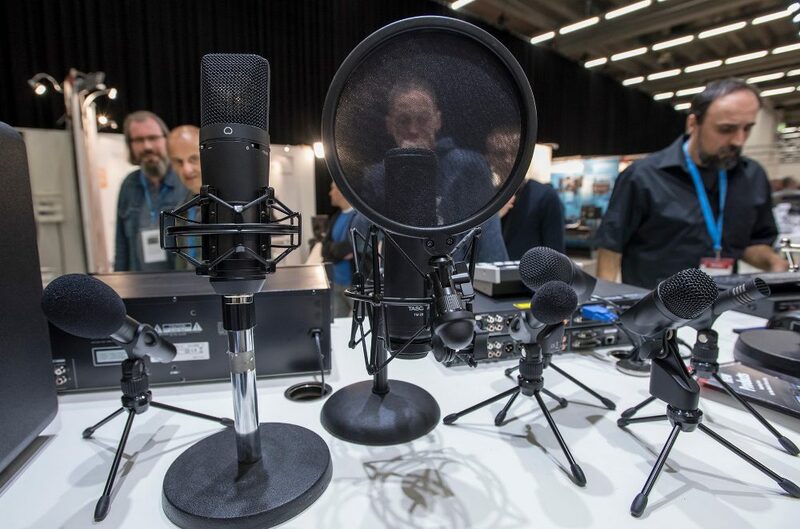 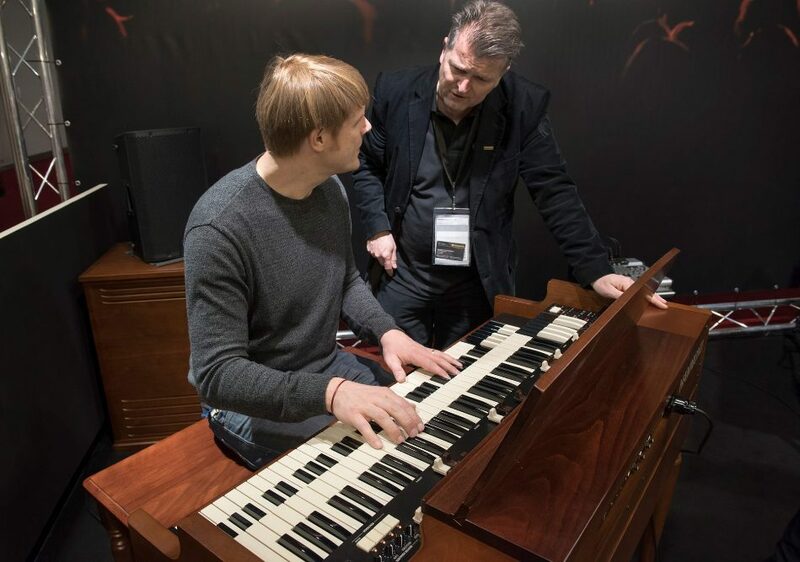 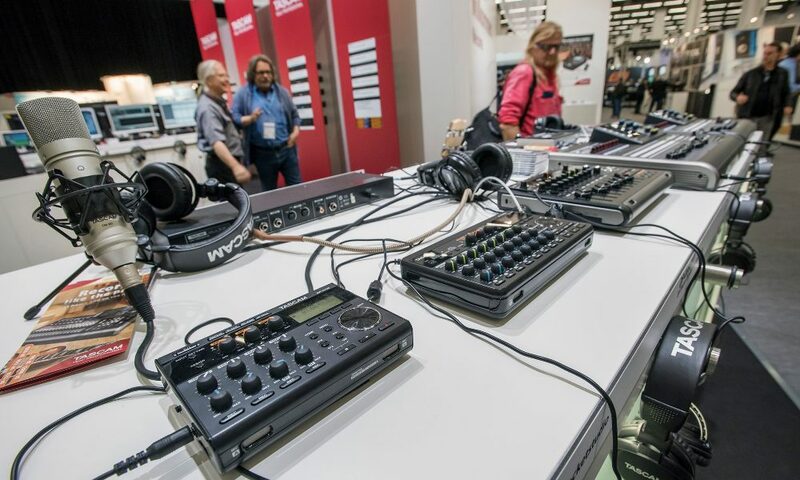 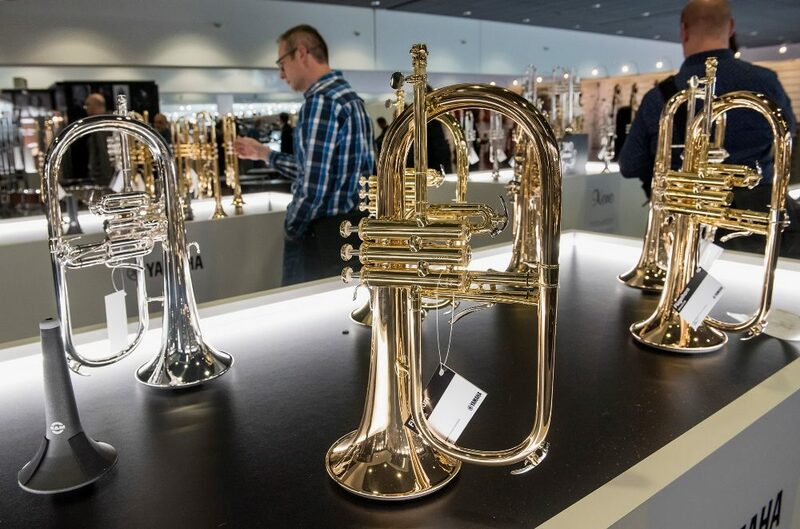 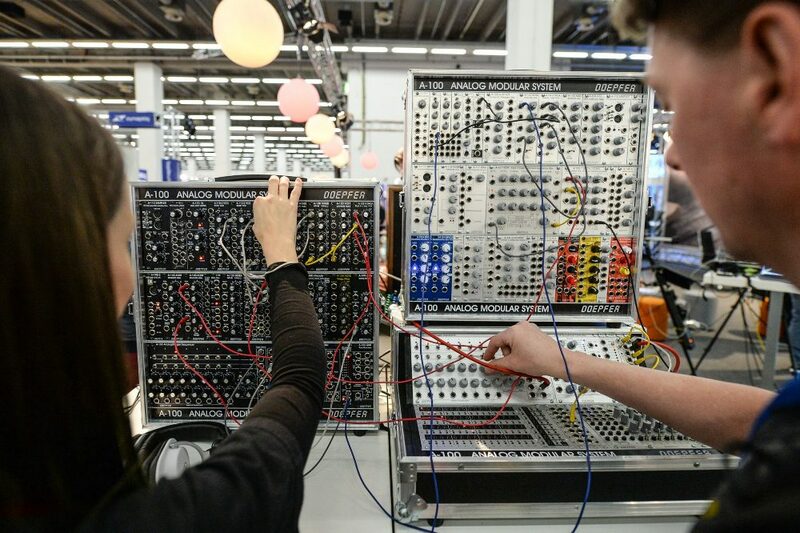 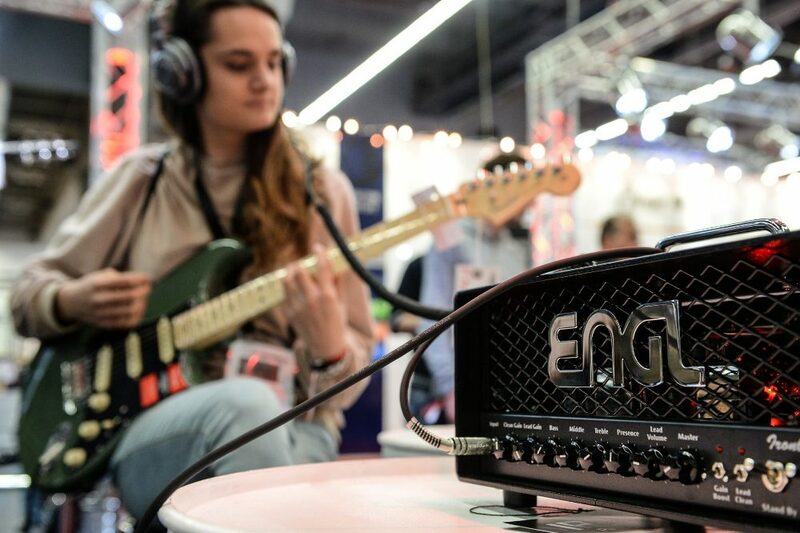 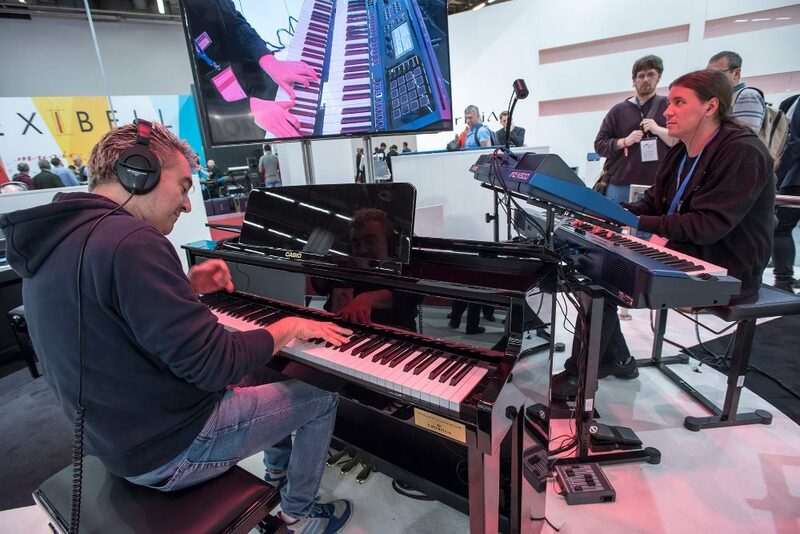 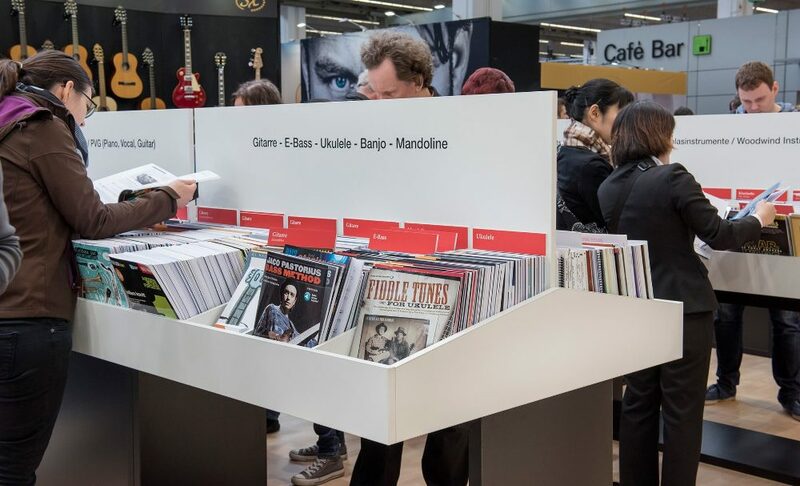 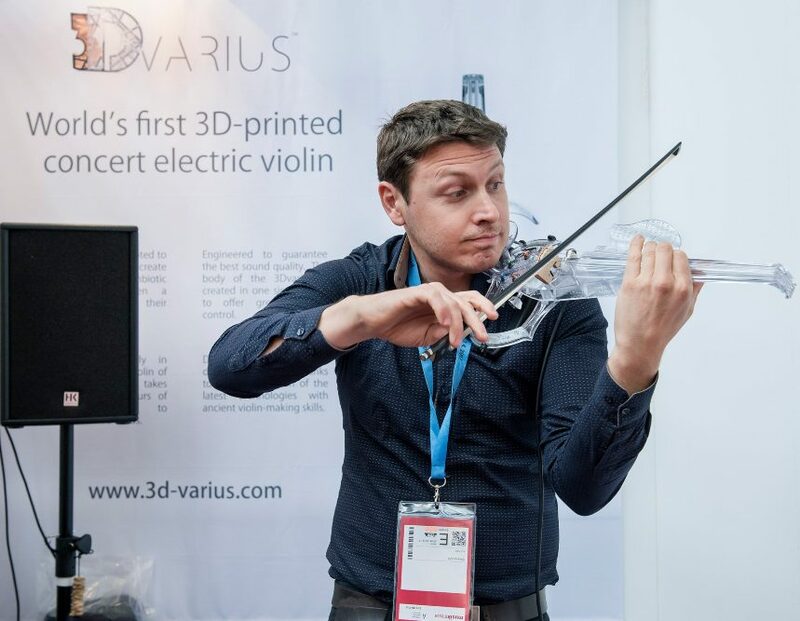 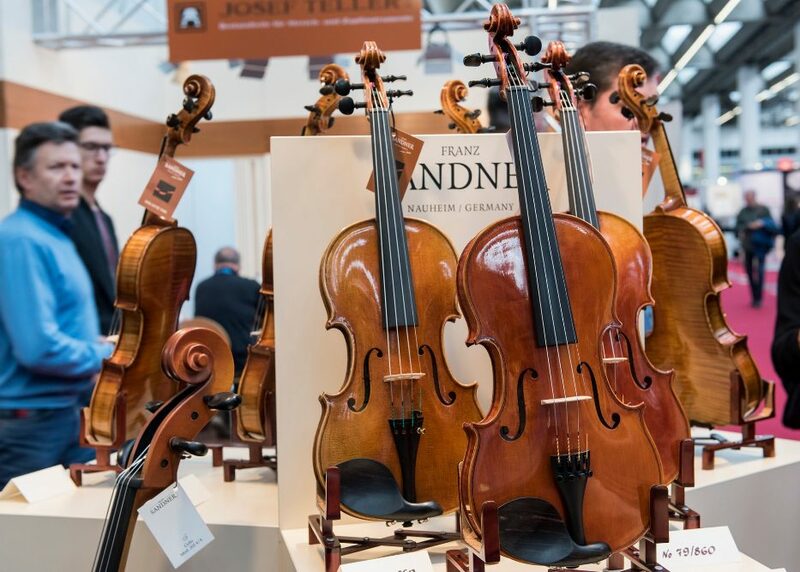 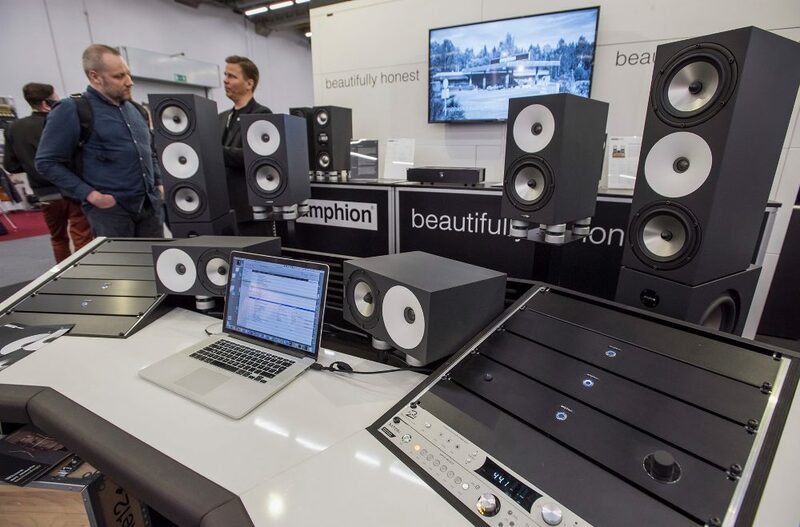 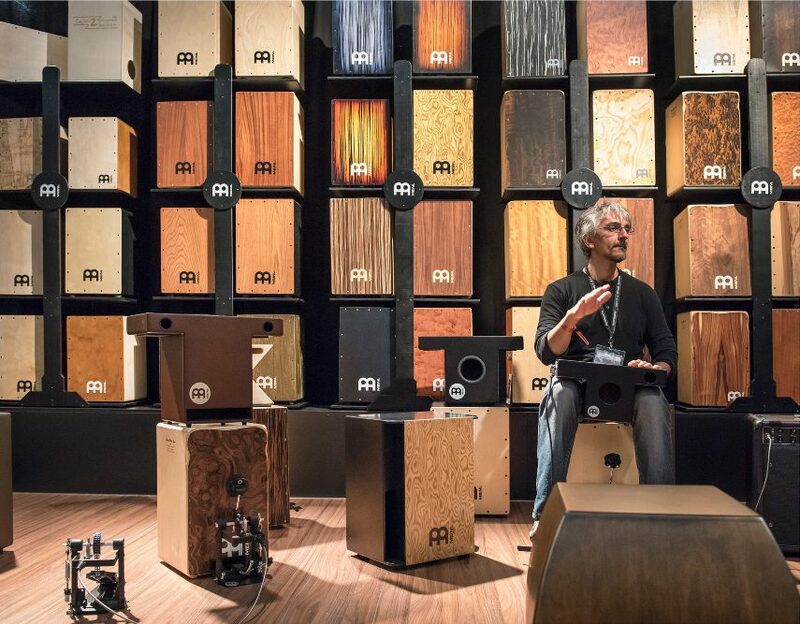 Musikmesse 2019, International Trade Fair for Musical Instruments, Music Software & Computer Hardware, Sheet Music and Accessories. 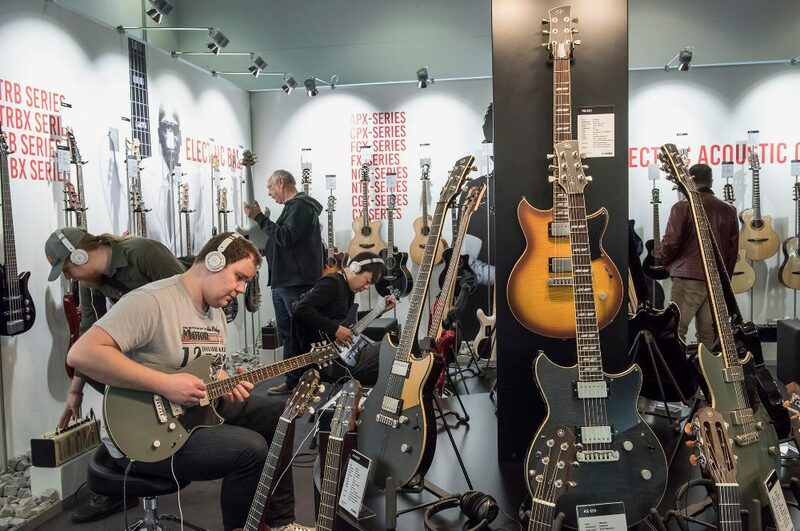 Experience music and music-making in all its forms and facets! 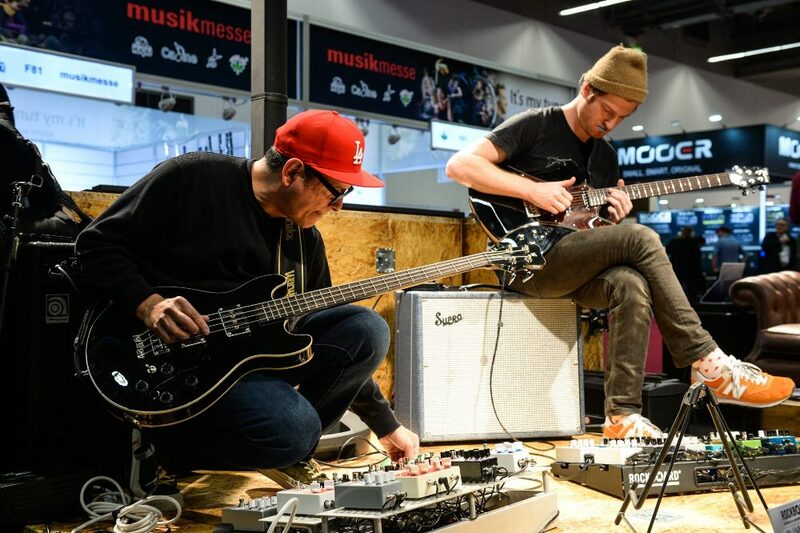 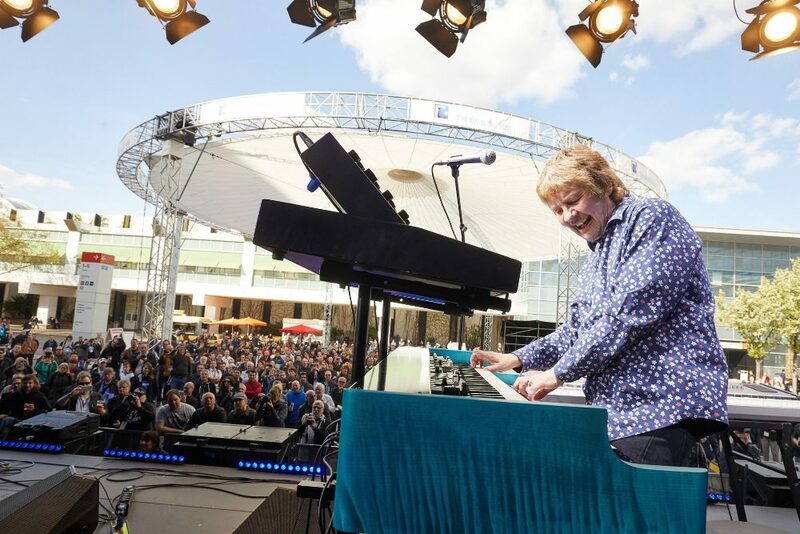 At Musikmesse, you can hear live music of all styles and kinds on several stages. 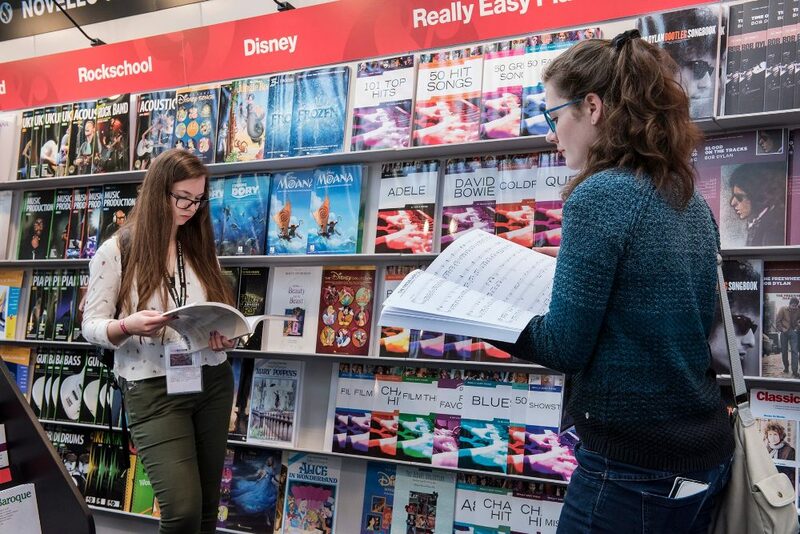 Waiting for you, too, are lectures on topics of key relevance to the sector, workshops and clinics, together with the new special topic ‘Music Education’. 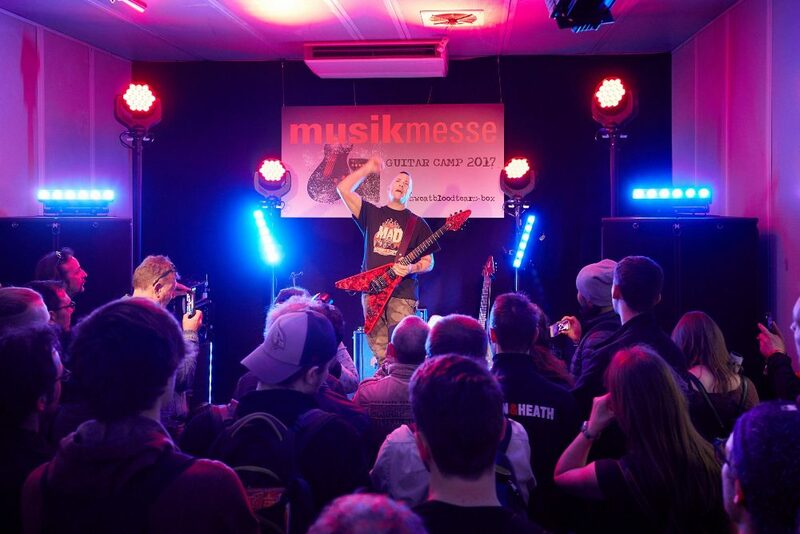 Major award ceremonies and the Musikmesse Festival, to be held both at the Exhibition Centre and around the City, make Frankfurt, for four days, the musical capital of the world. 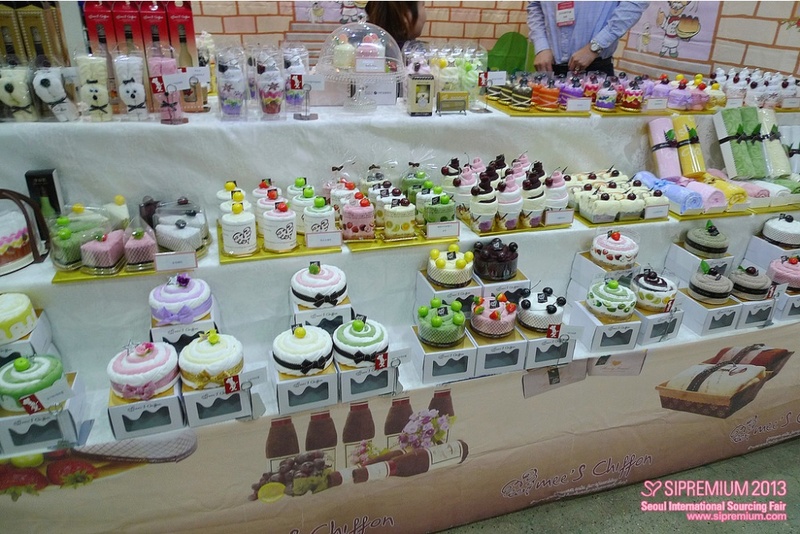 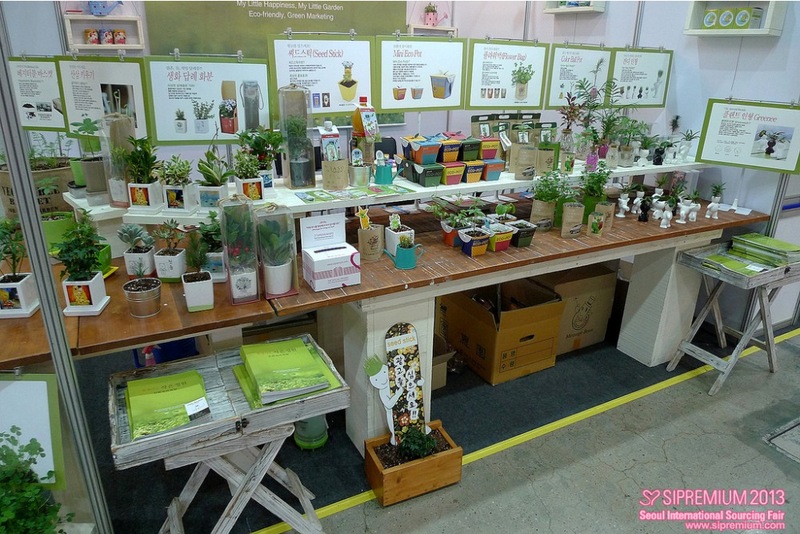 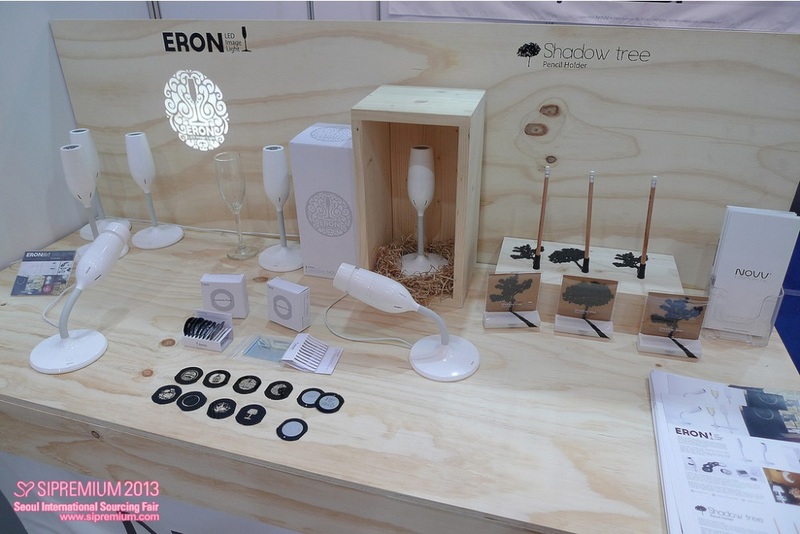 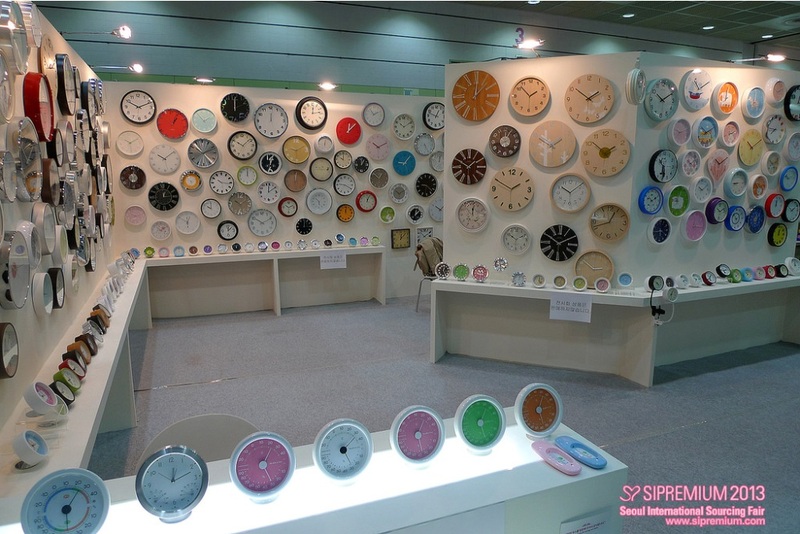 Seoul International Sourcing Fair (Abbreviation SIPREMIUM) Korea’s Largest Premium Corporate Gift and Homeware Show. 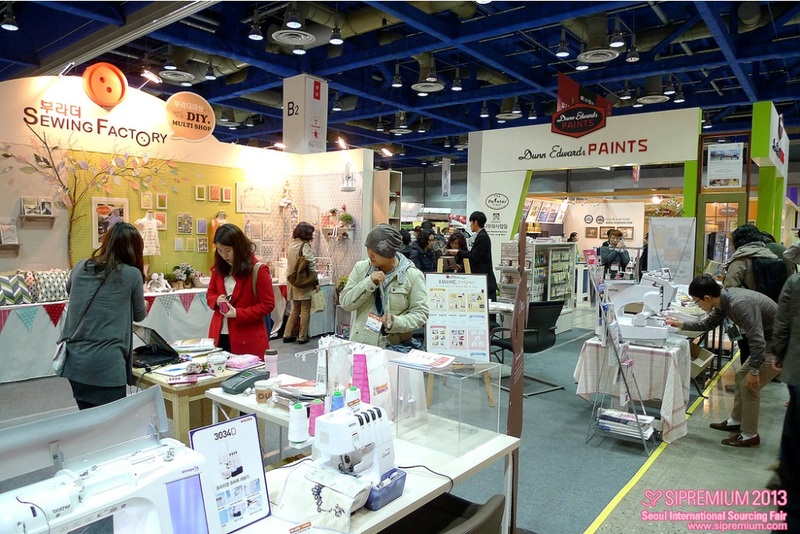 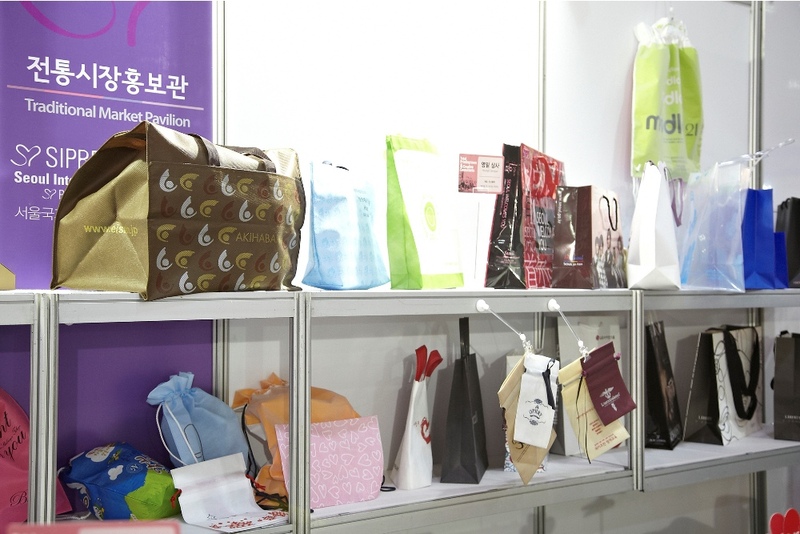 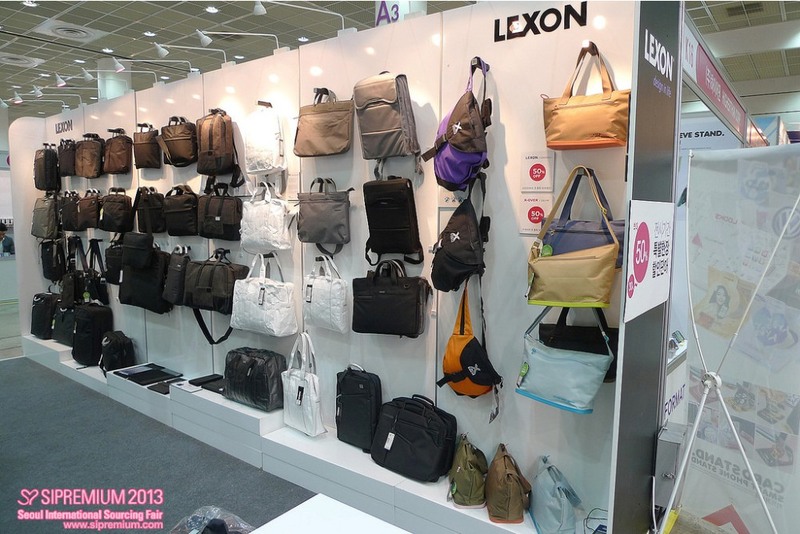 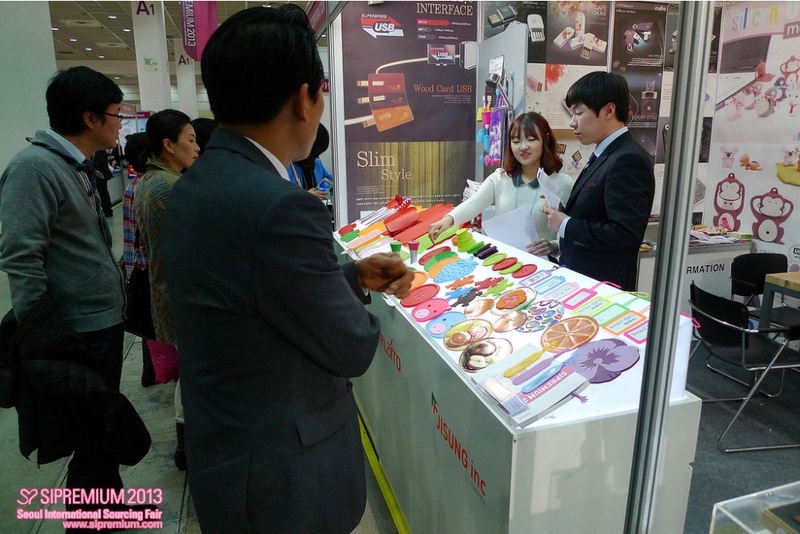 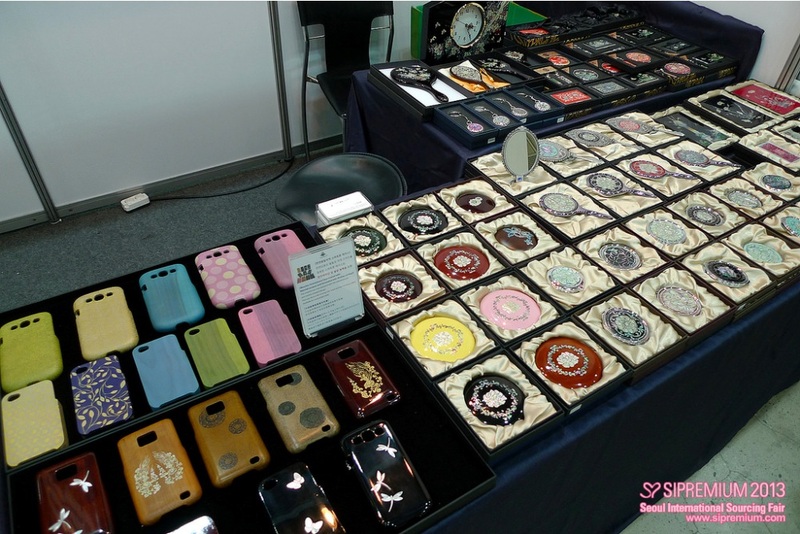 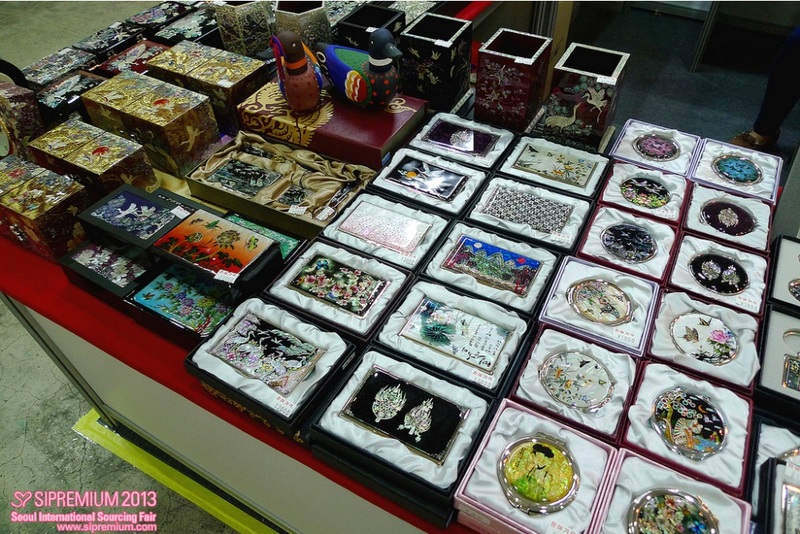 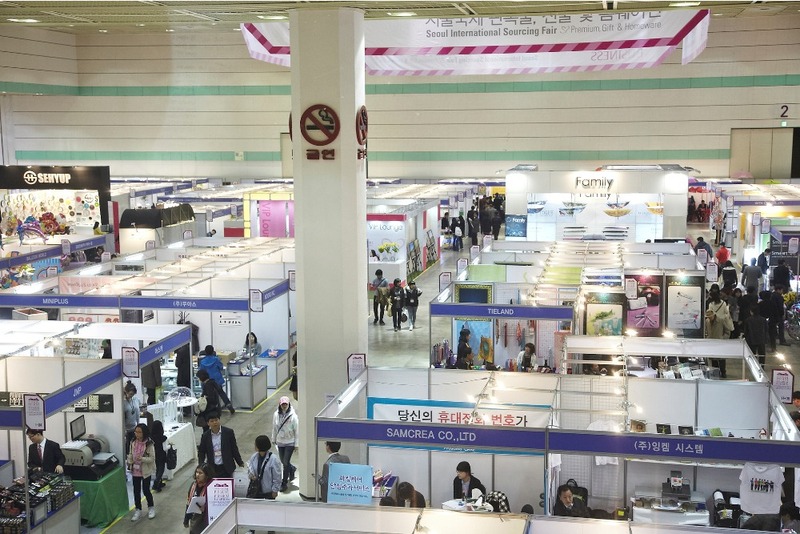 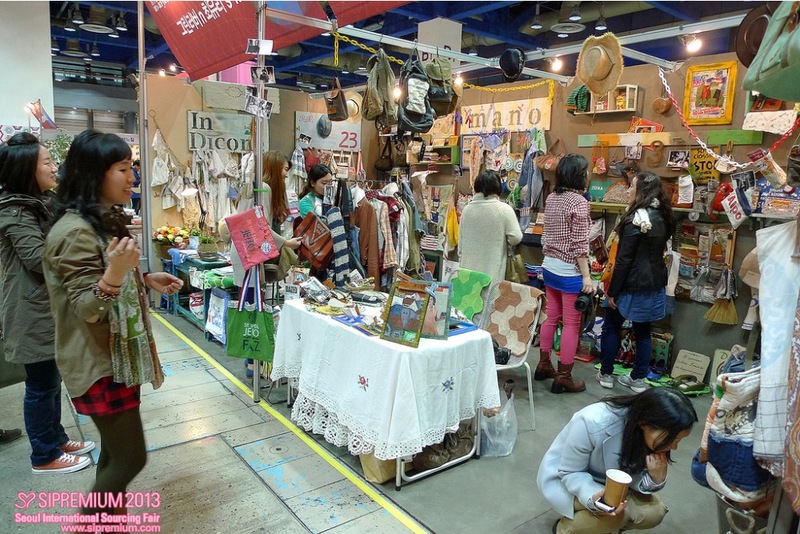 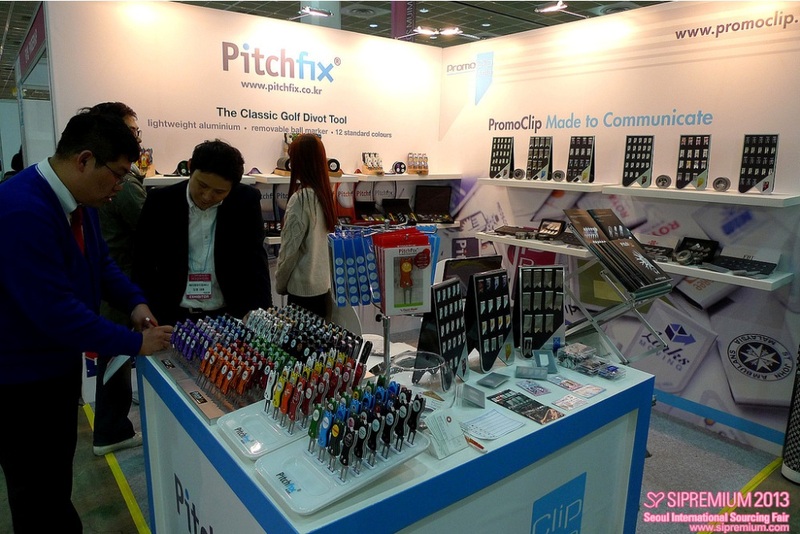 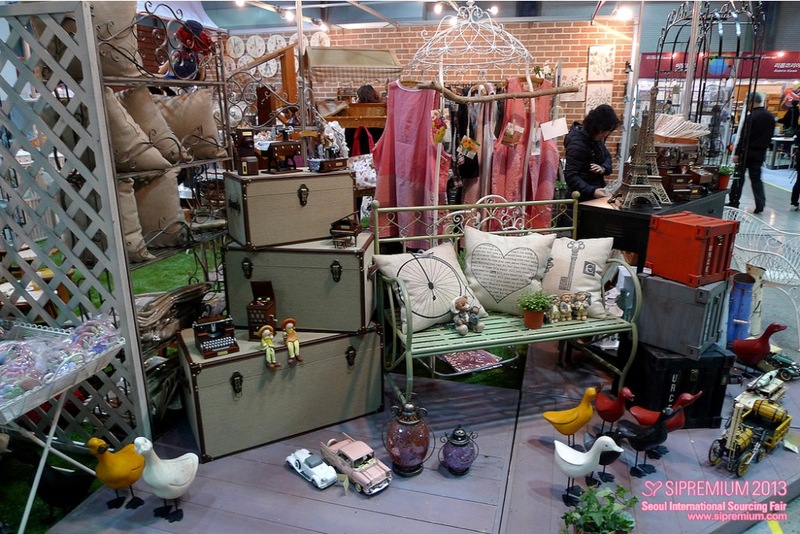 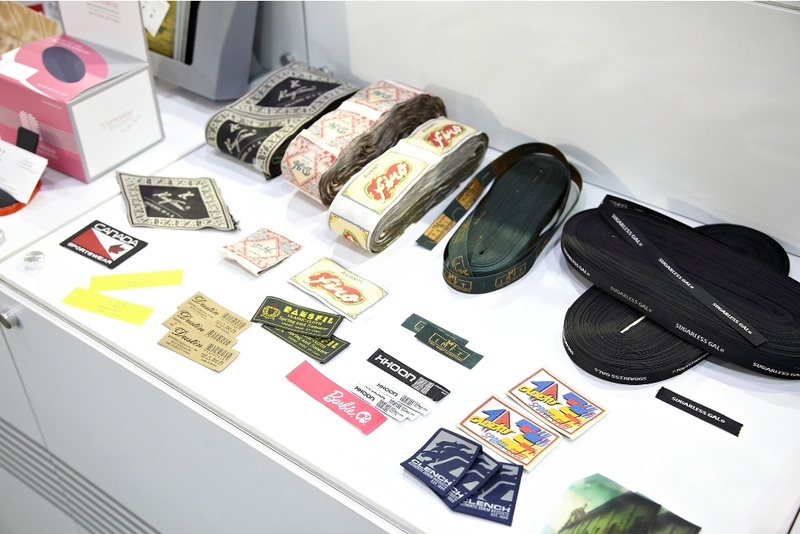 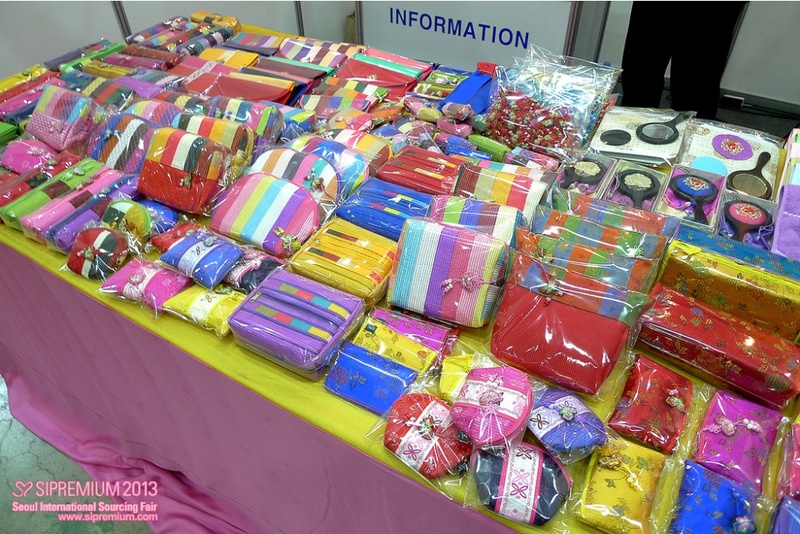 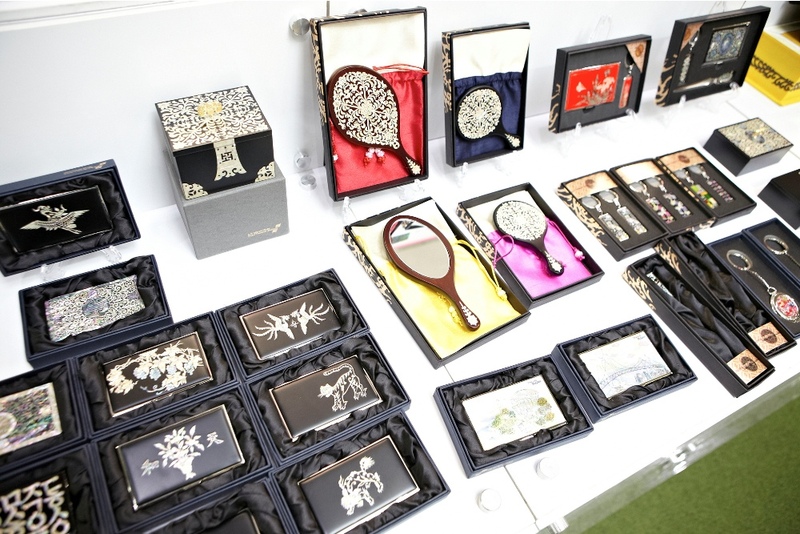 SIPREMIUM has been the premier destination for exhibitors and buyers in search of sourcing exceptional goods in Korea. 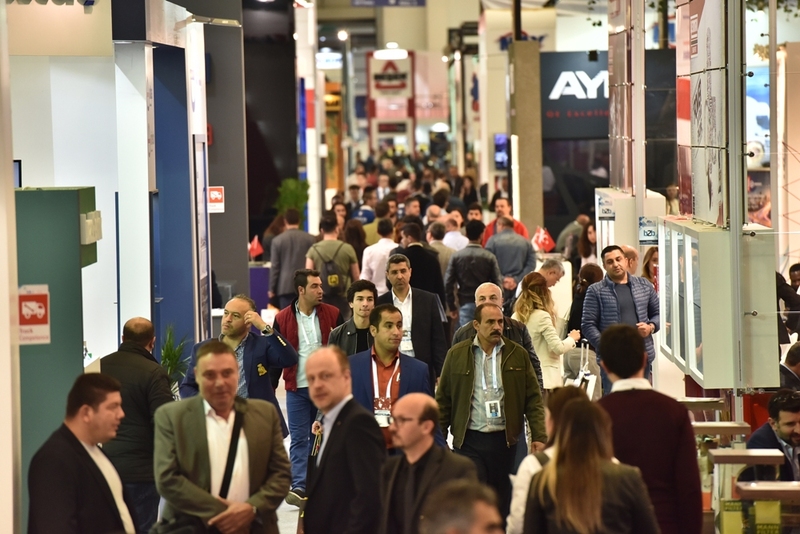 SIPREMIUM is growing steadily in a positive direction, with our records showing that visitor and exhibitor participation rises each passing year. 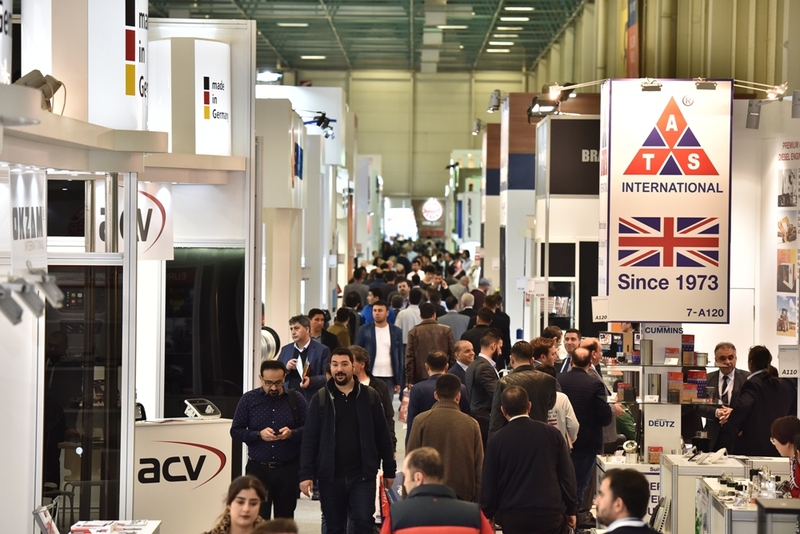 Because of all your interest and attention on our show SIPREMIUM 2017, it has been successfully finished with 400 exhibitors with 500 booth and more than 17,550 visitors. 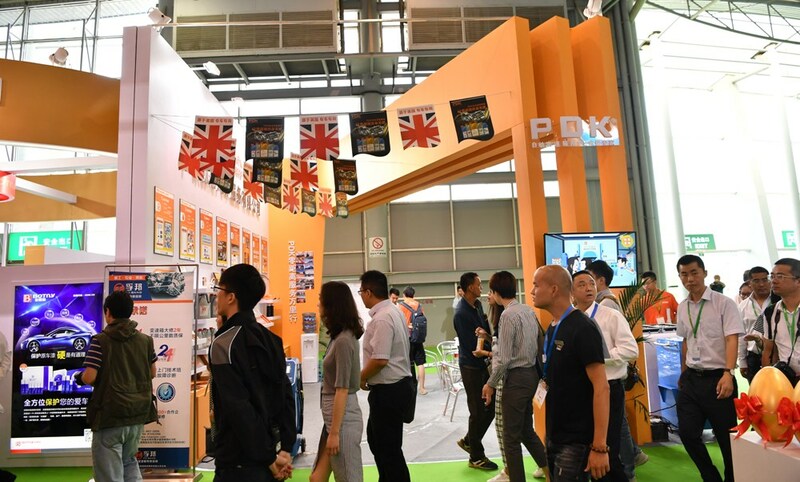 The Overseas Pavilion was 81 companies with 86 booths, including companies from Thailand, India, Japan, Bangladesh, Malaysia, Vietnam and China. 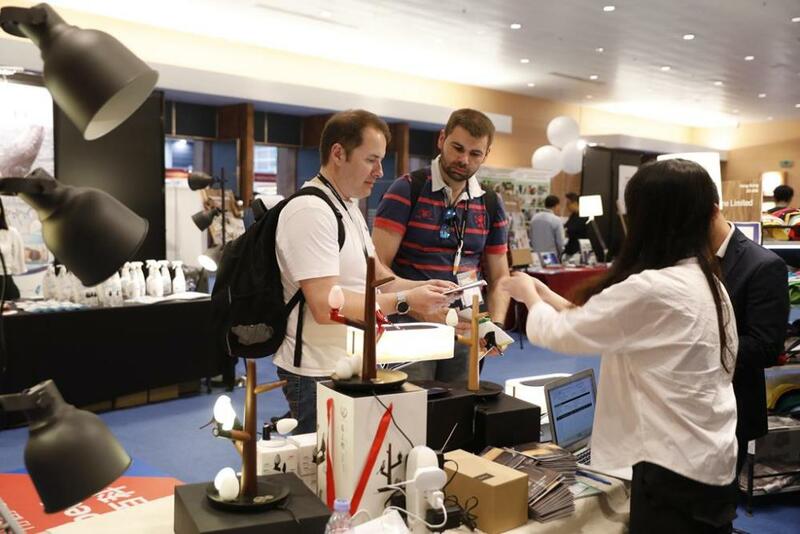 Among those participated exhibitors, about 291 Korean companies joined the customized 1:1 biz-matching program with 85 hosted buyers from 17 countries including USA, Singapore, Japan, China, Thailand, Turkey, and Australia! 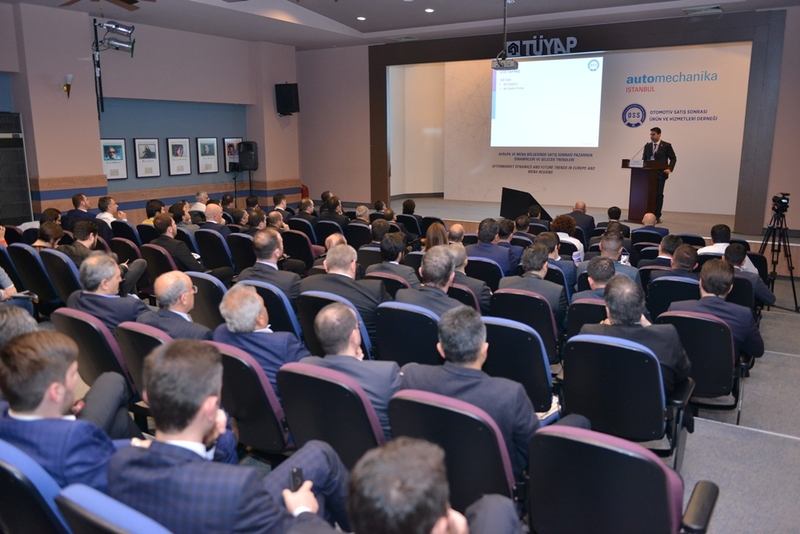 This program successfully finished in total of 871 meetings took place! 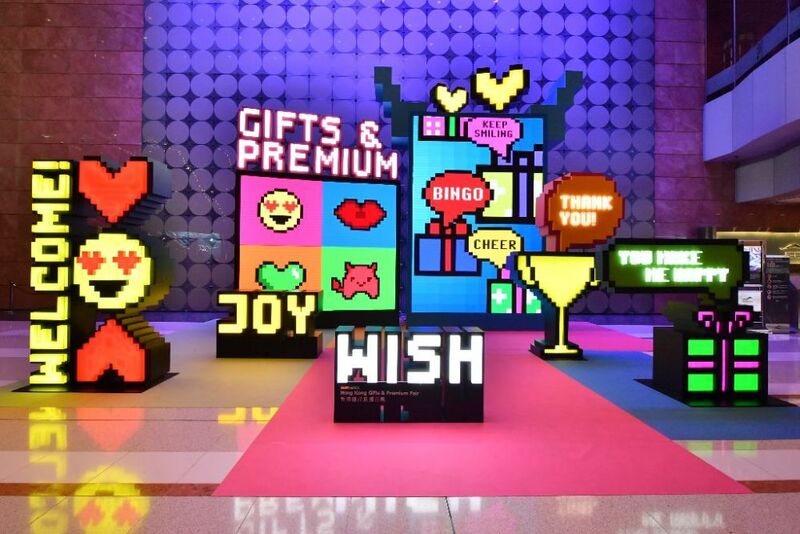 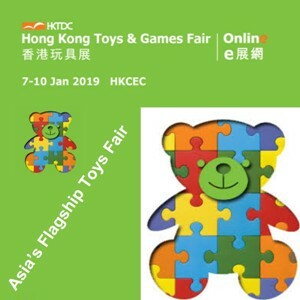 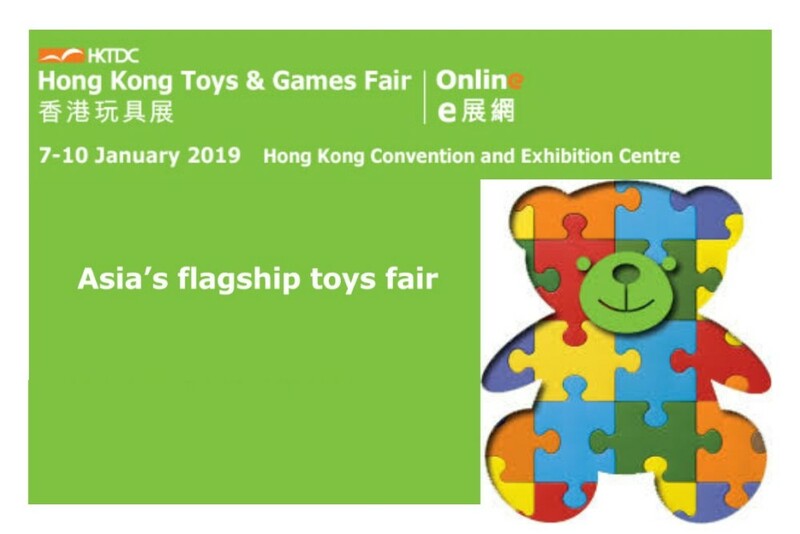 The Essential Showcase for Gifts and Premiums HKTDC Hong Kong Gifts & Premium Fair 2019. 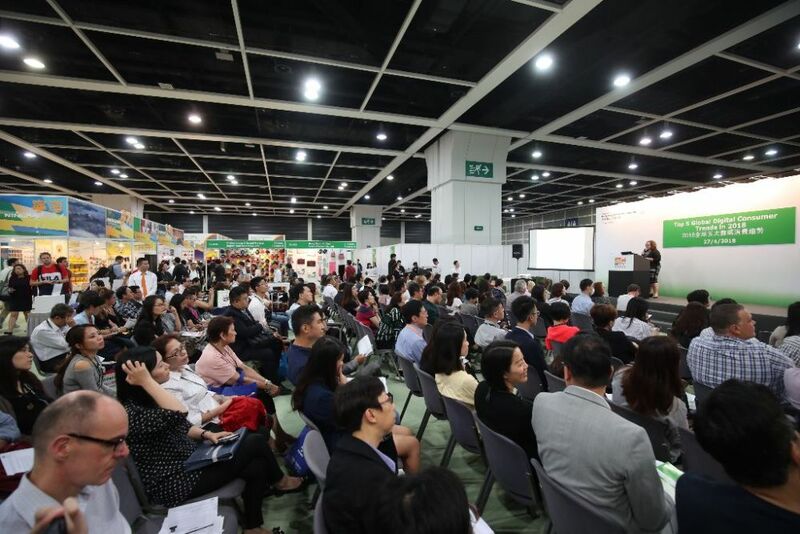 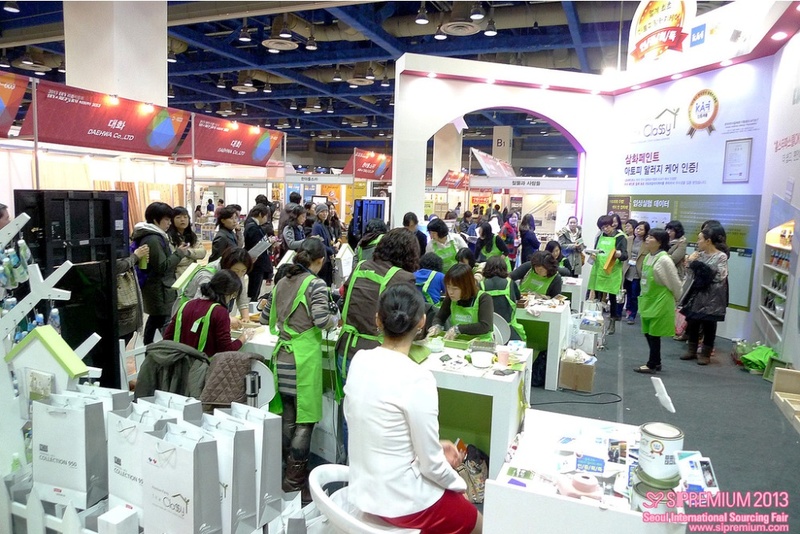 Seven HKTDC Fairs in April 2018 draw over 230,000 buyers, up nearly 3%. 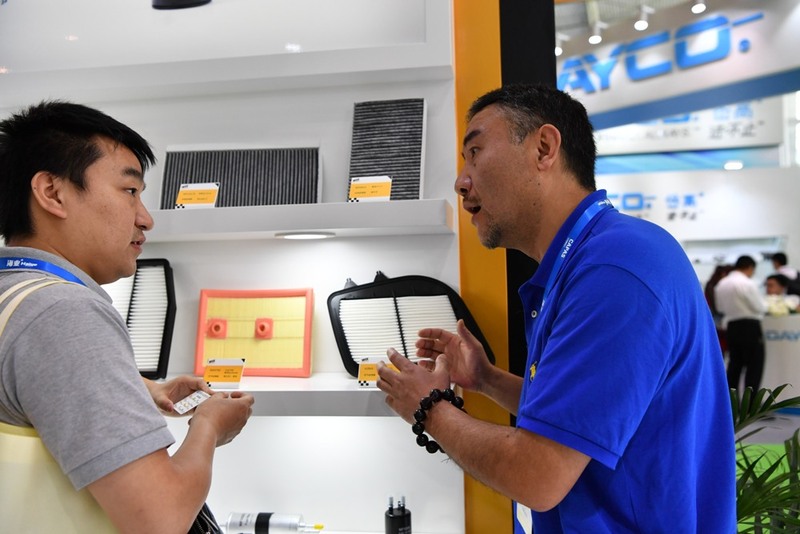 Survey show bright outlook for Western Europe and the Chinese Mainland, three areas of strengthes for innovation & technology highlighted. 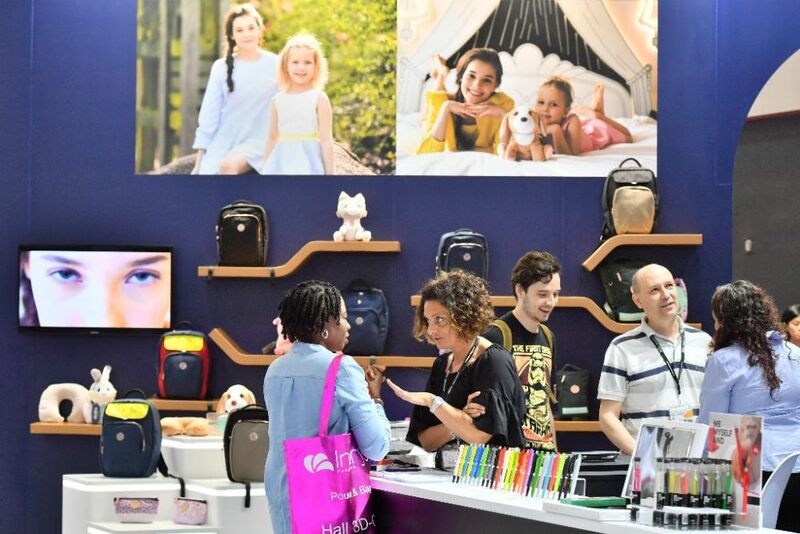 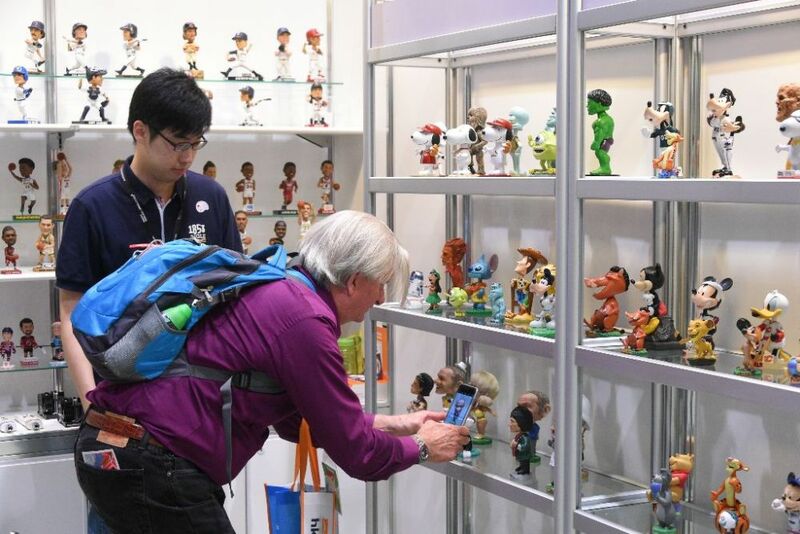 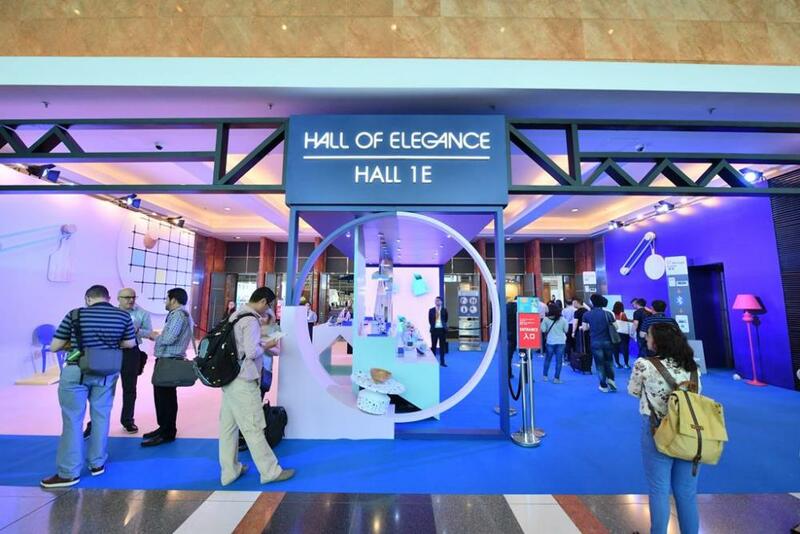 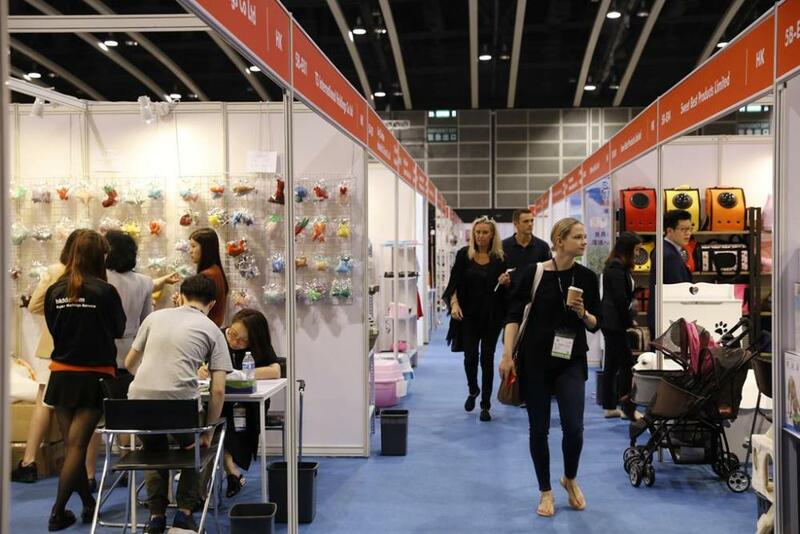 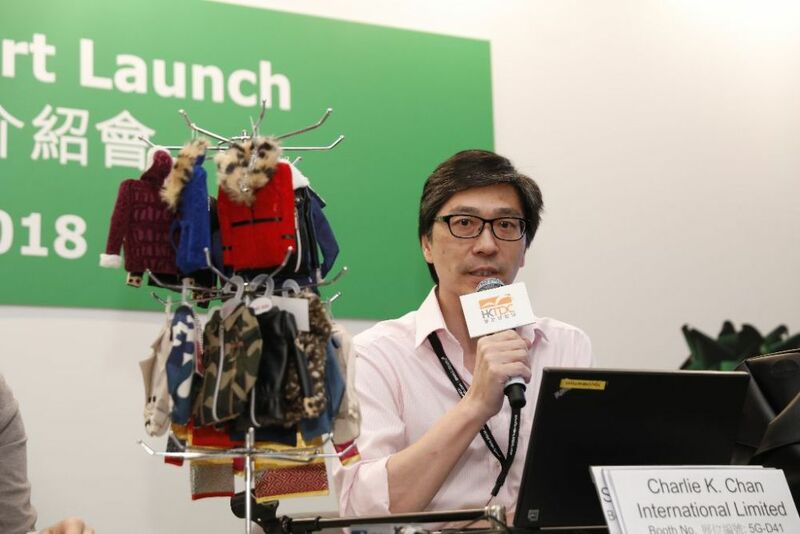 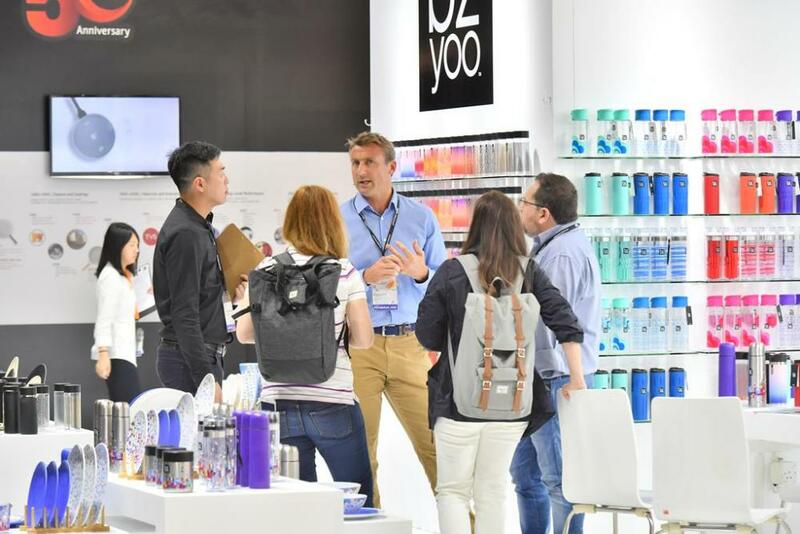 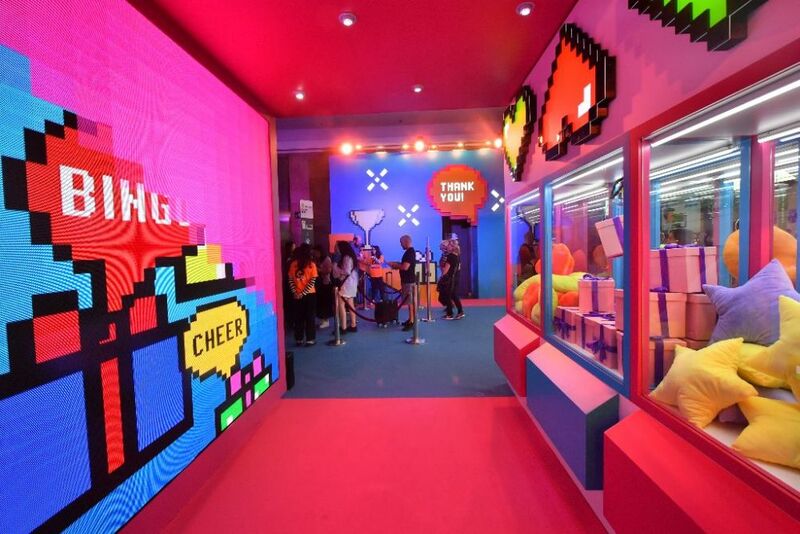 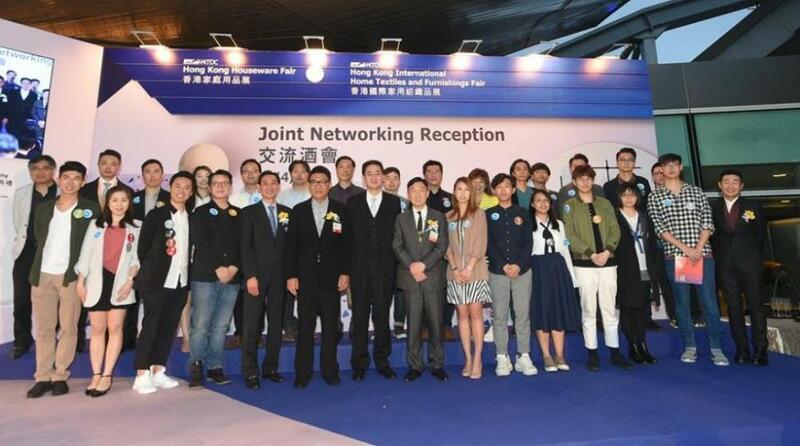 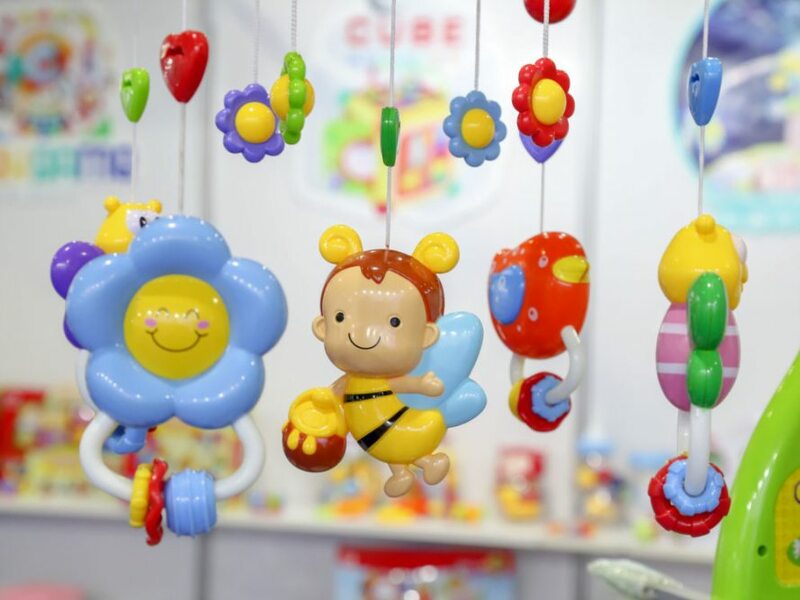 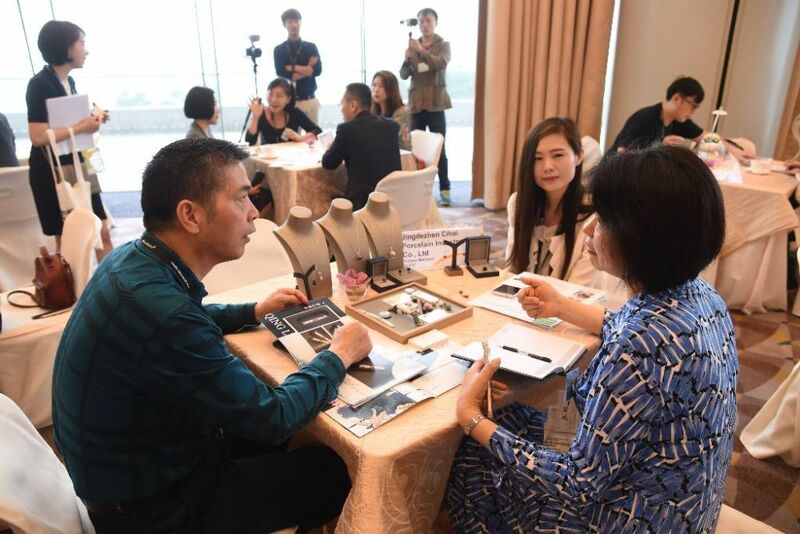 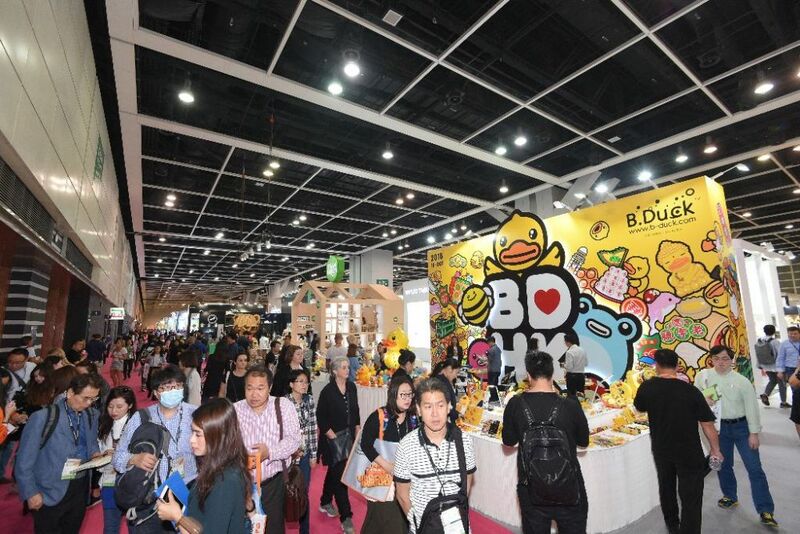 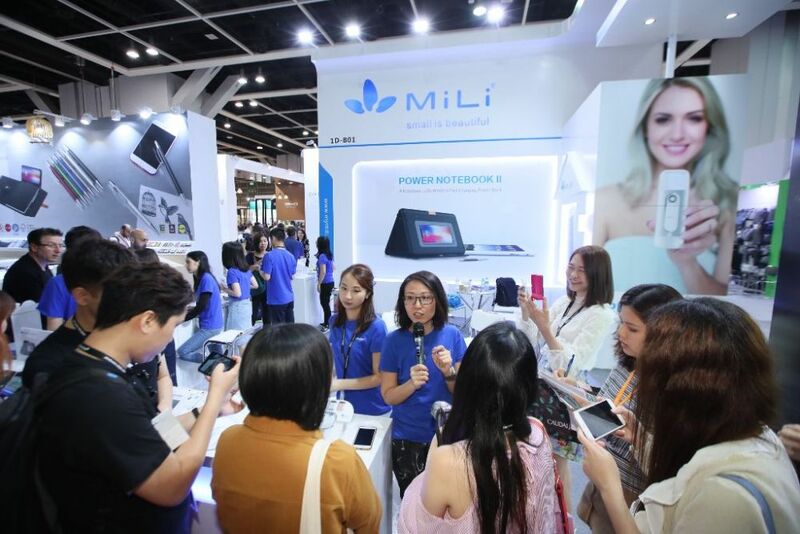 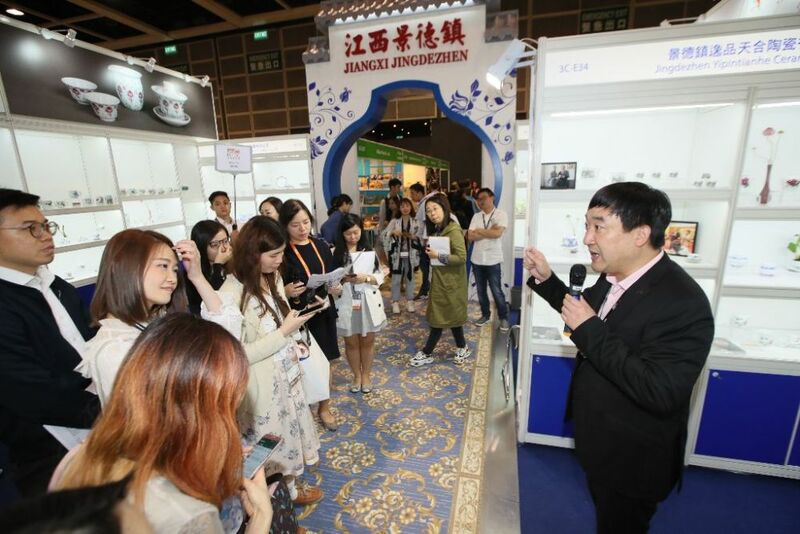 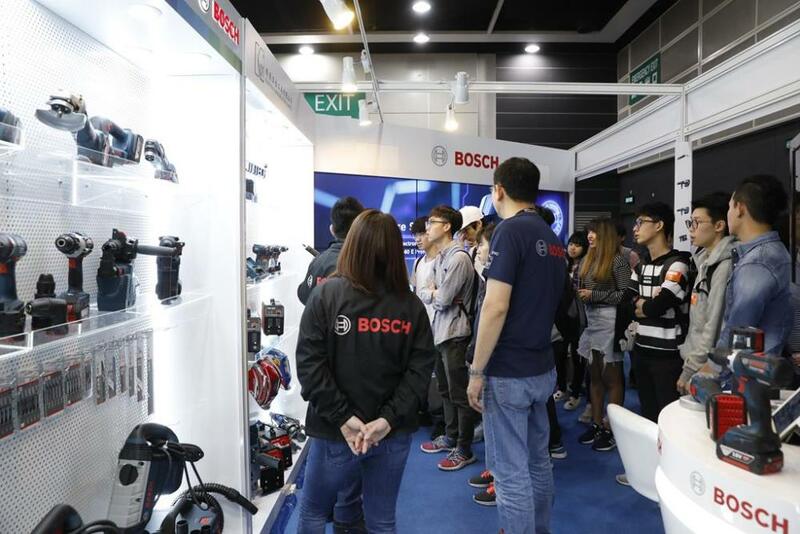 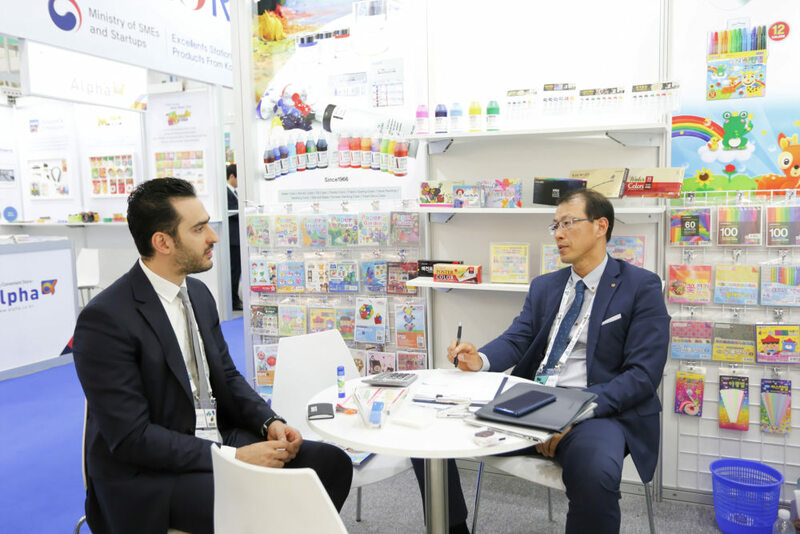 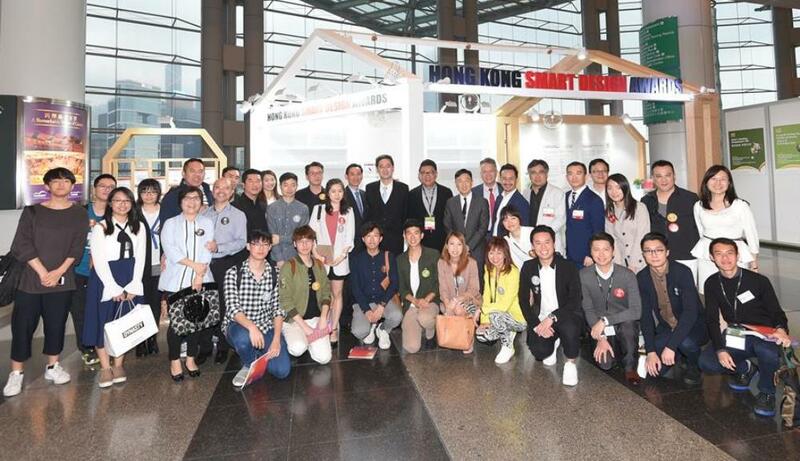 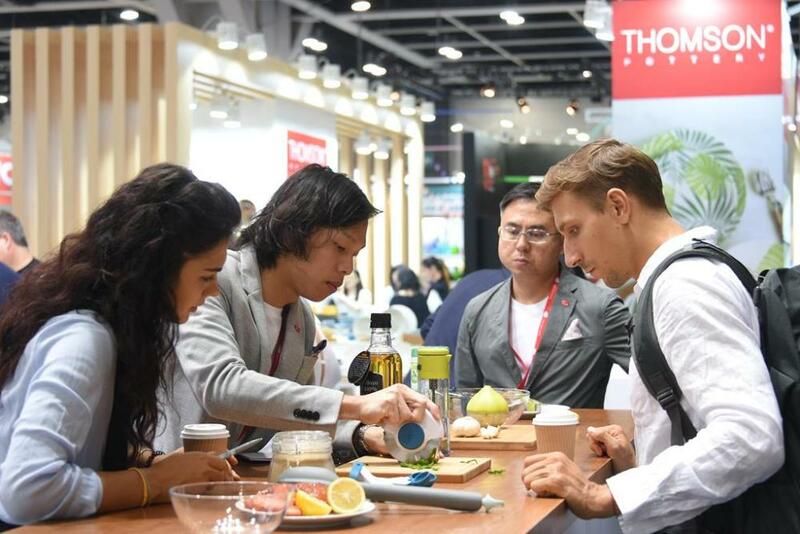 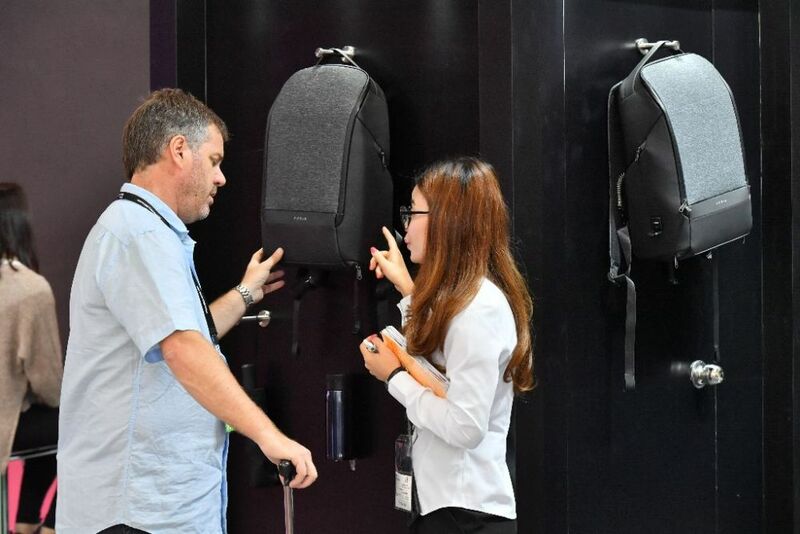 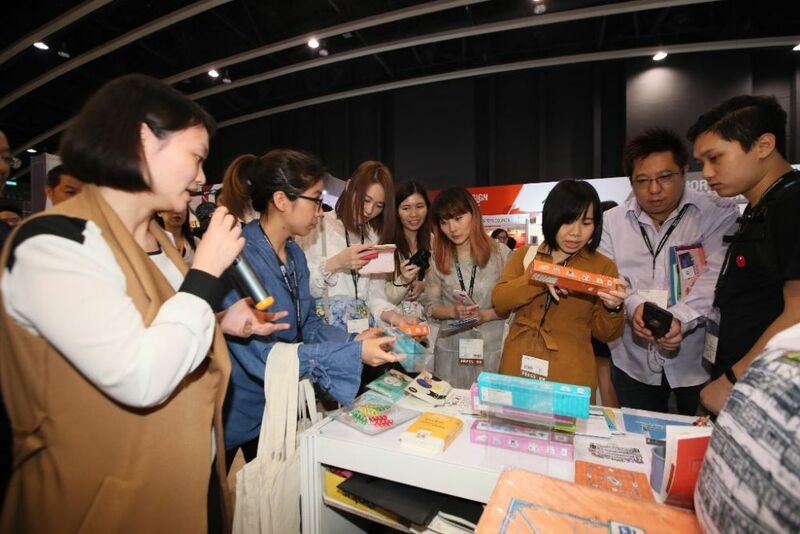 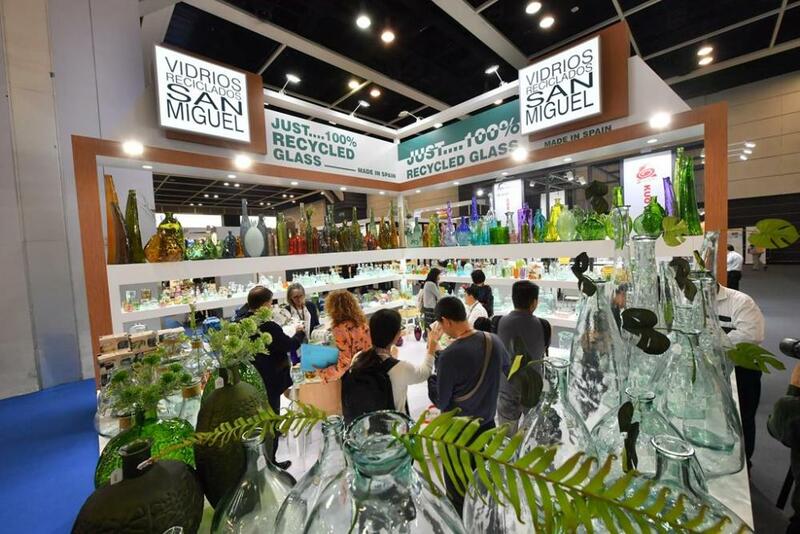 More than 230,000 buyers from 176 countries and regions attended the seven fairs organised by the Hong Kong Trade Development Council (HKTDC) in April, recording a nearly three per cent increase year-on-year. 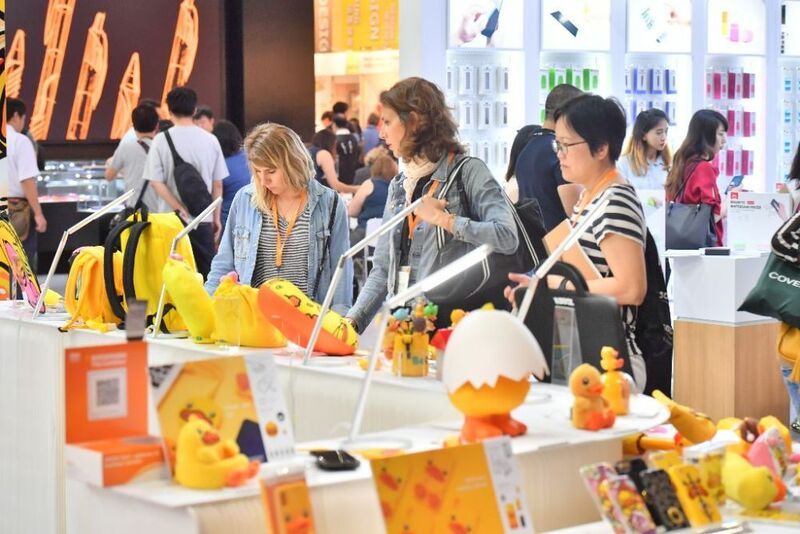 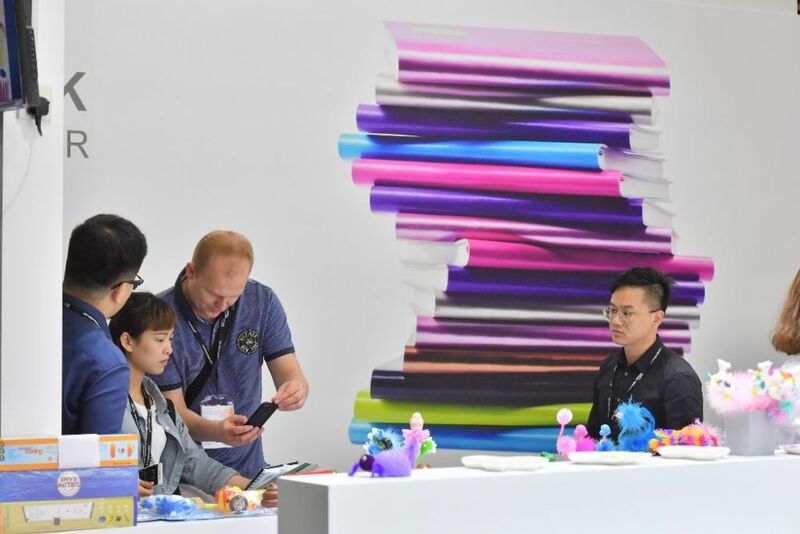 Among them, over 130,000 were from the Chinese mainland and overseas, up over four per cent, while there were more than 9,000 exhibitors in the seven fairs. 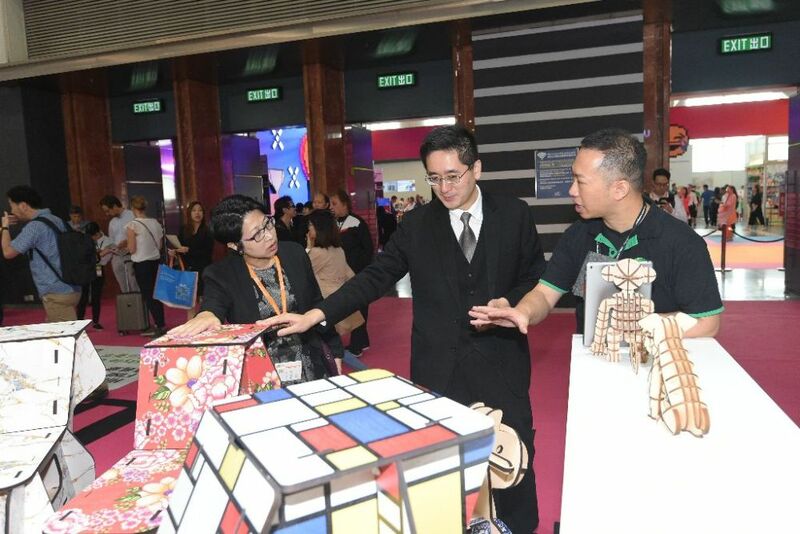 Business sentiments at the fairs were unaffected by the escalating Sino-US trade dispute in recent weeks, as the on-site surveys conducted during the fairs found 70% of respondents expected no negative impact on Hong Kong’s export performance as a result of the trade friction between China and the United States, and 80% were neutral or optimistic about the future that both nations can resolve their differences over the dispute. 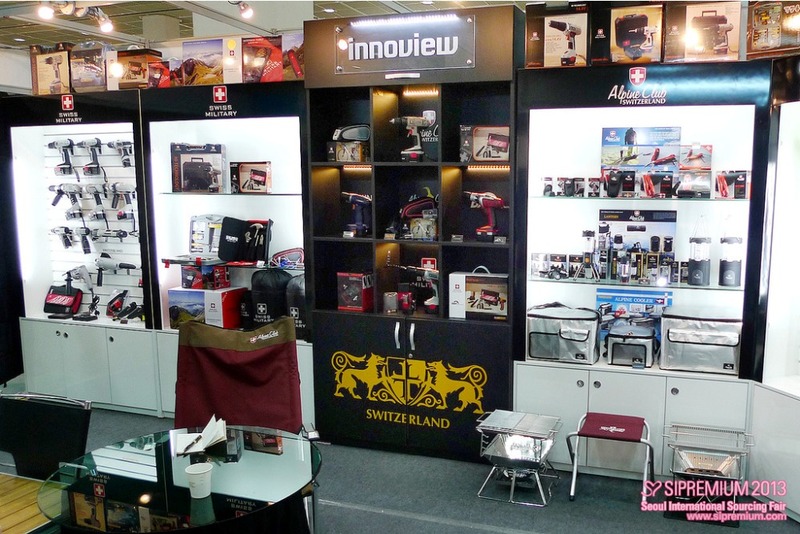 The seven April fairs were: the Hong Kong International Lighting Fair (Spring Edition), Hong Kong Electronics Fair (Spring Edition), International ICT Expo, Hong Kong Houseware Fair, Hong Kong International Home Textiles and Furnishings Fair, Hong Kong Gifts & Premium Fair, and the Hong Kong International Printing & Packaging Fair, which was jointly organised by the HKTDC and CIEC Exhibition Company (HK) Ltd. 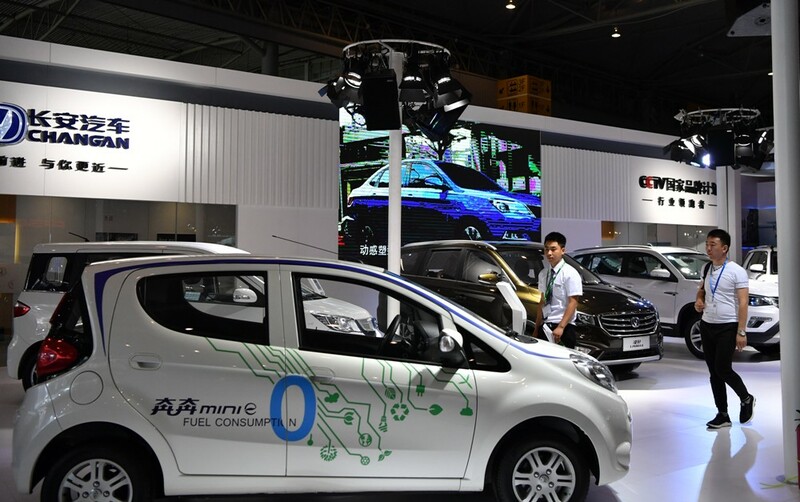 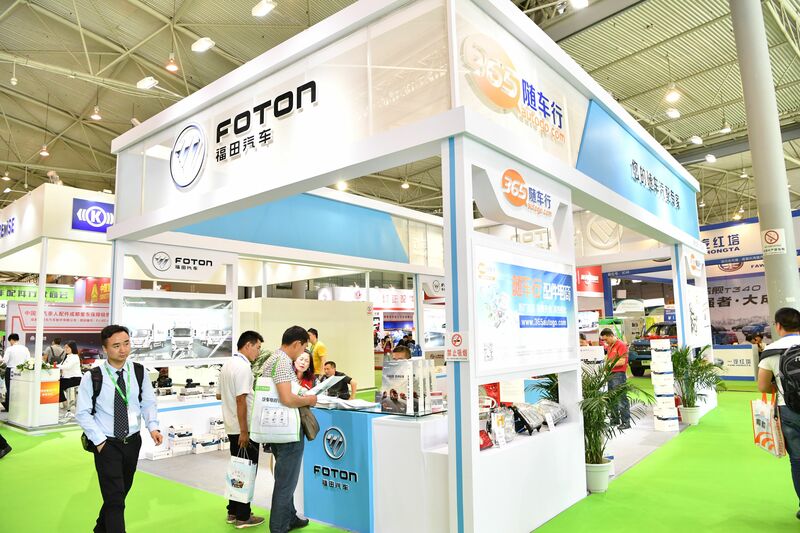 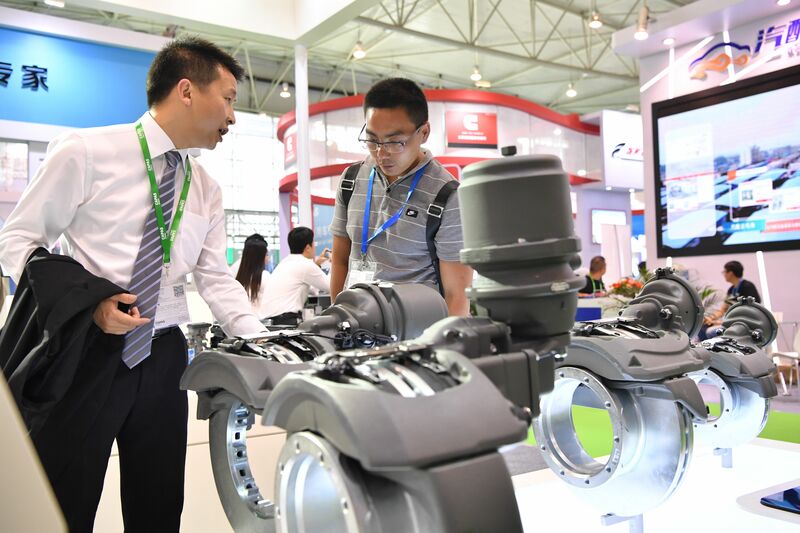 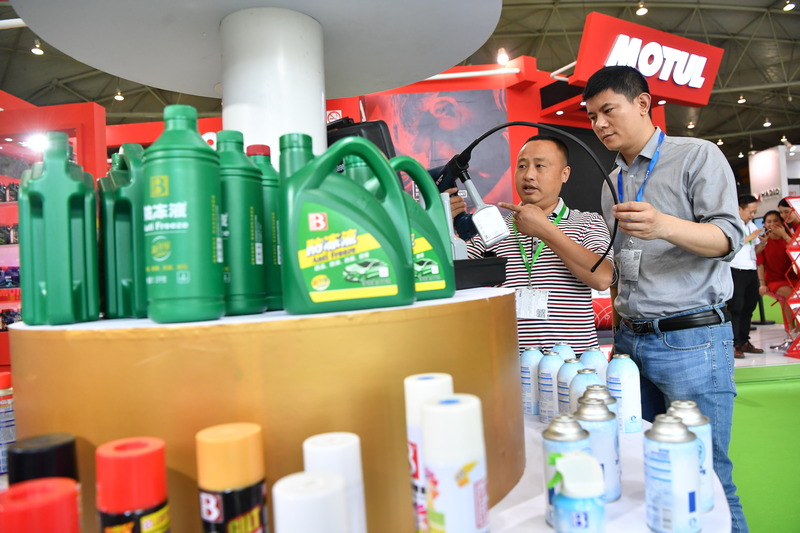 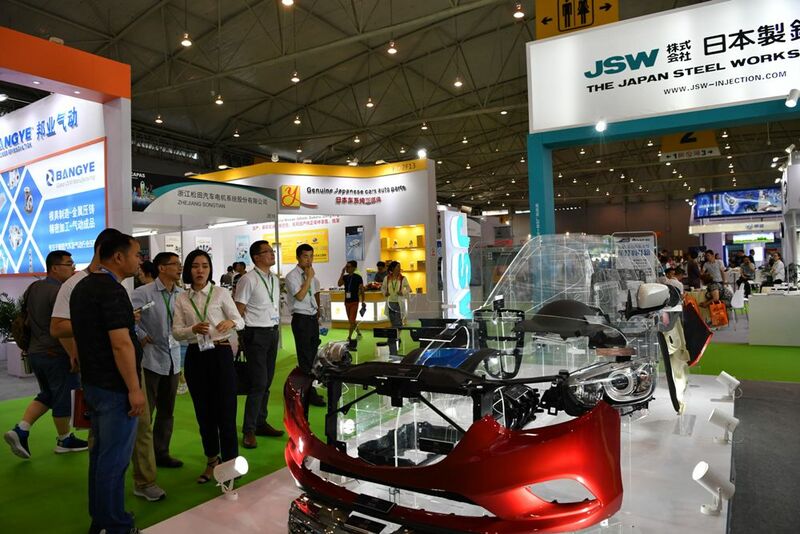 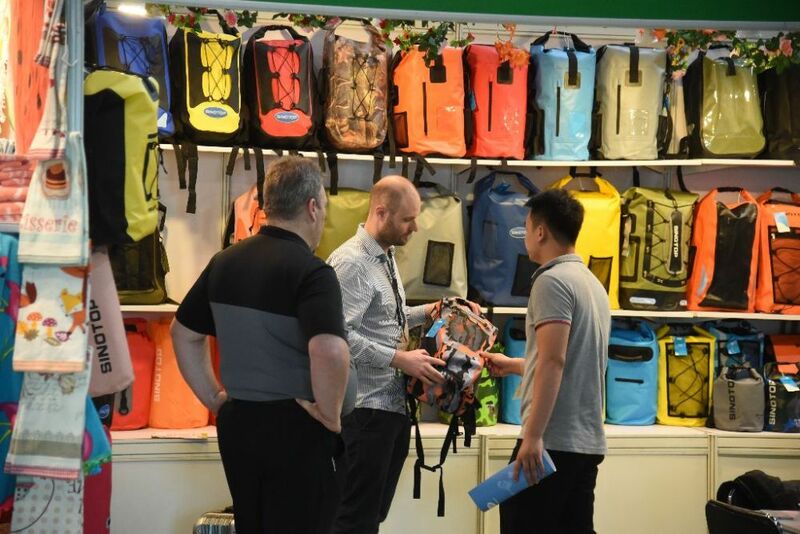 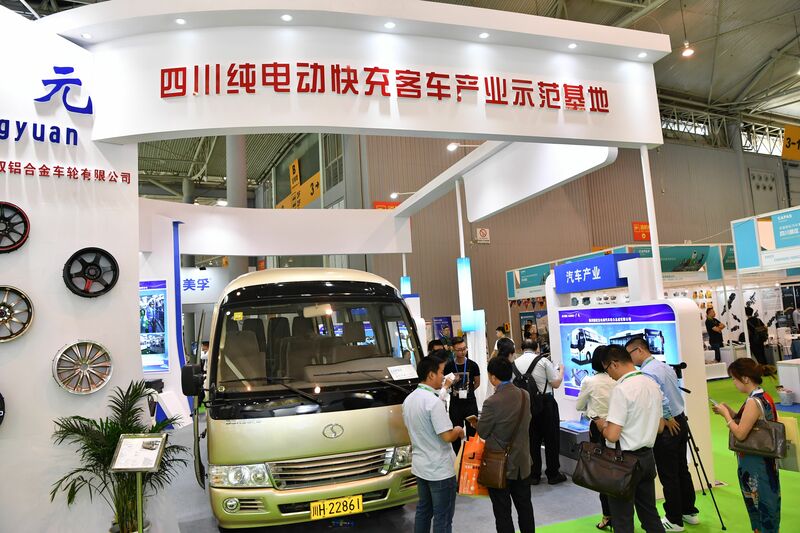 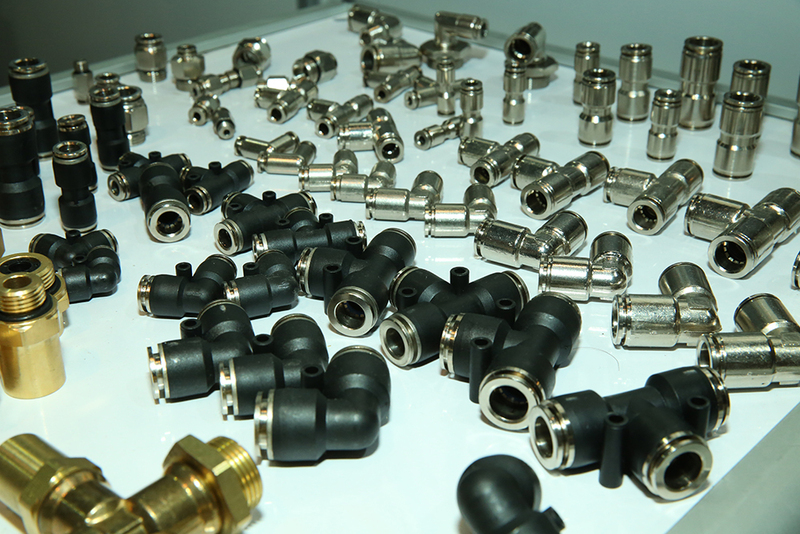 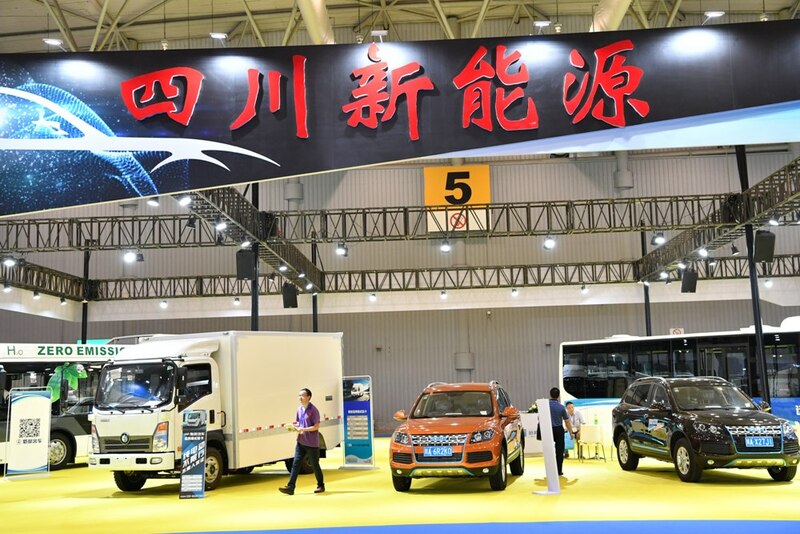 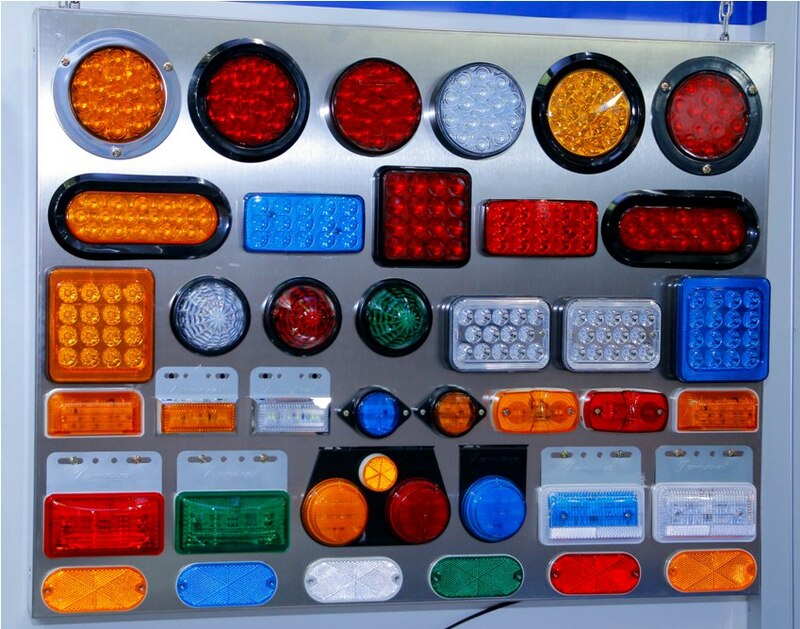 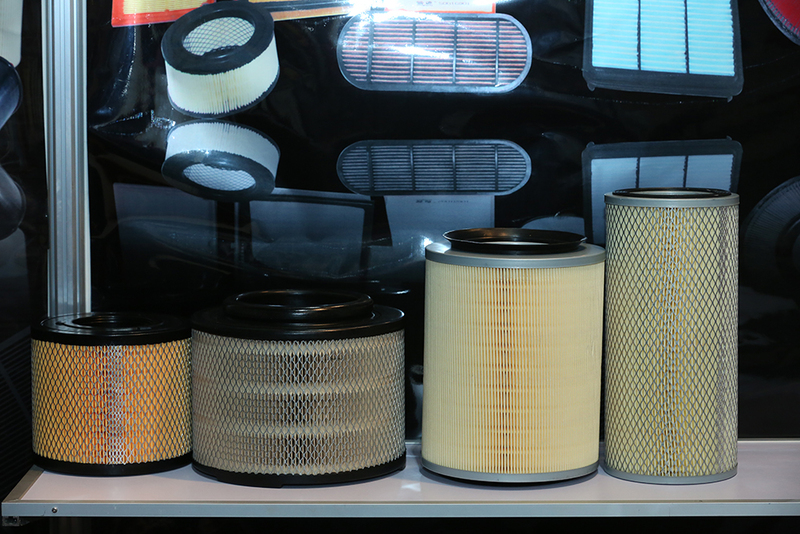 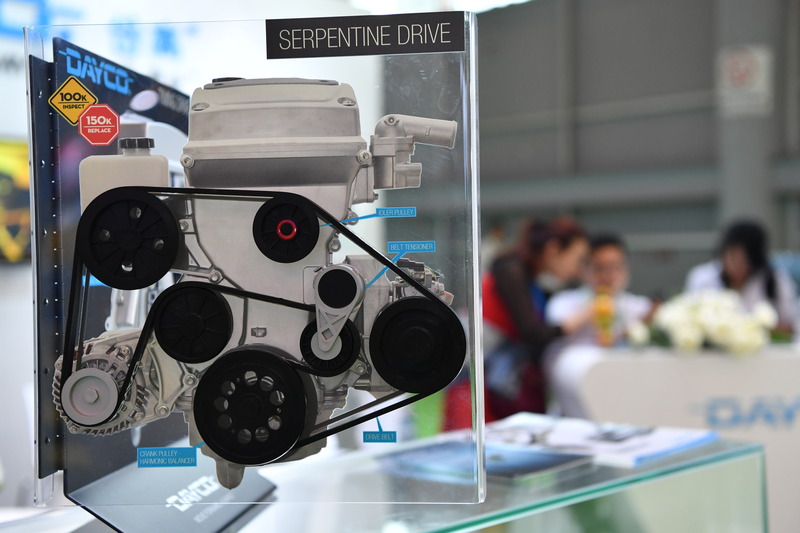 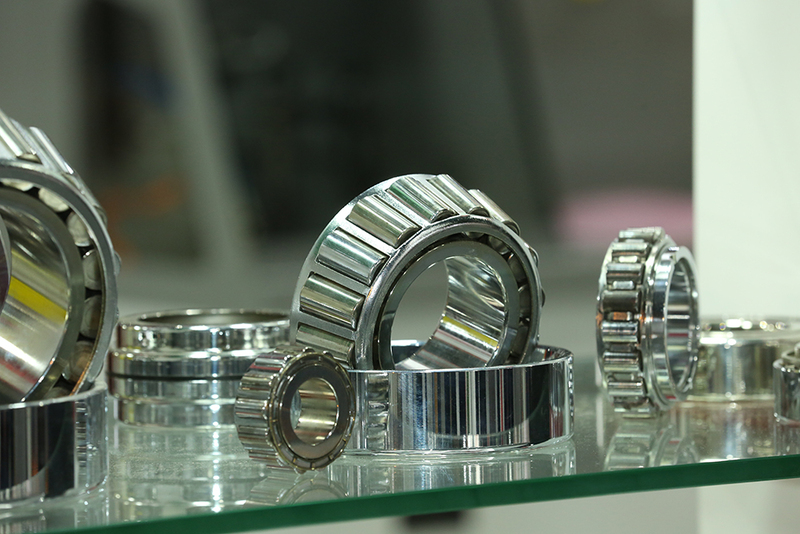 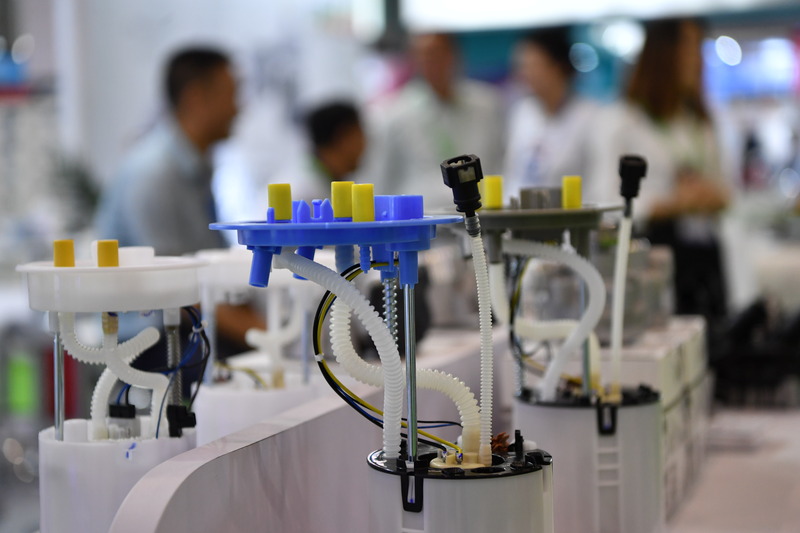 The 5th edition of the The Chengdu International Trade Fair for Automotive Parts and Aftermarket Services (CAPAS) concluded successfully with 583 international exhibitors. 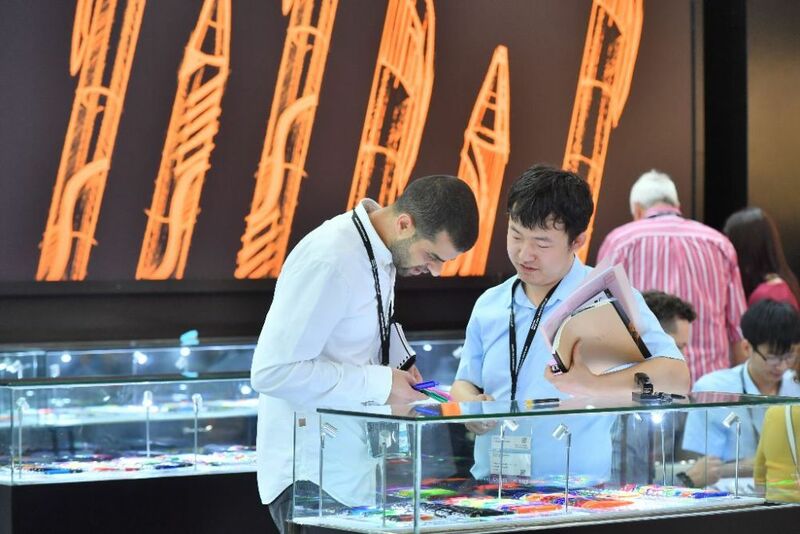 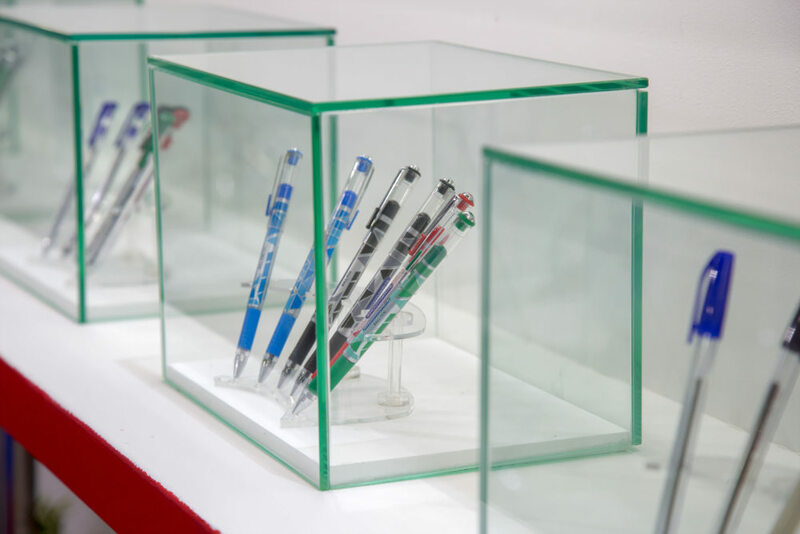 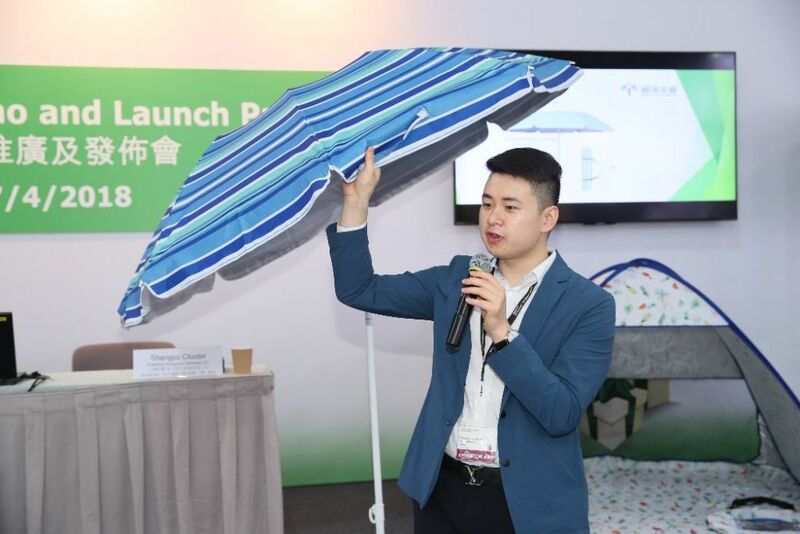 The sixth edition of CAPAS is scheduled to take place from 23–25 May 2019 at the Chengdu Century City New International Exhibition & Convention Center, China. 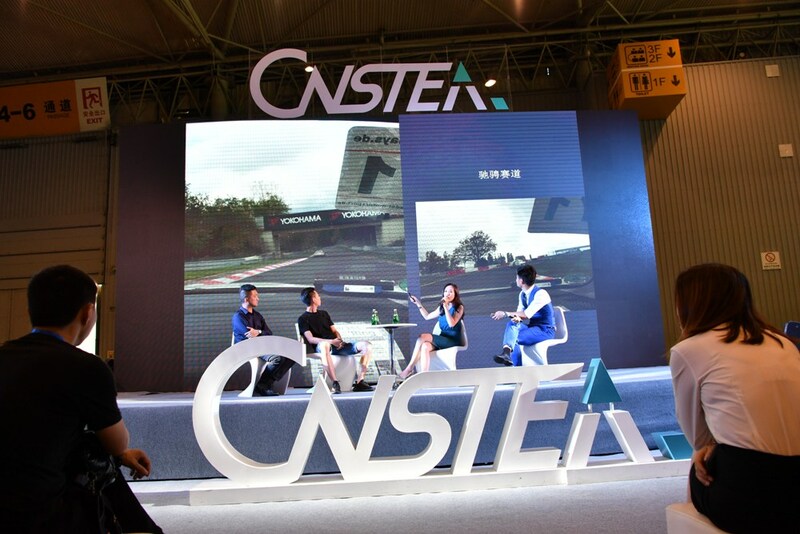 CAPAS has generated tremendous responses and has become one of the leading platforms for the automotive industry in Southwest China. 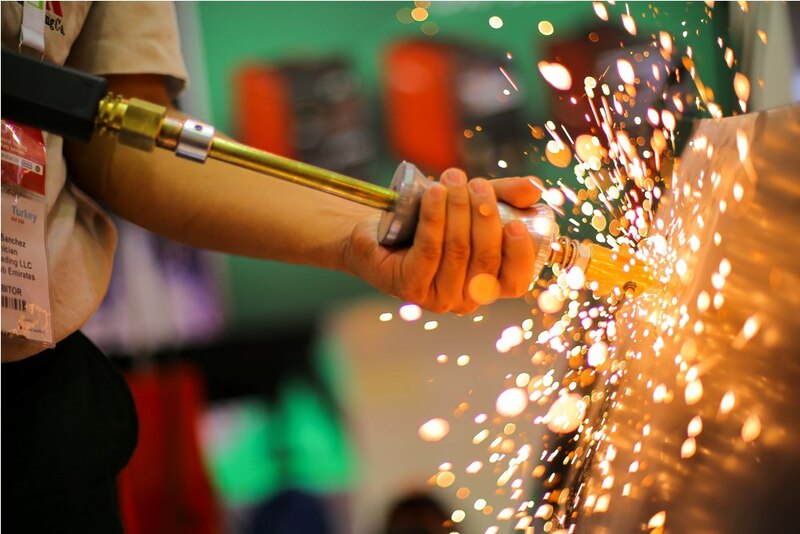 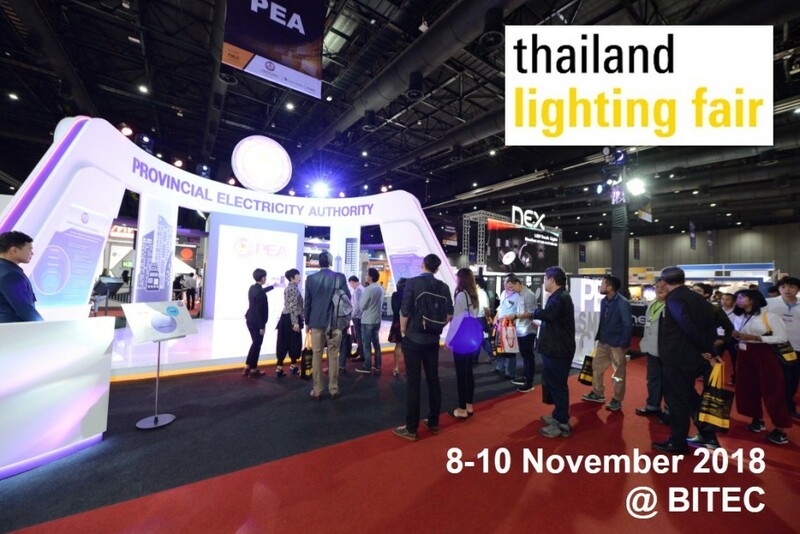 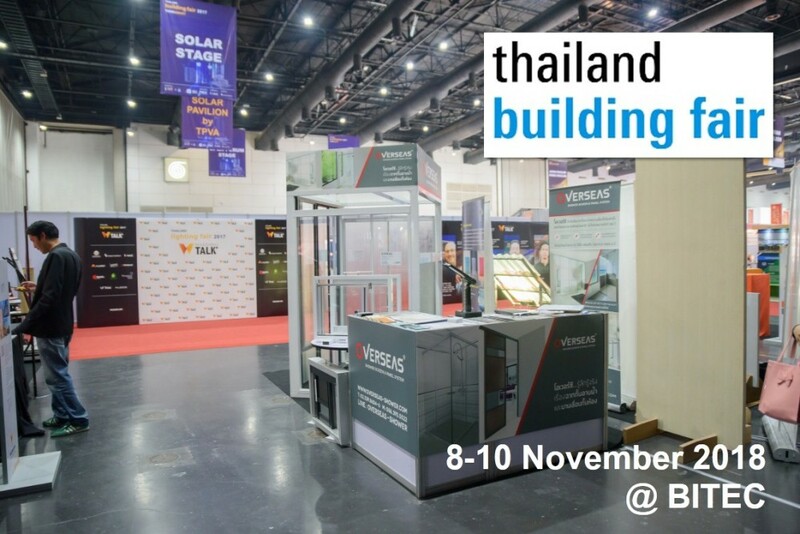 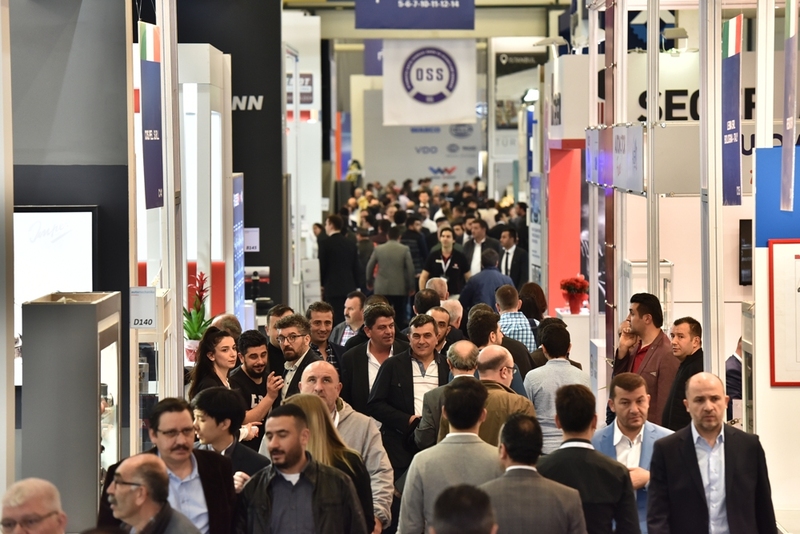 Moving towards its fifth edition, CAPAS continues to play a role in supporting the growing community by offering a platform for industry players to expand their business networks and exchange the latest industrial innovations. 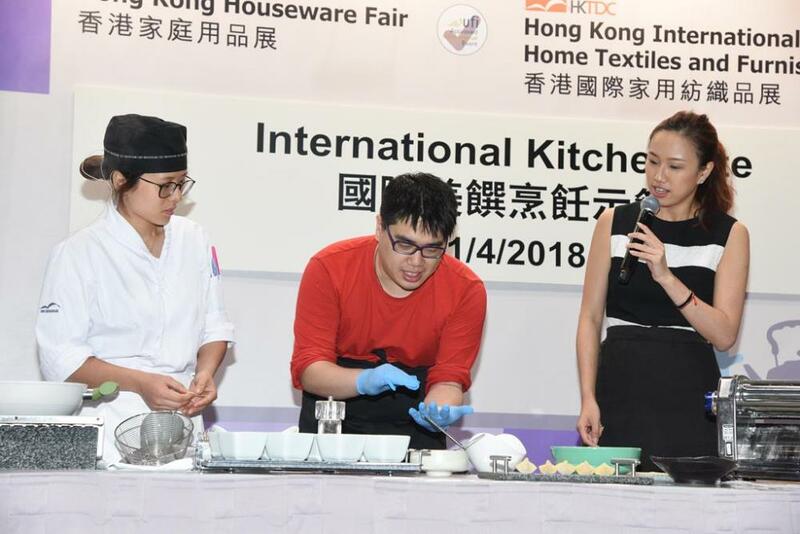 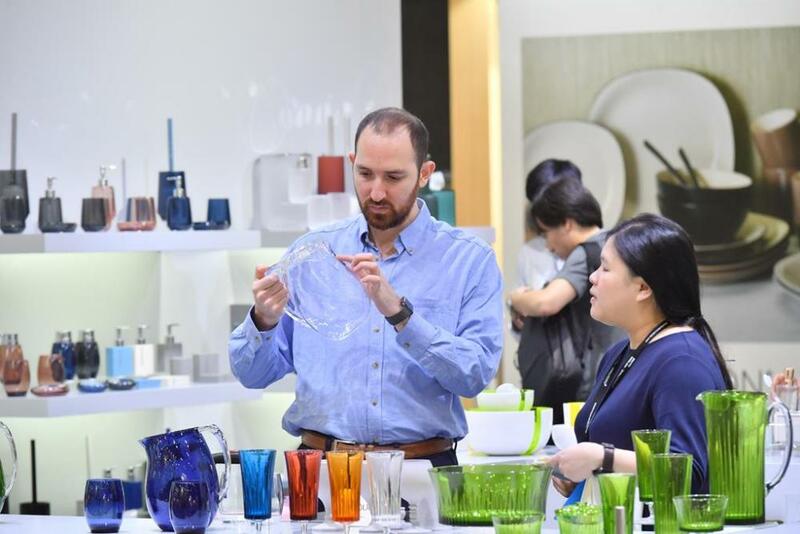 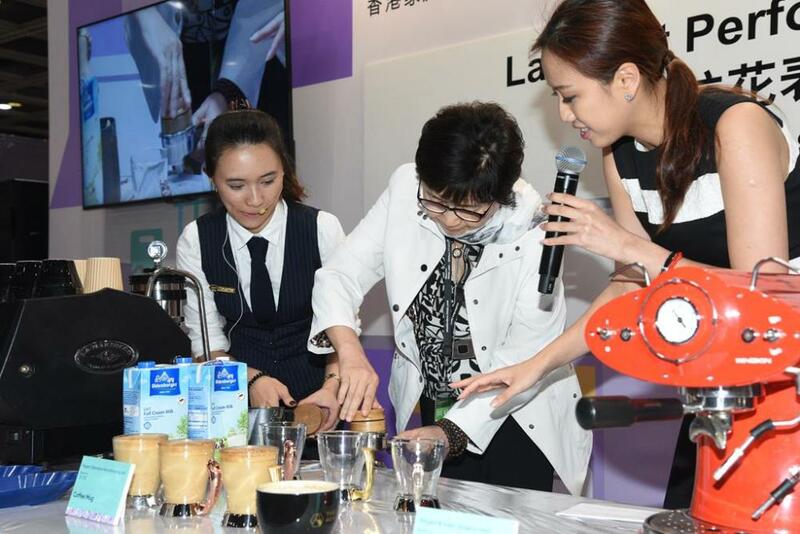 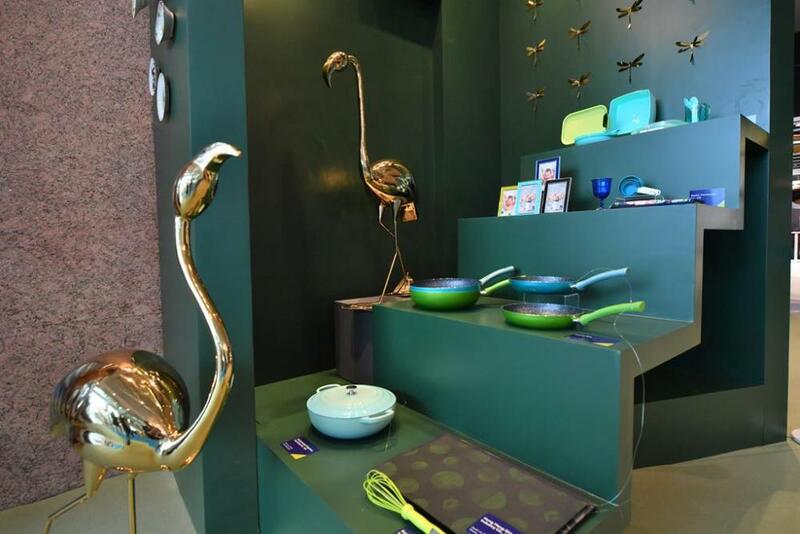 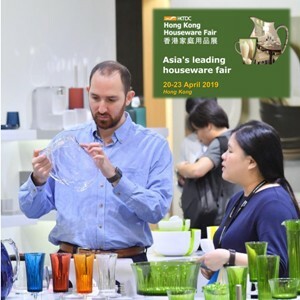 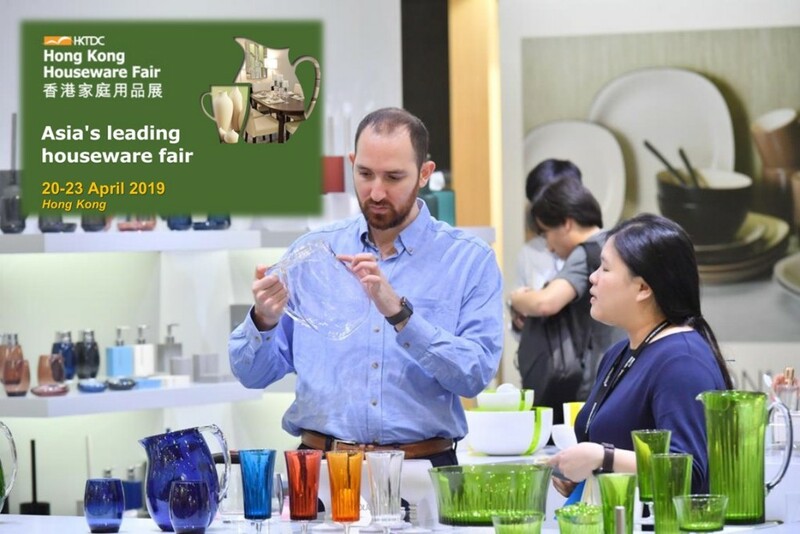 Asia’s Largest Houseware Showcase As the leading event of its kind in Asia, the HKTDC Hong Kong Houseware Fair attracts the industry’s top suppliers and most prominent buyers. 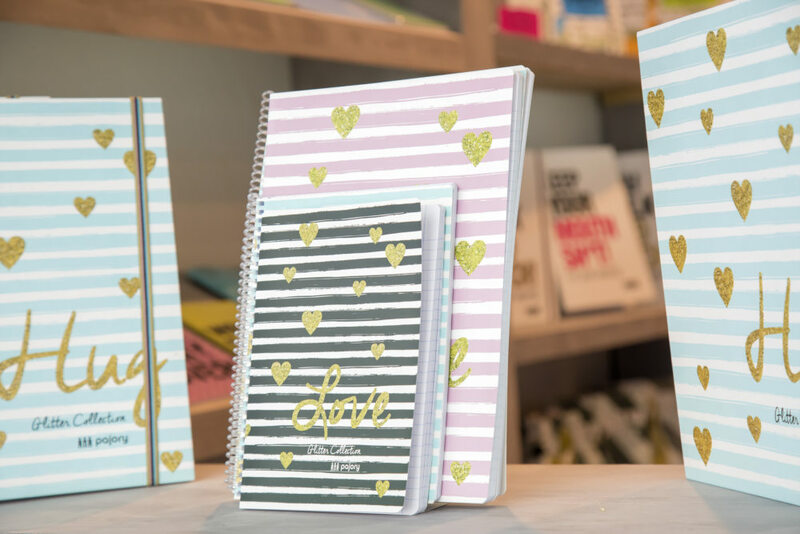 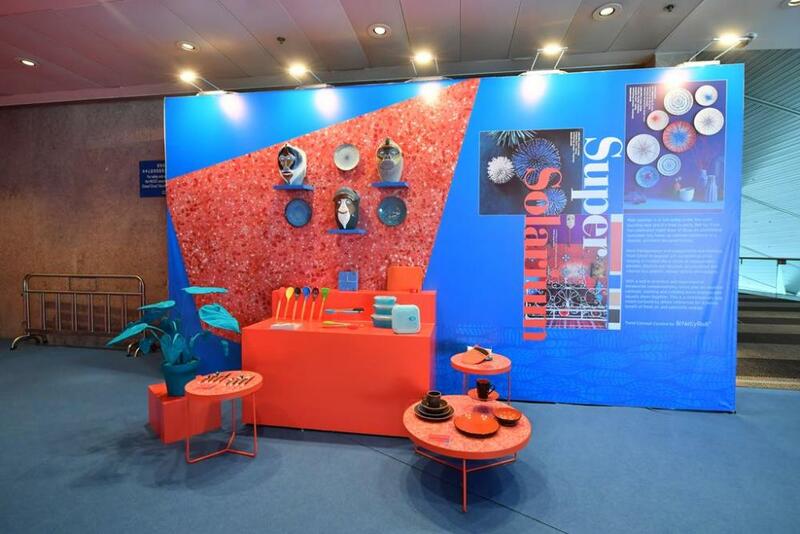 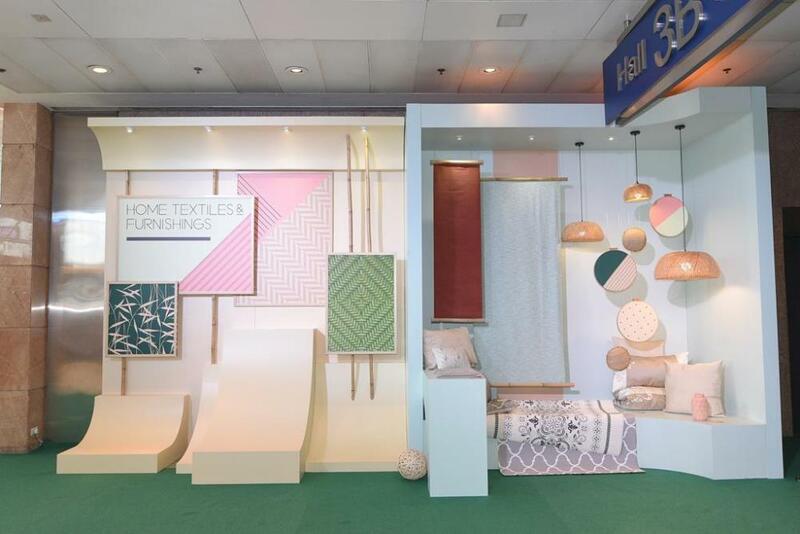 In 2018, the Fair featured over 2,300 exhibitors and 29,549 buyers from the globe in a comprehensive one-stop houseware showcase. 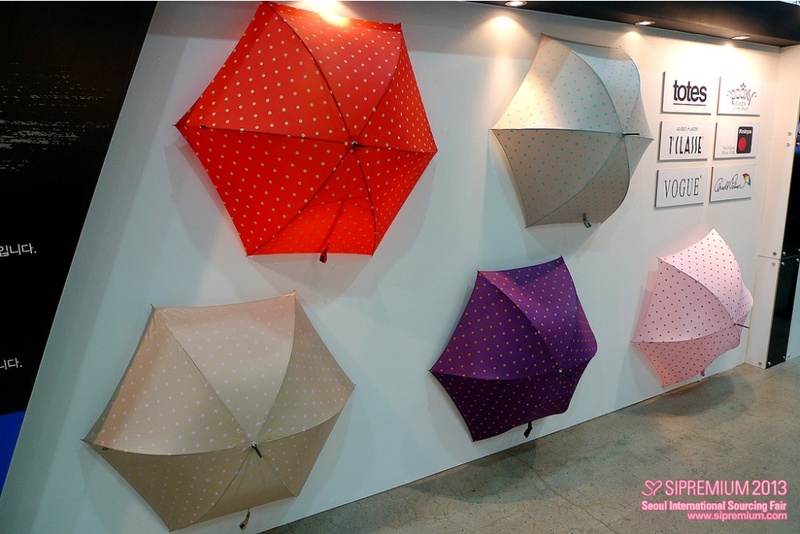 A Way of L.I.F.E. 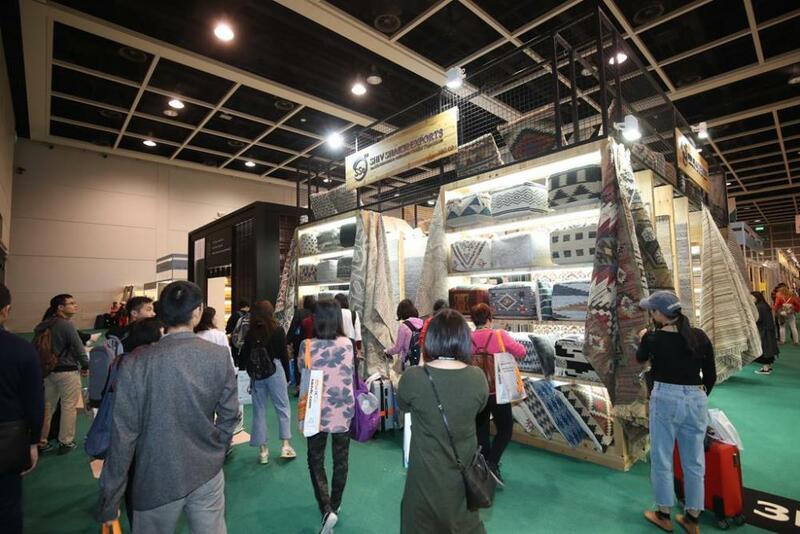 ; The 2019 Fair still with four major themes that celebrate the beauty of L.I.F.E. 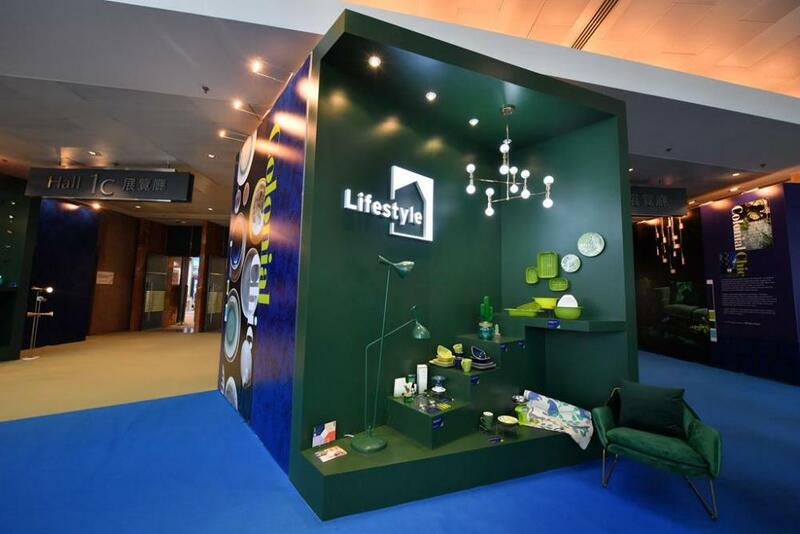 Lifestyle: features the Hall of Elegance, World of Fine Dining, World of Fine Décor, Creative Arts & Cultural Crafts and Green Living. 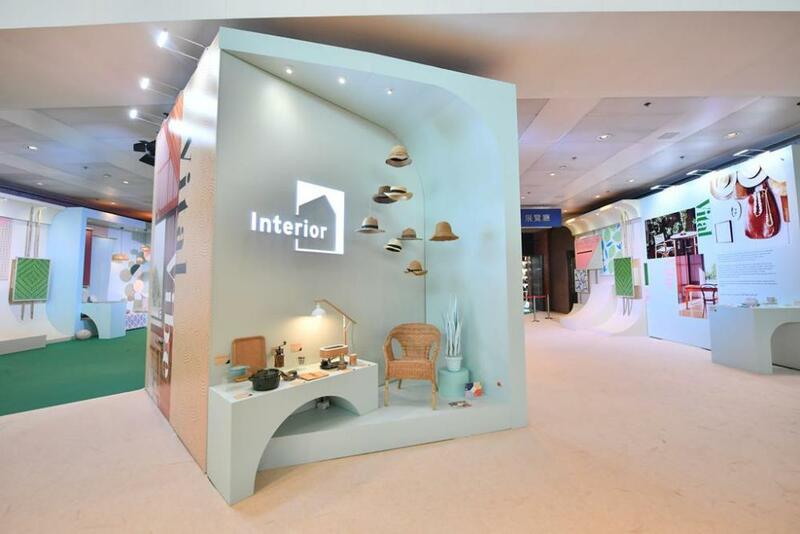 Interior: brings style into your home with zones such as Interior Décor, Festive Décor and Best of ASEAN. 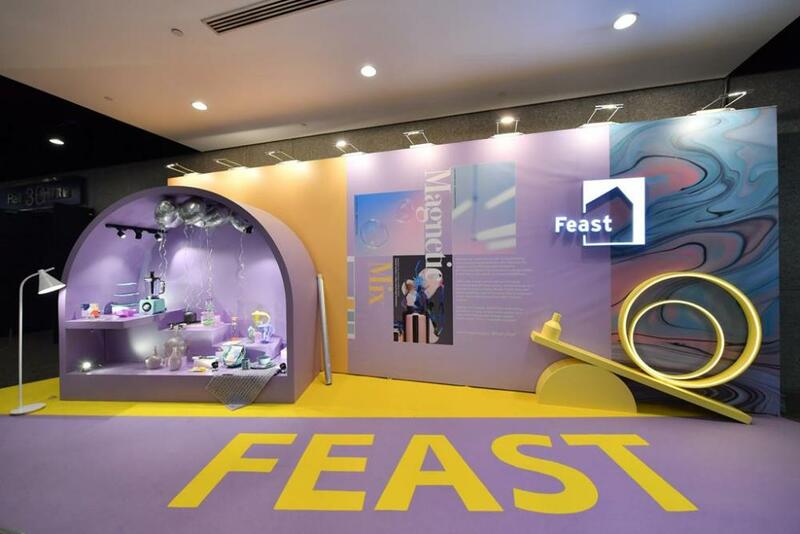 Feast: collects the best in Tableware, Wine Tools & Accessories, Kitchenware & Gadgets, Home Appliances, the Coffee Alley and the HORECA Zone. 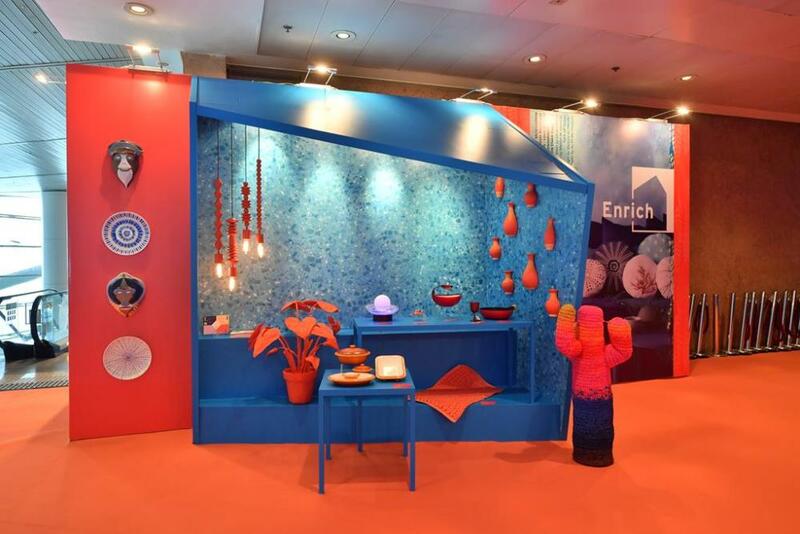 Enrich: showcases the World of Building & Hardware, World of Pet Supplies, Baby Products, Bath Beauty & Healthcare, Furniture, Homepedia, Home Cleaning & Laundry, Outdoor & Gardening, Storage Solutions and the Startup zone. 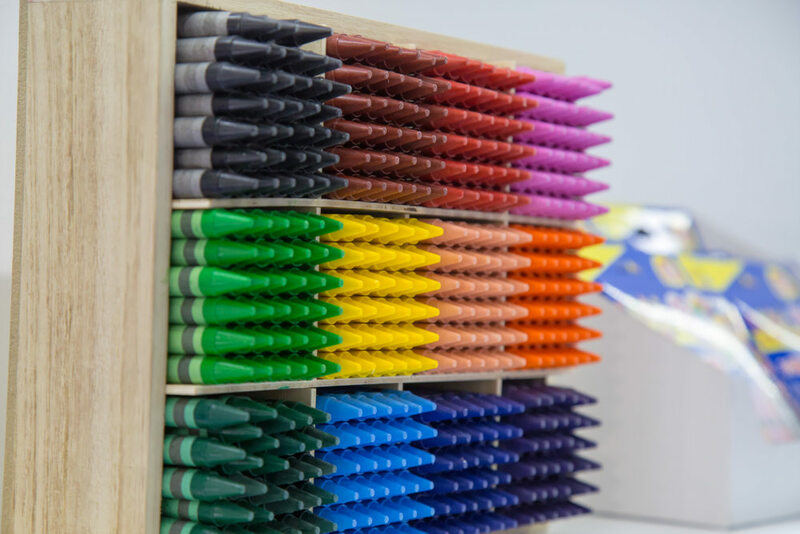 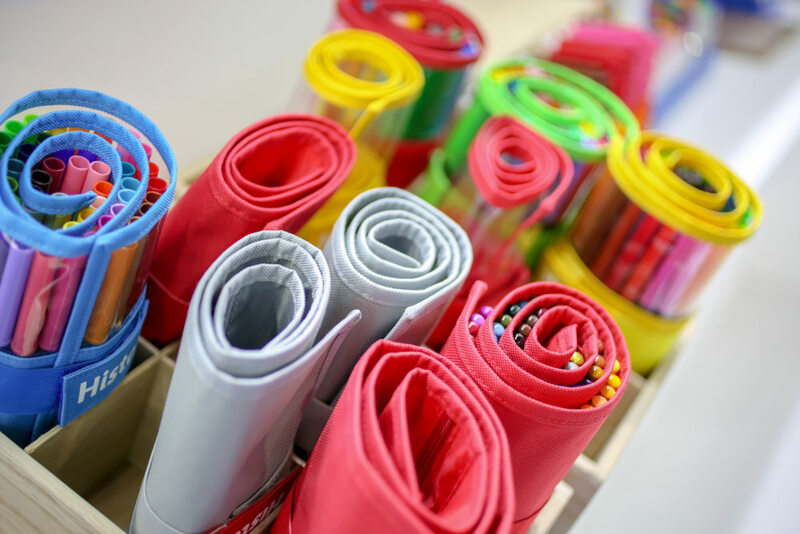 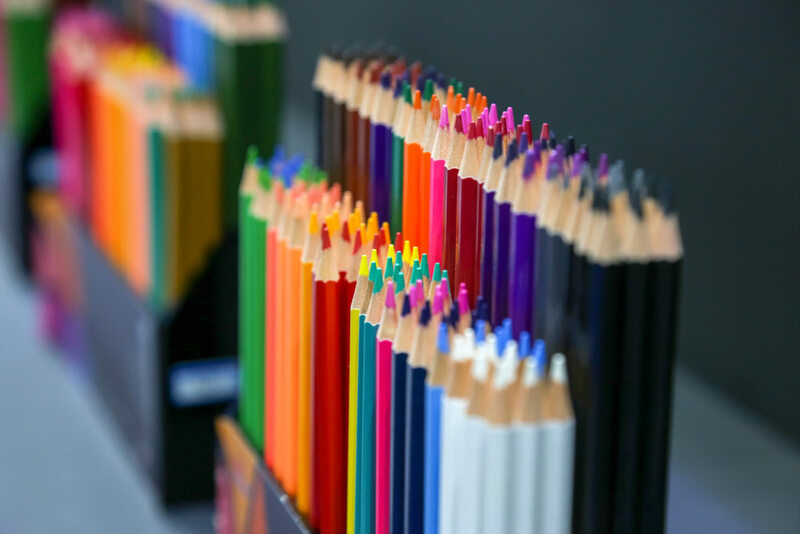 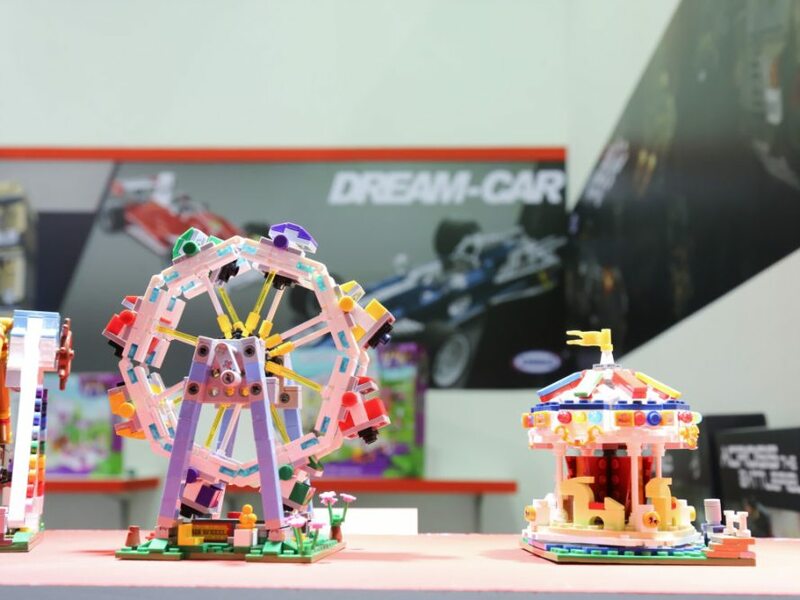 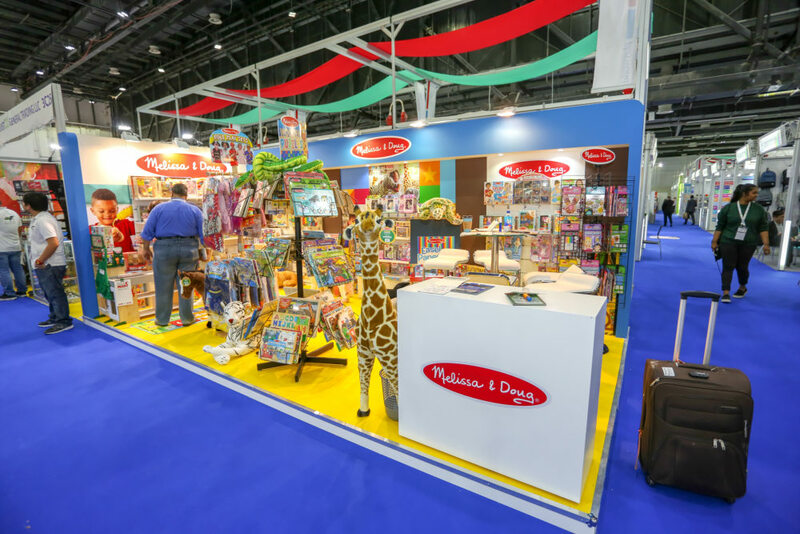 Paperworld Middle East Paperworld Middle East, including Playworld Village will return to Dubai from 18 – 20 March, 2019. 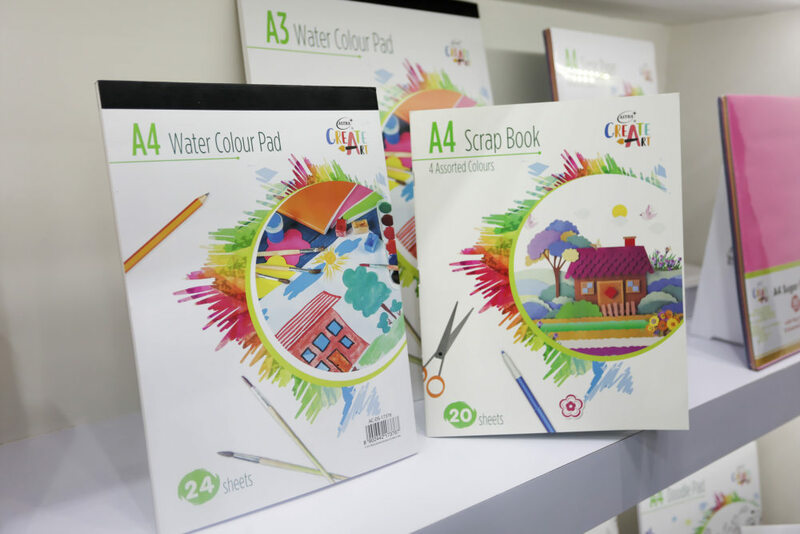 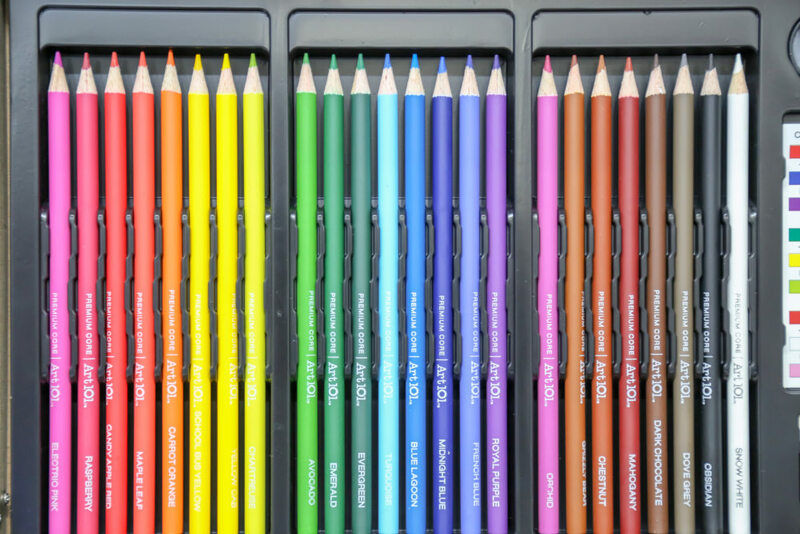 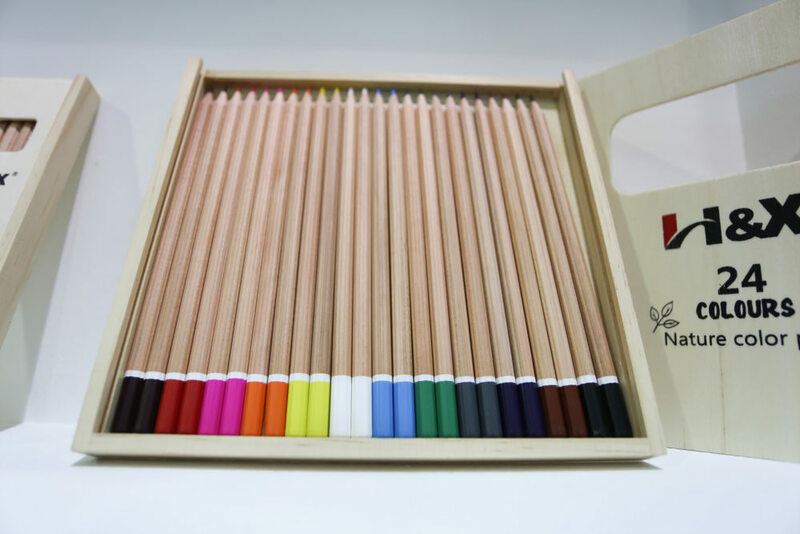 The 8th edition successfully attracted 7,179 trade visitors from 90 countries at the Dubai World Trade Centre, while 303 exhibitors from 42 countries presented their latest solutions from stationery, office supplies, paper and school articles, to toys, games, and arts and craft supplies, as well products from the new dedicated corporate gifts section. 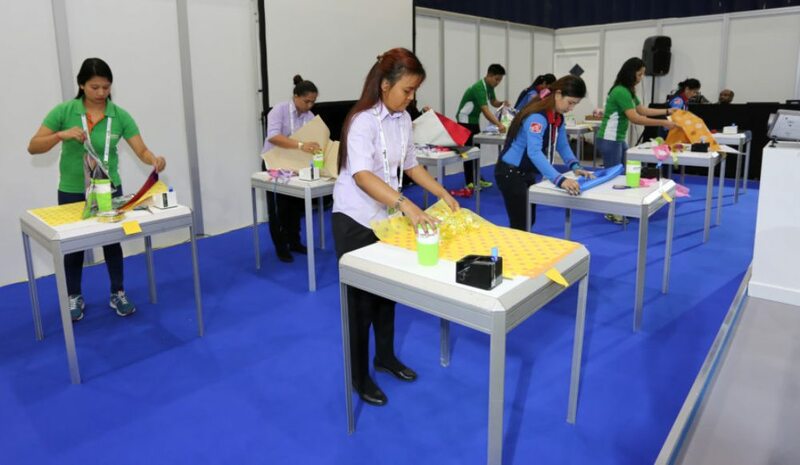 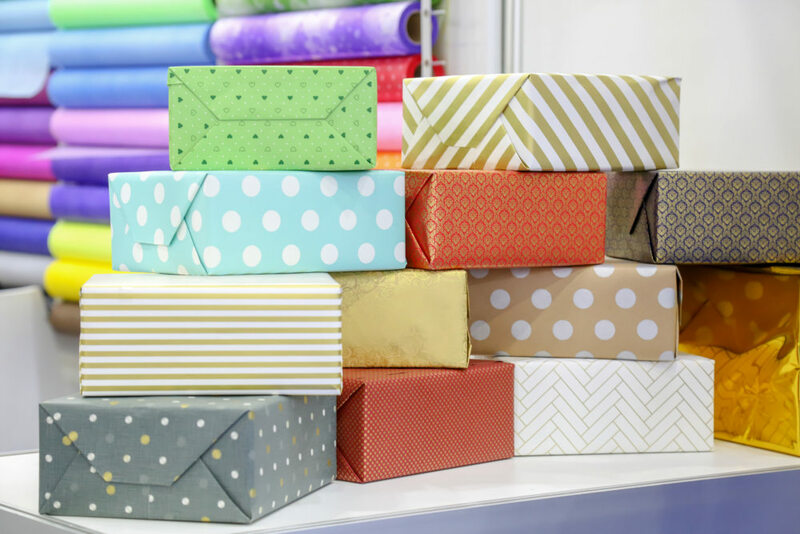 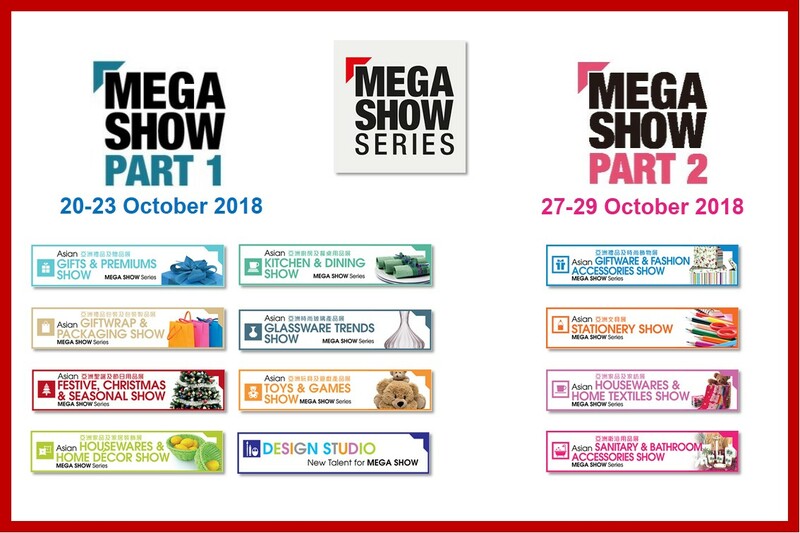 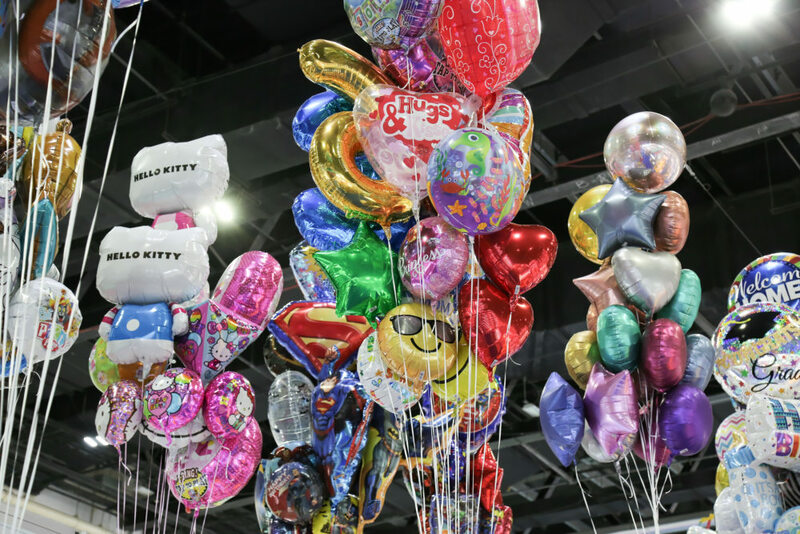 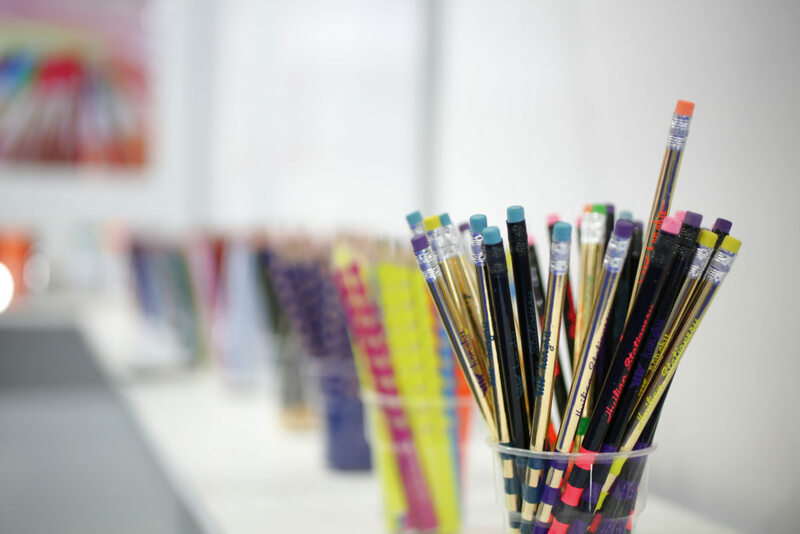 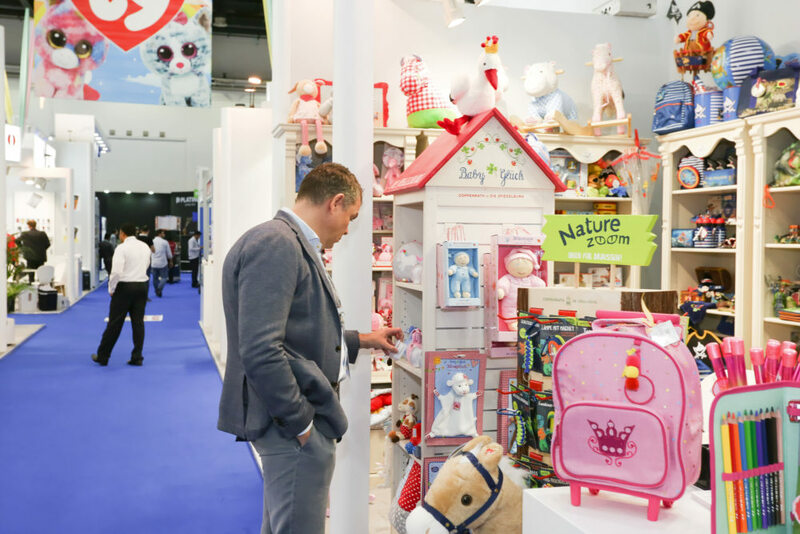 Show highlights included The Green Room, Playworld Village, the 6th edition of the regions only gift wrapping completion, Wrap Star and the new industry focused seminars attracting regional visitors. 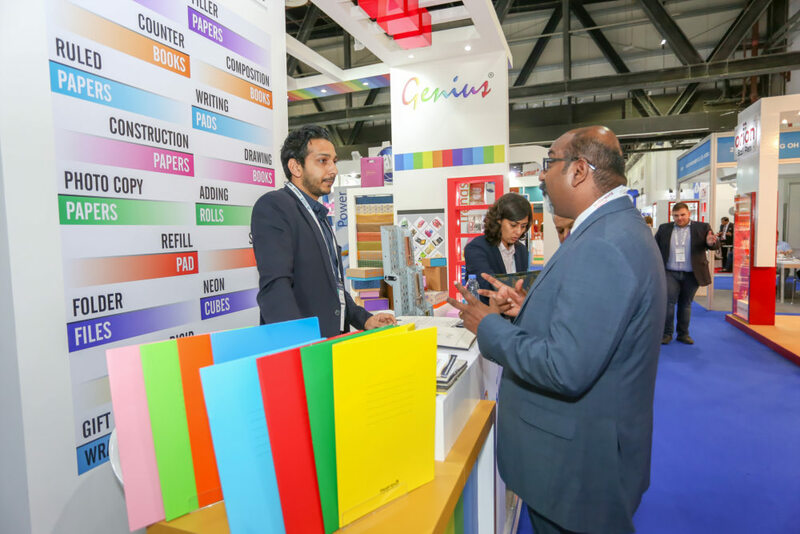 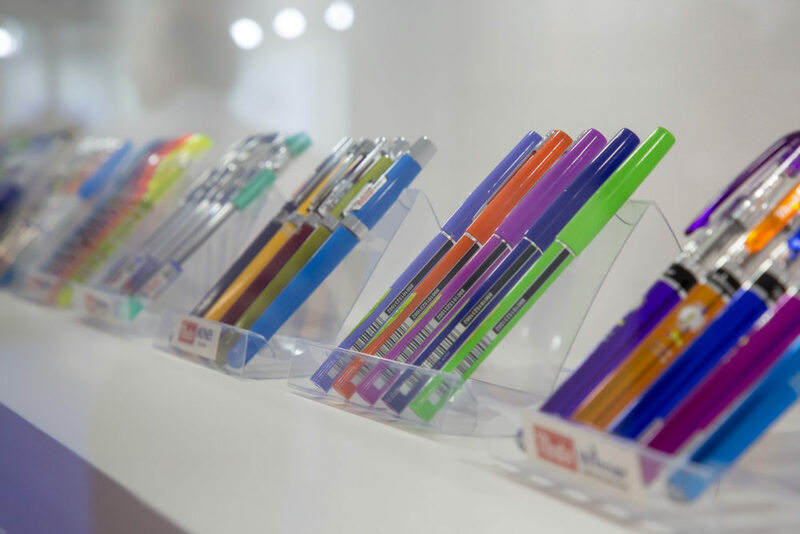 Paperworld Middle East is far more than just a product showcase. 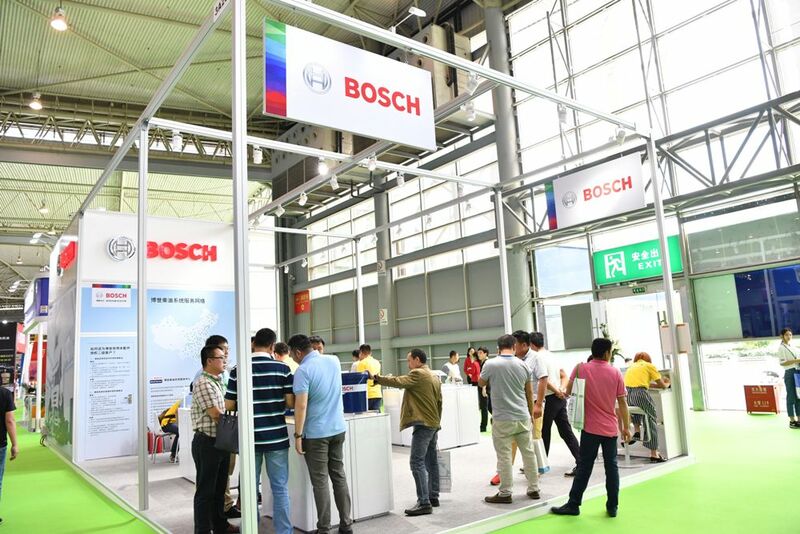 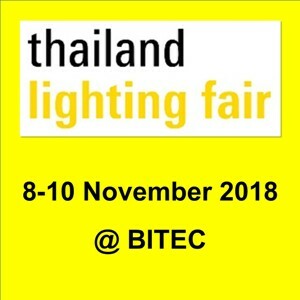 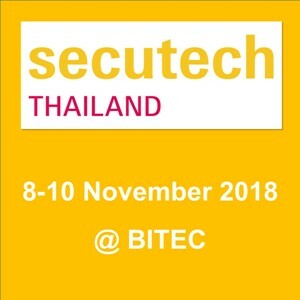 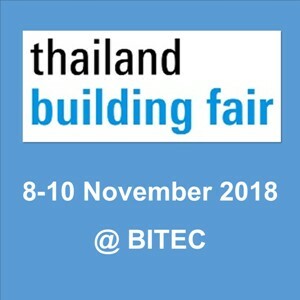 It is a meeting place, a platform for trends and ideas and above all, a communication forum for bold, innovative and dynamic industry players. 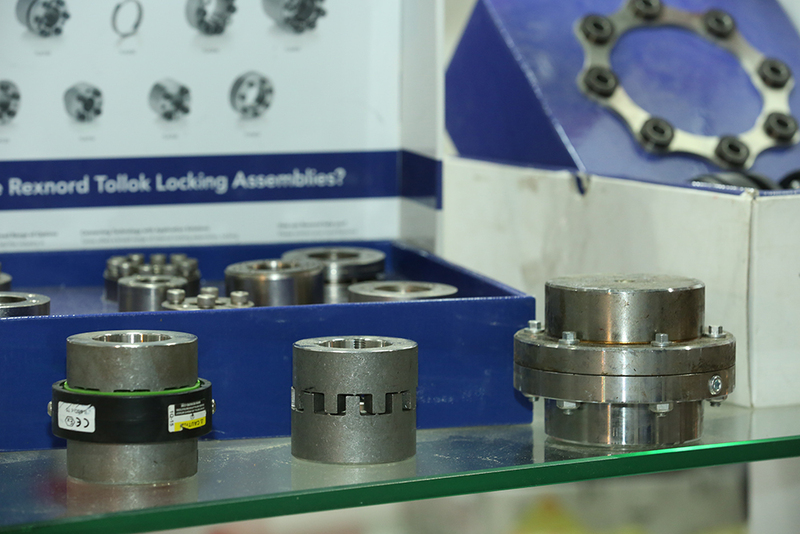 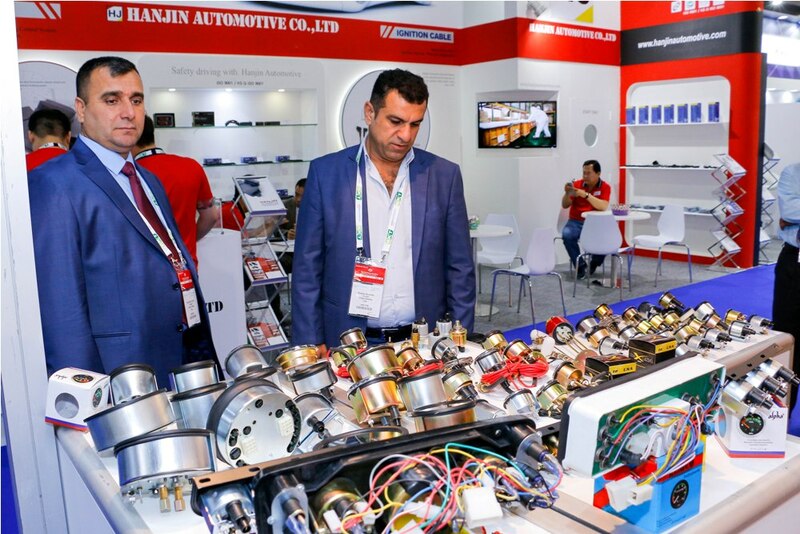 Automechanika Jeddah Saudi Arabia’s leading regional trade fair for the automotive aftermarket industry targeting trade visitors from Saudi Arabia. 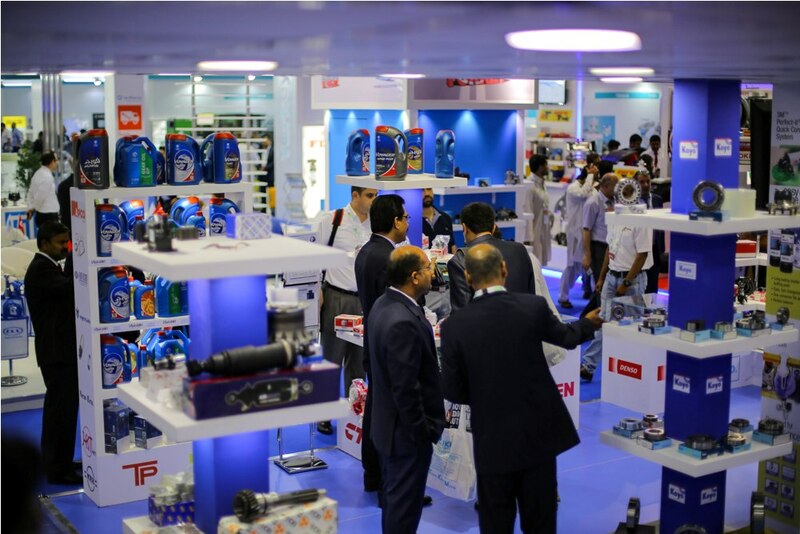 After 2 successful editions of Automechanika Jeddah in 2016 & 2017, the show will return to Jeddah February 26-28, 2019 at the Jeddah Center for Forums and Events. 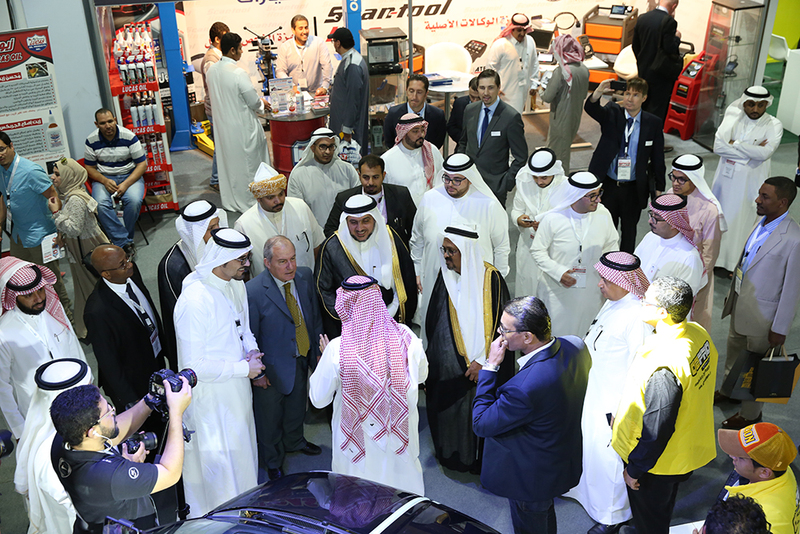 The 2nd edition of Automechanika Jeddah, held from 31 January – 02 February 2017, welcomed the participation of 174 exhibitors from 25 countries along with 7 country pavilions and over 4,000 trade visitors from across the Saudi Arabian automotive aftermarket. 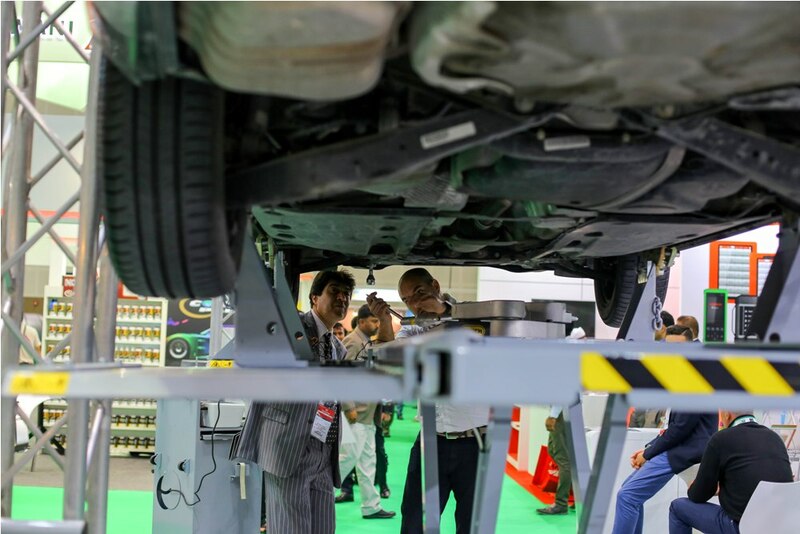 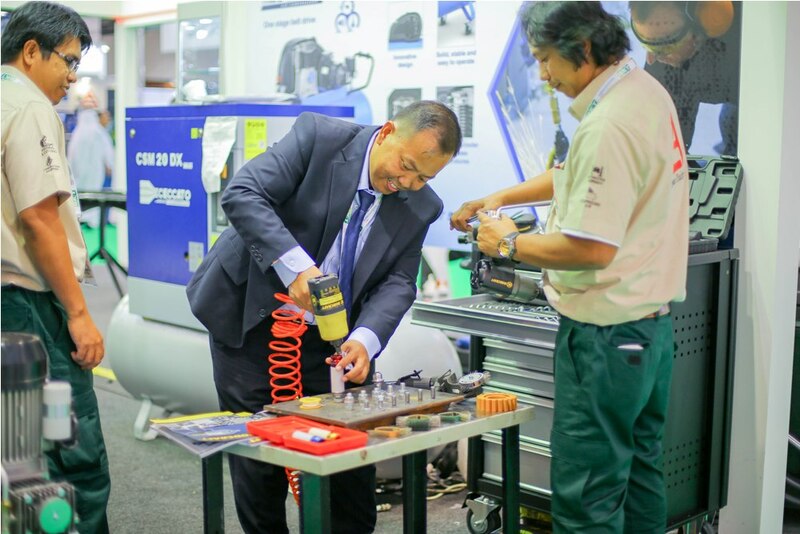 In 2018, Automechanika Riyadh opened its first edition at the Riyadh International Convention & Exhibition Center. 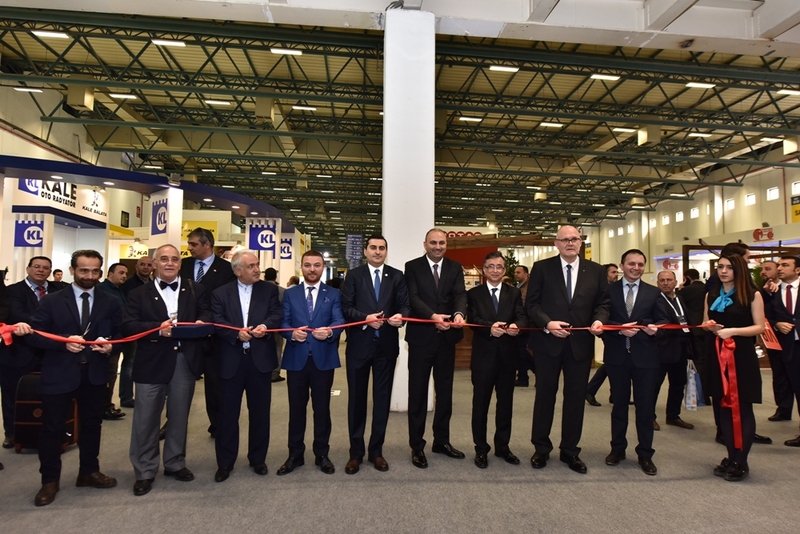 The show welcomed 146 exhibitors from 20 countries and 4,961 visitors for three days. 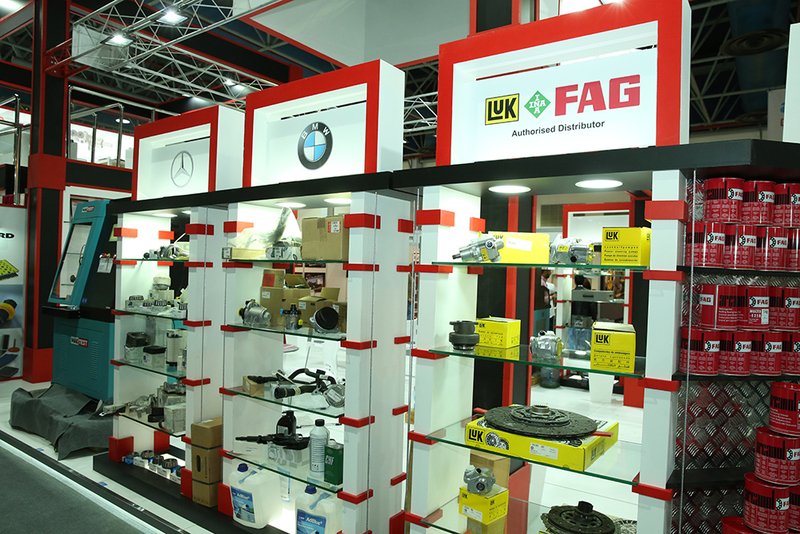 There were five country pavilions present, including the first ever German pavilion at Automechanika in Saudi, along with Turkey, Korea, the USA and China. 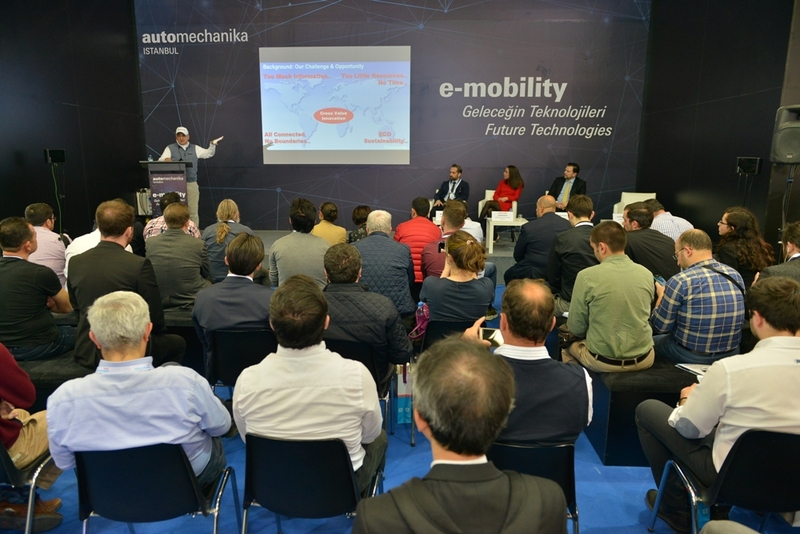 Automechanika Riyadh will return to the capital city in February 2020. 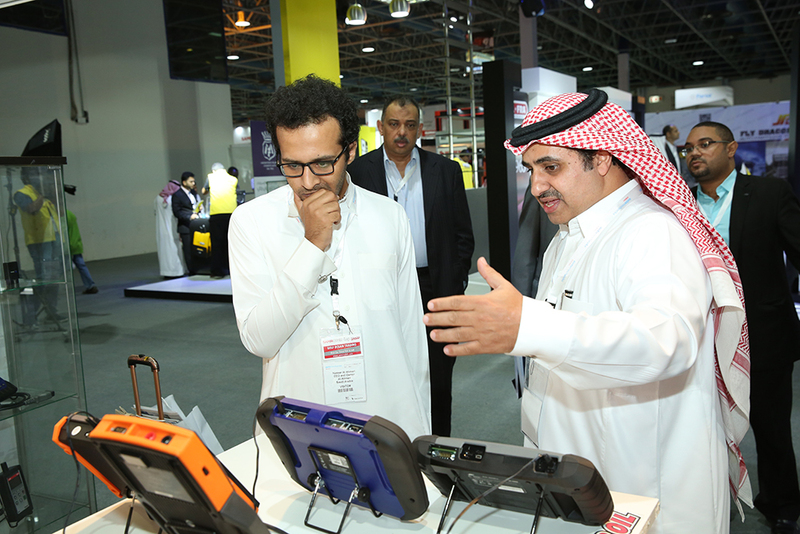 As part of the strategy to widen the reach of our exhibitors, the show will alternate between Riyadh and Jeddah every year. 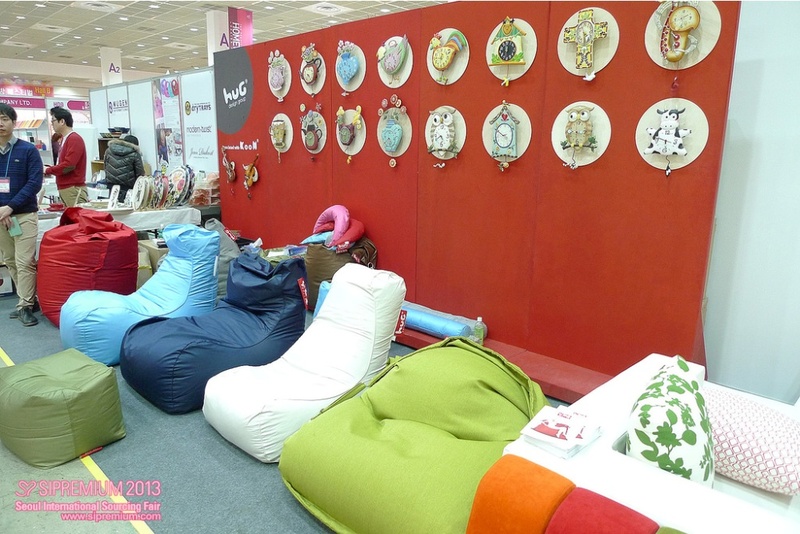 The odd years will see the show being organized in Jeddah while the even years will see the show being organized in Riyadh. 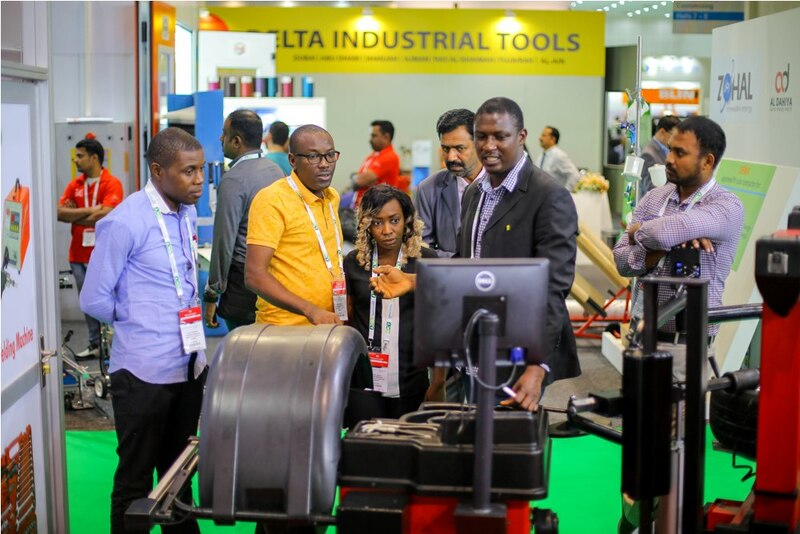 The strategy is meant to expand business, help make new contacts and expose our exhibitors to different visitors from across the Kingdom of Saudi Arabia. 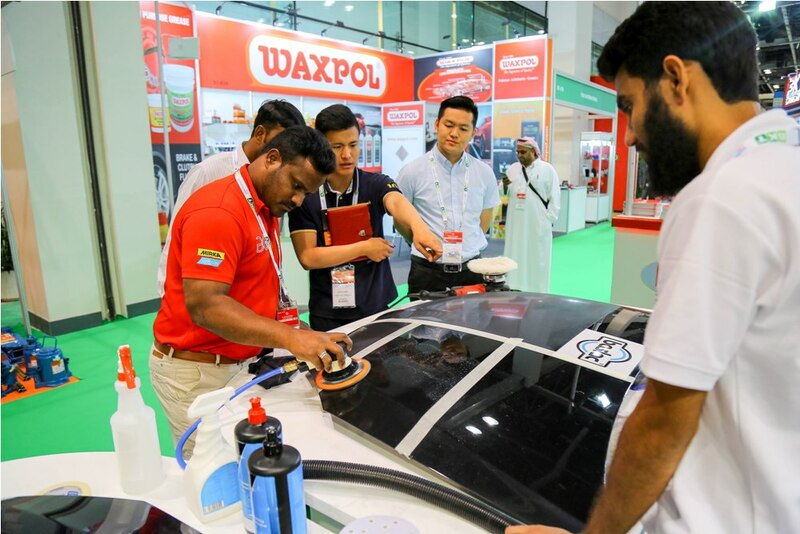 Automechanika Dubai As expected every year, Automechanika Dubai sold out yet again with waiting lists for all six sections of the show; Parts & Components, Electronics & Systems, Repair & Maintenance, Tyres & Batteries, Service Station & Car Wash and Accessories & Tuning. 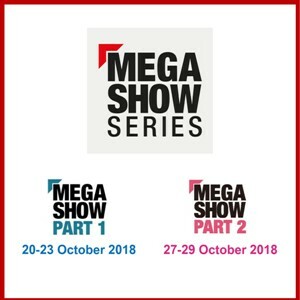 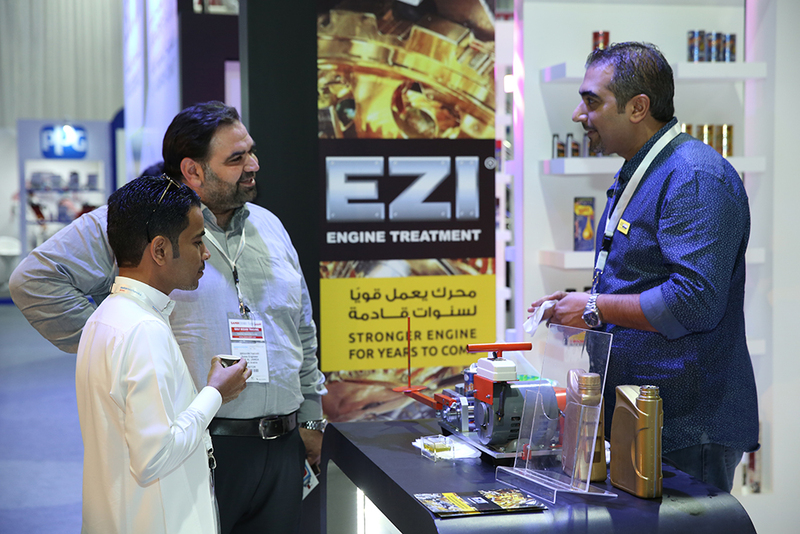 This year’s show will be taking 13 halls – Halls 1-8, Arena and Sheikh Saeed Halls 1 – 3, Zabeel 3 – and even Concourse 1 and 2 of the Dubai International Convention and Exhibition Centre. 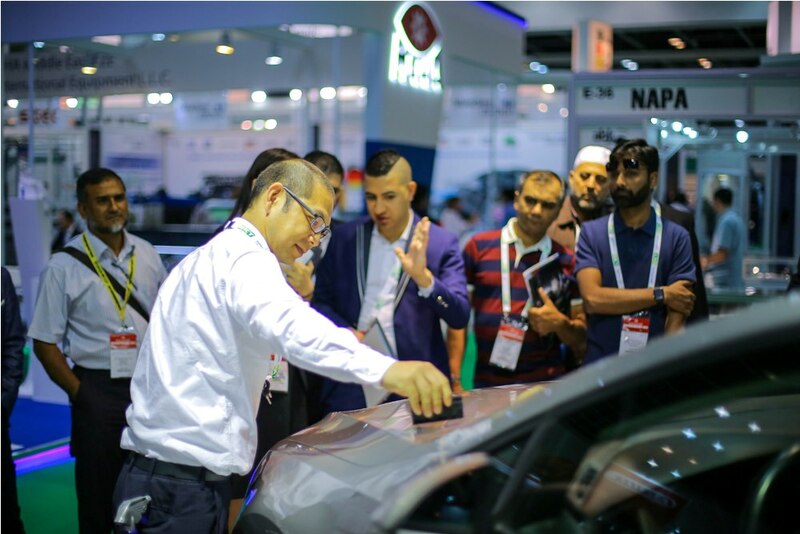 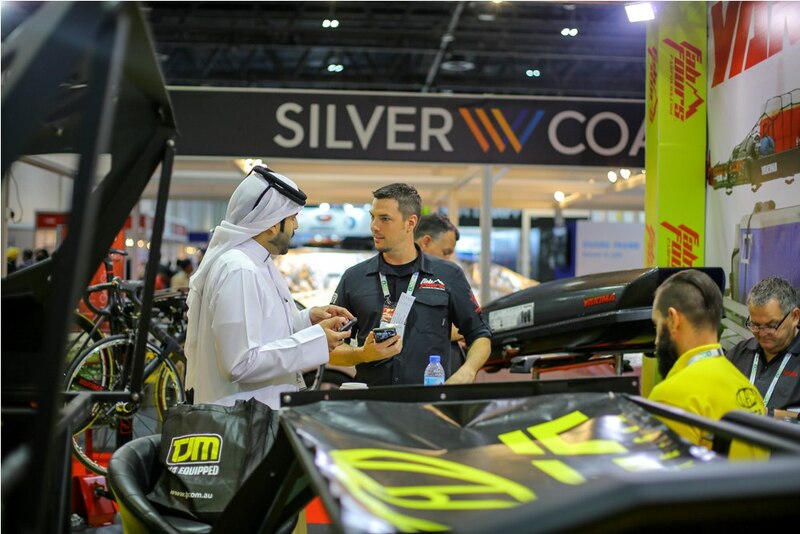 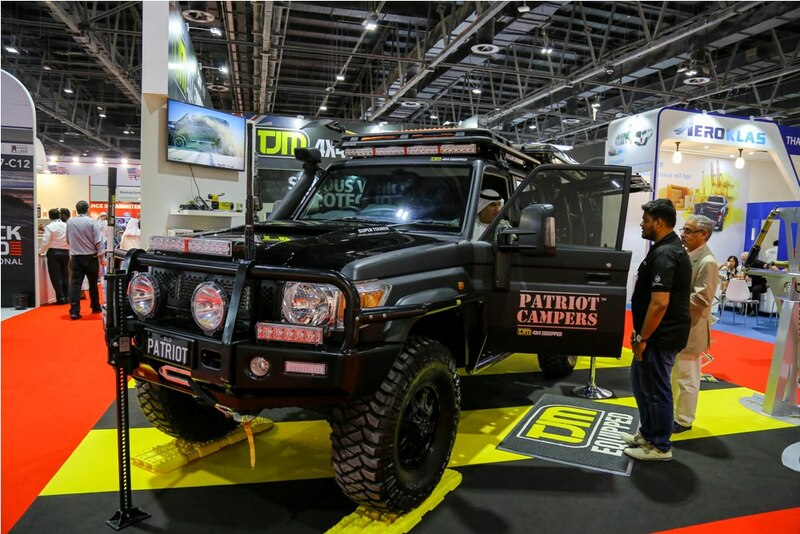 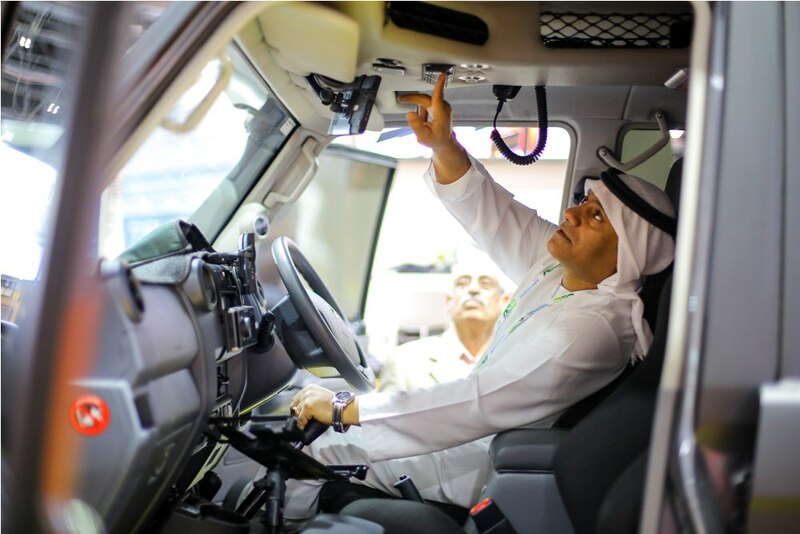 Automechanika Dubai 2018 featured 1,801 exhibitors from 61 countries and welcomed more than 31,971 trade visitors from across 150 countries. 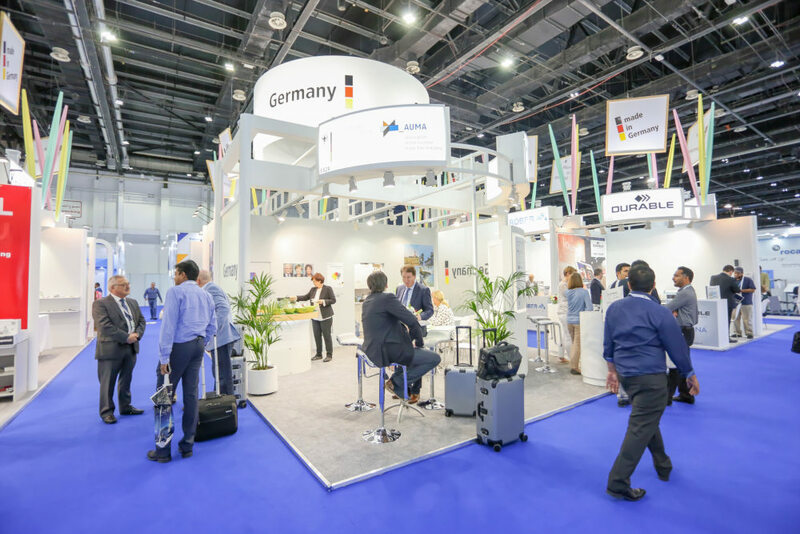 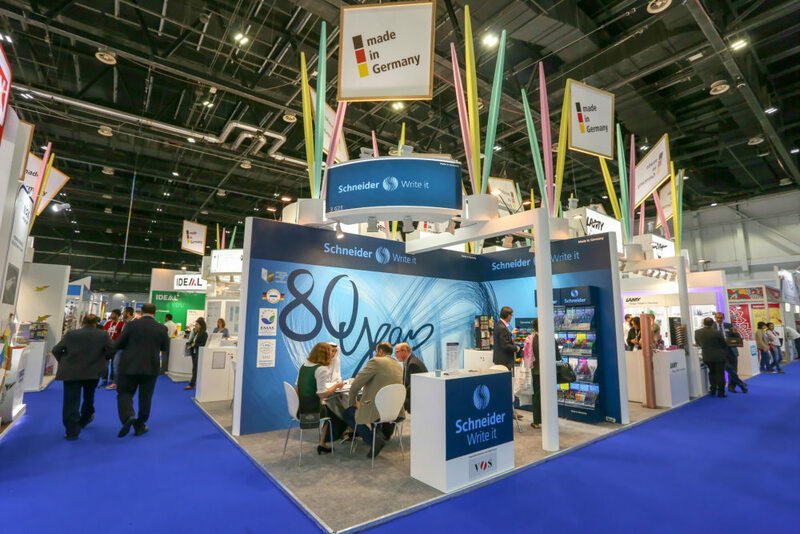 The number of official country pavilions taking part this year is 23, which includes the world’s largest German Pavilion for the automotive aftermarket industry. 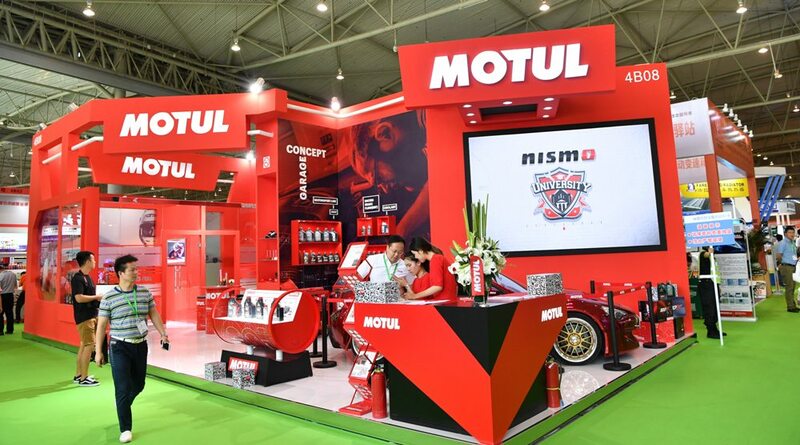 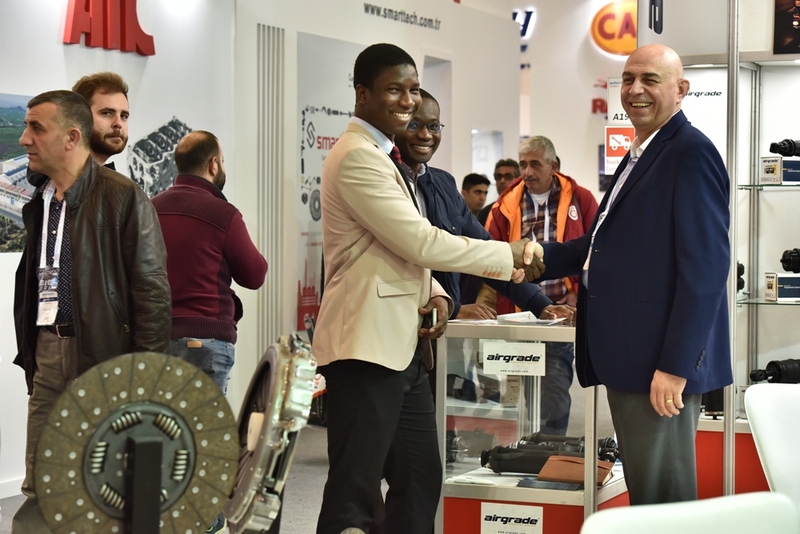 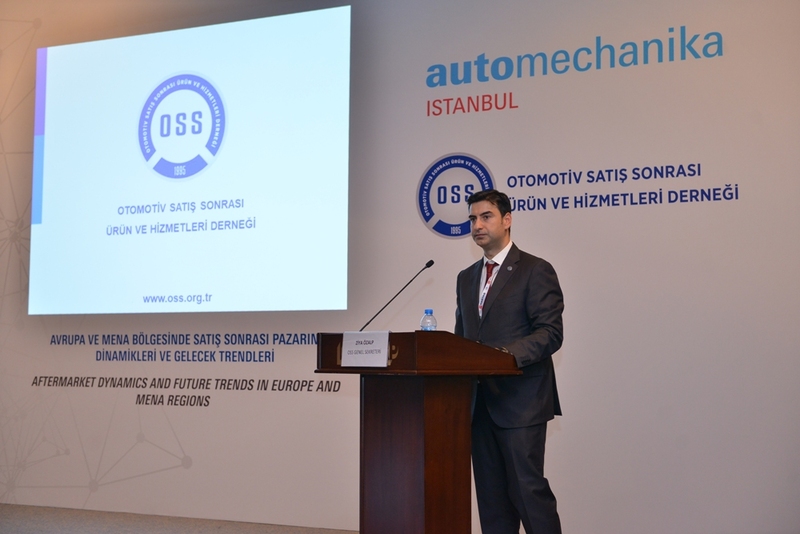 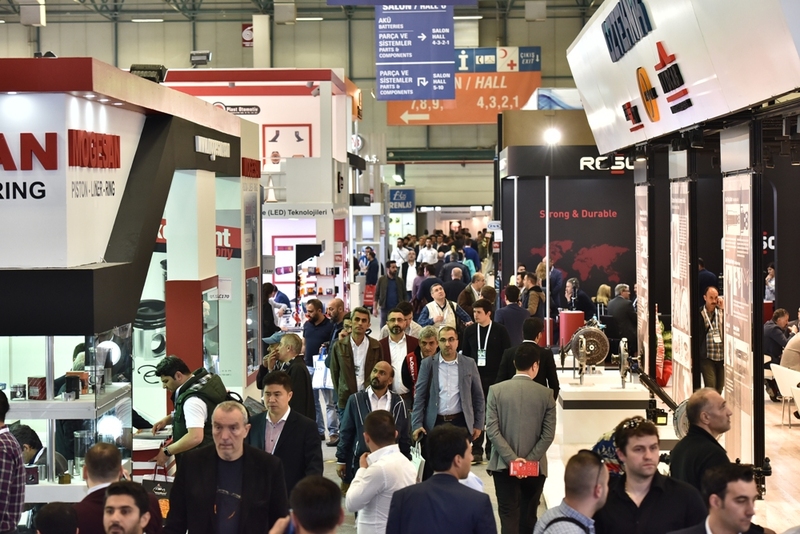 Turkey’s Leading International Trade Fair for the Automotive Industry The brand name Automechanika stands for successful fairs for the automotive original equipment manufacturing and aftermarket industries all around the world. 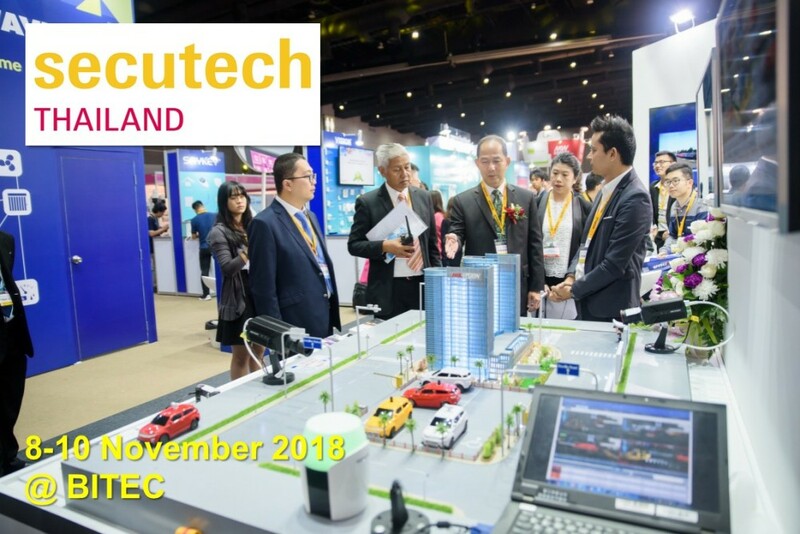 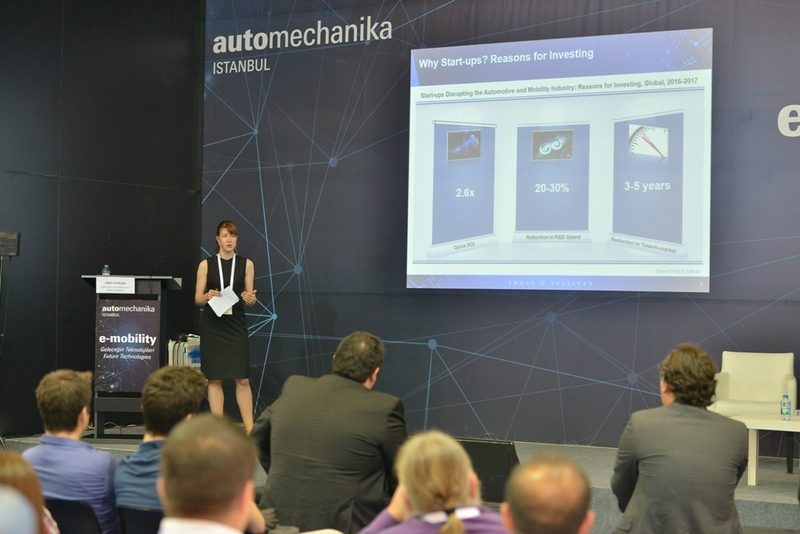 Whether in Europe, Asia or the Americas, Automechanika aims at providing the ideal trading and information platform for international automotive professionals. 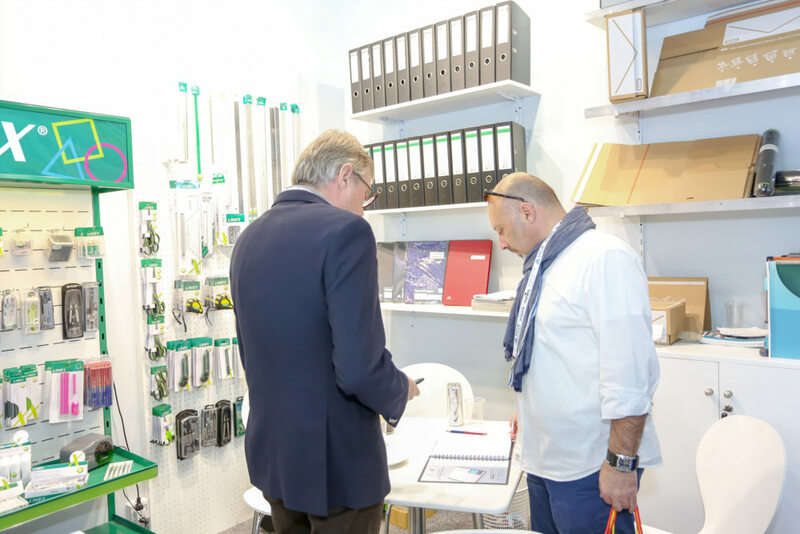 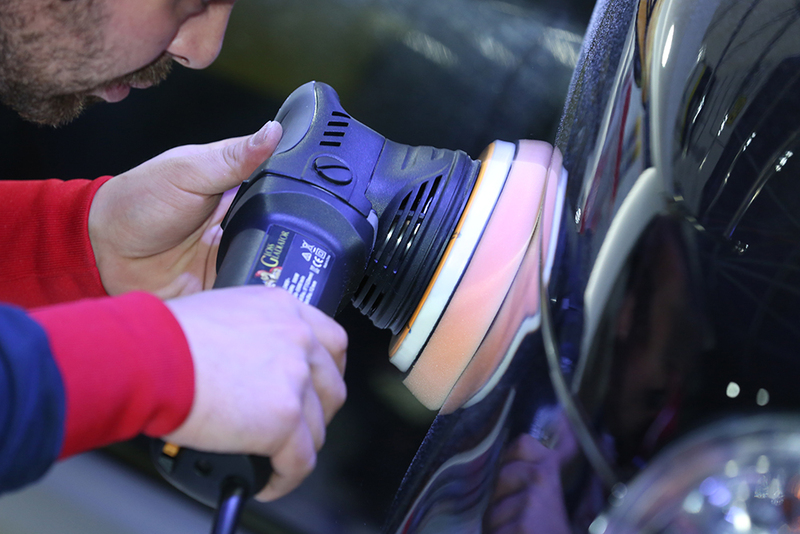 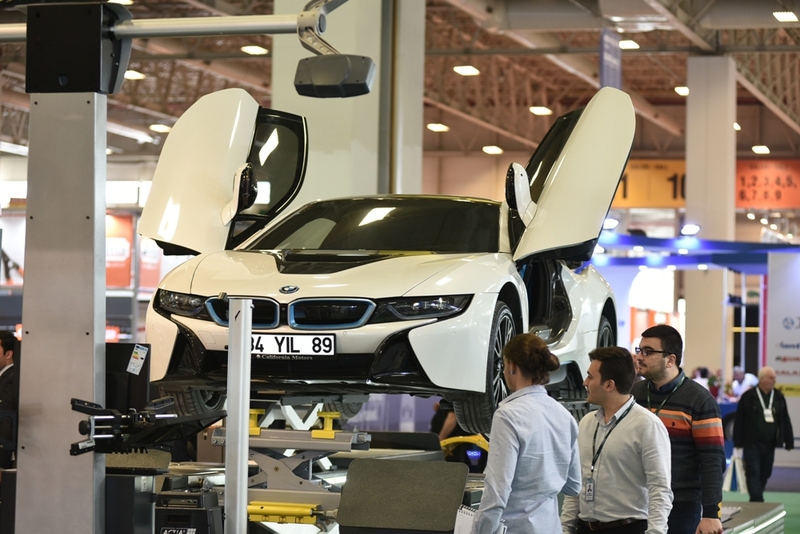 Messe Frankfurt’s international expertise in the field of trade fair organization and in-depth knowledge of the most dynamic markets constitutes the base for each Automechanika fair. 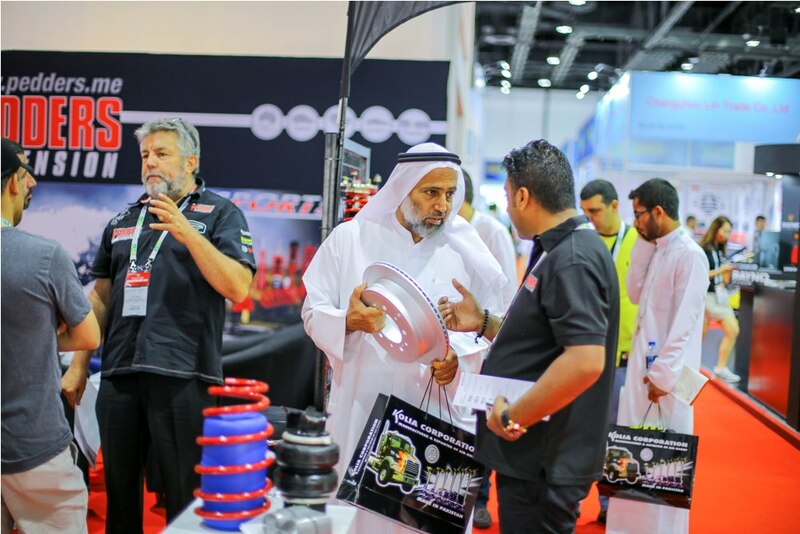 Our most important goal is to offer exhibitors and visitors a uniform quality standard at all our events. 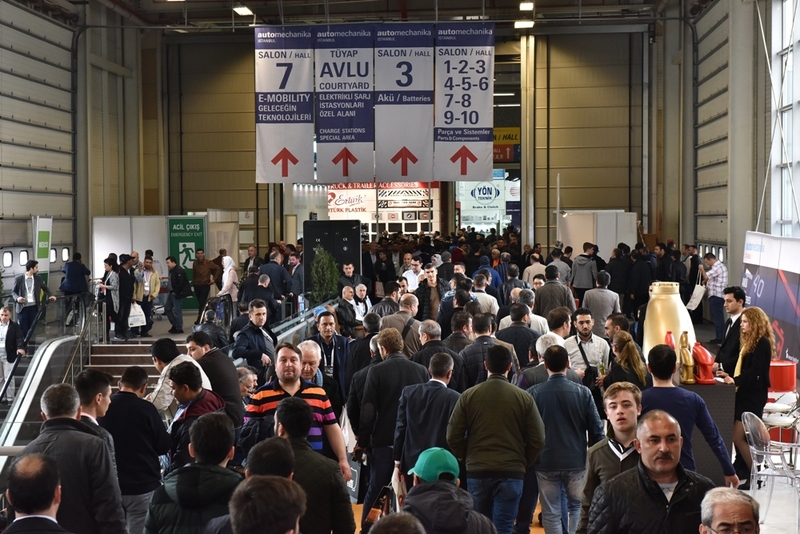 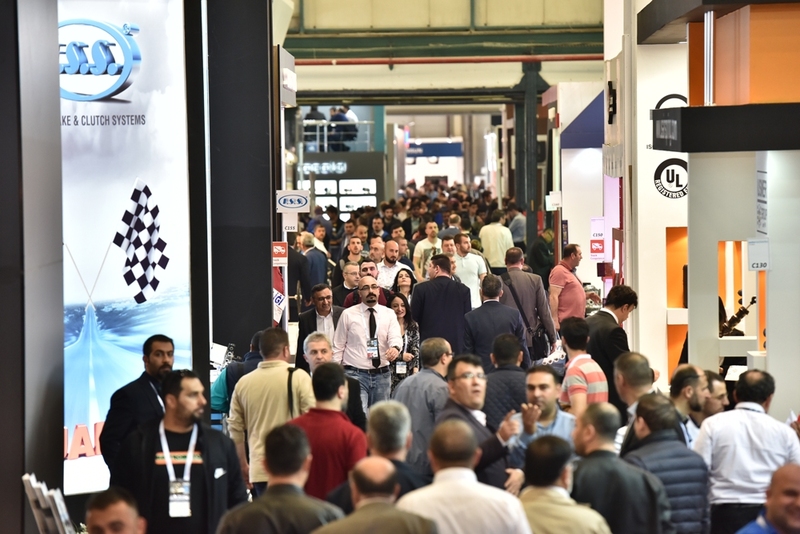 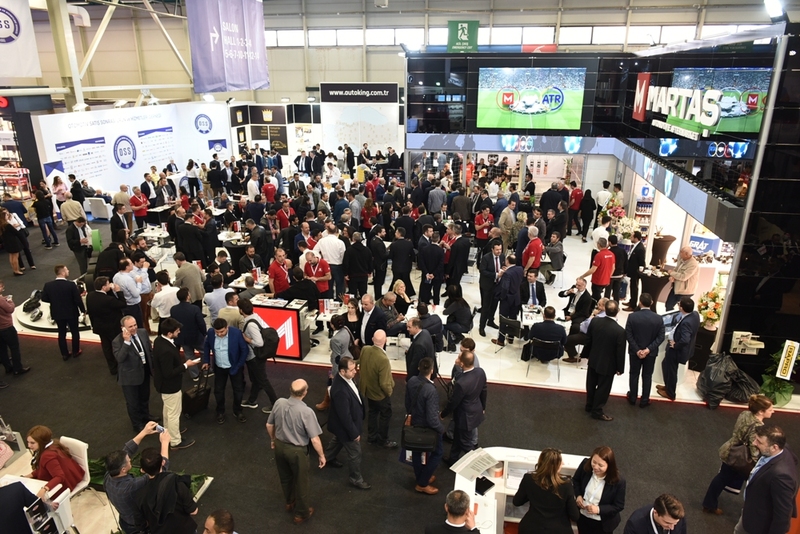 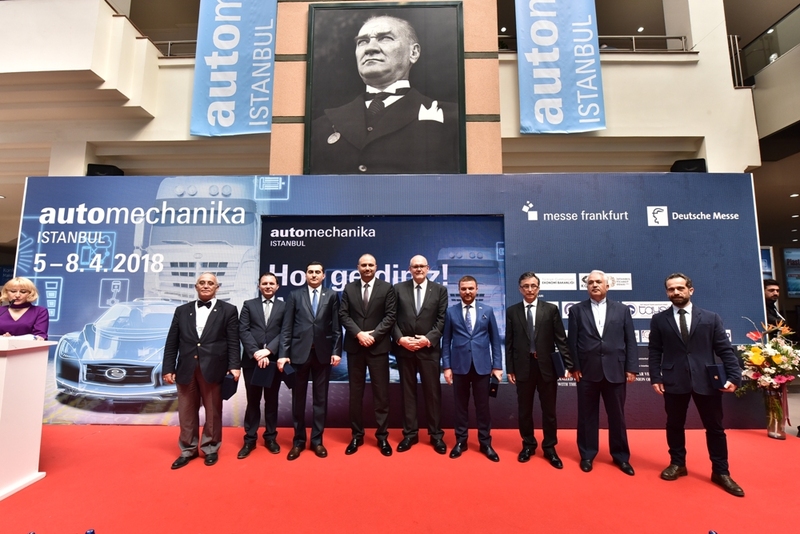 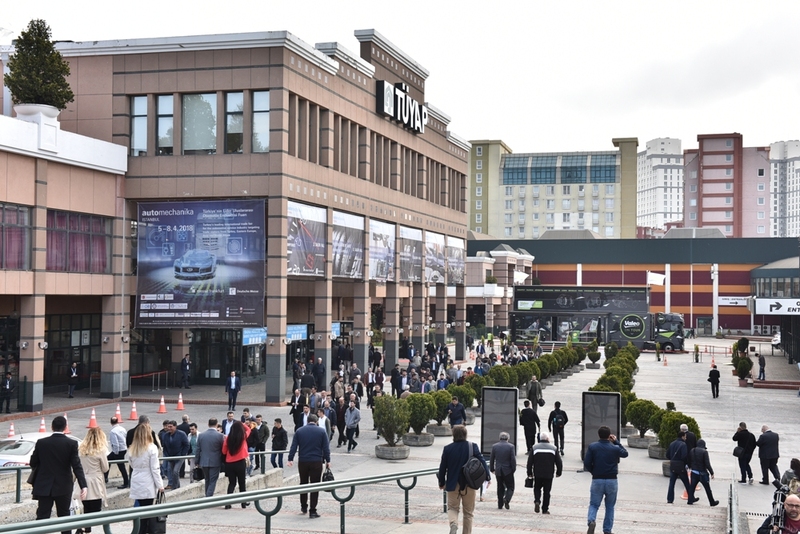 Automechanika Istanbul 2018 closed with record numbers: 1,352 exhibitors met with 45,979 visitors from all around the world.